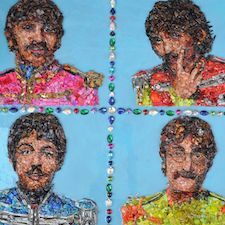 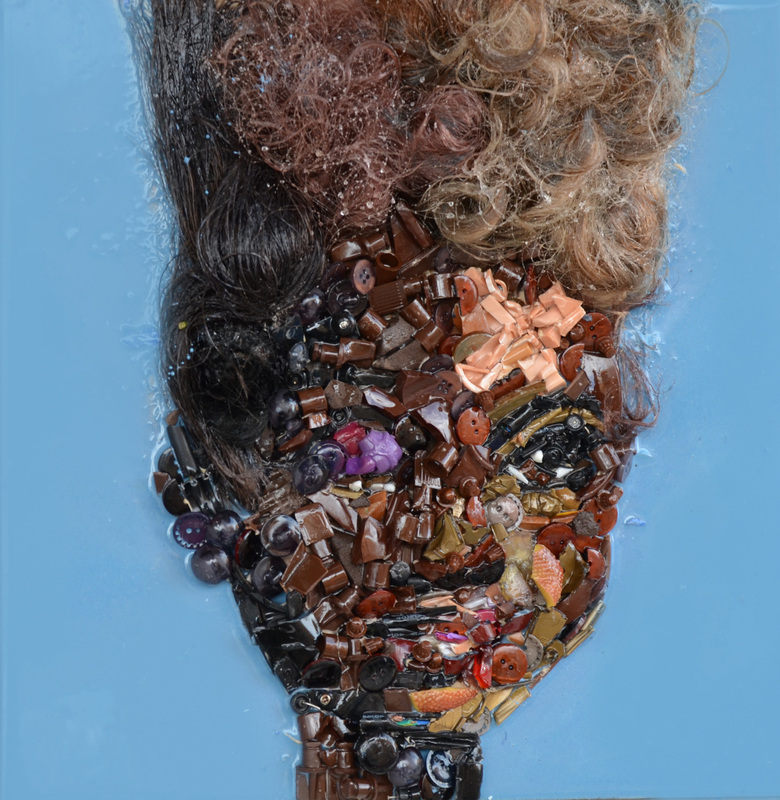 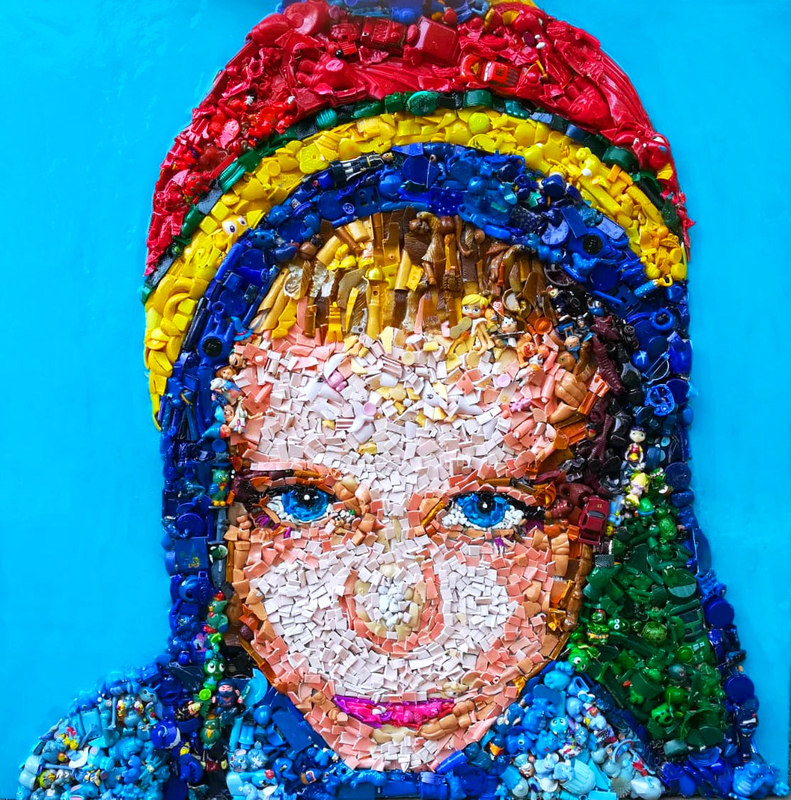 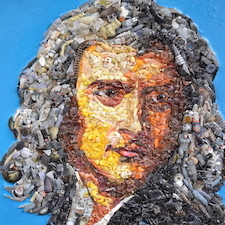 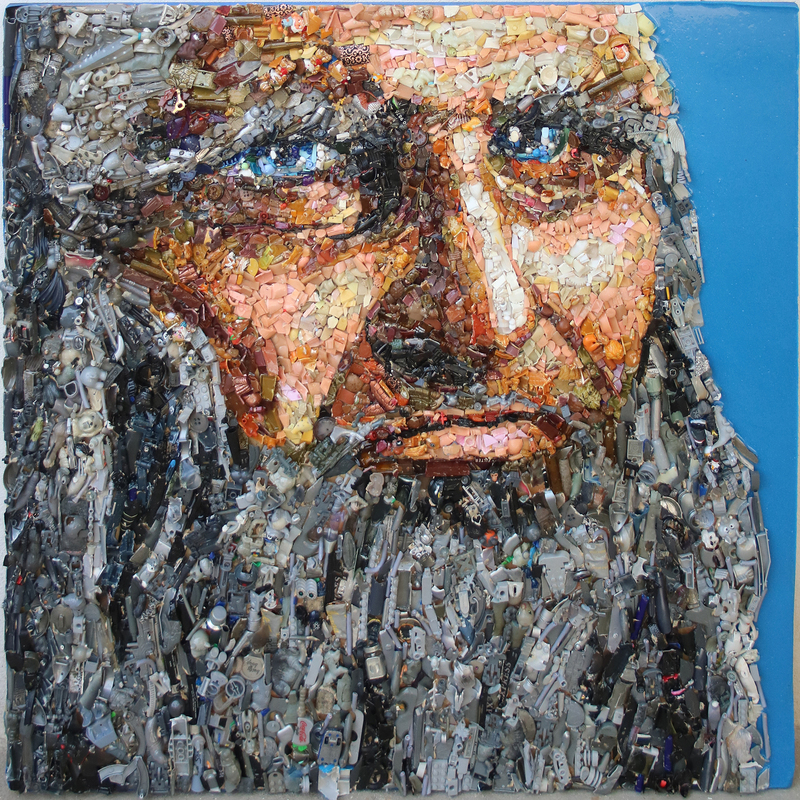 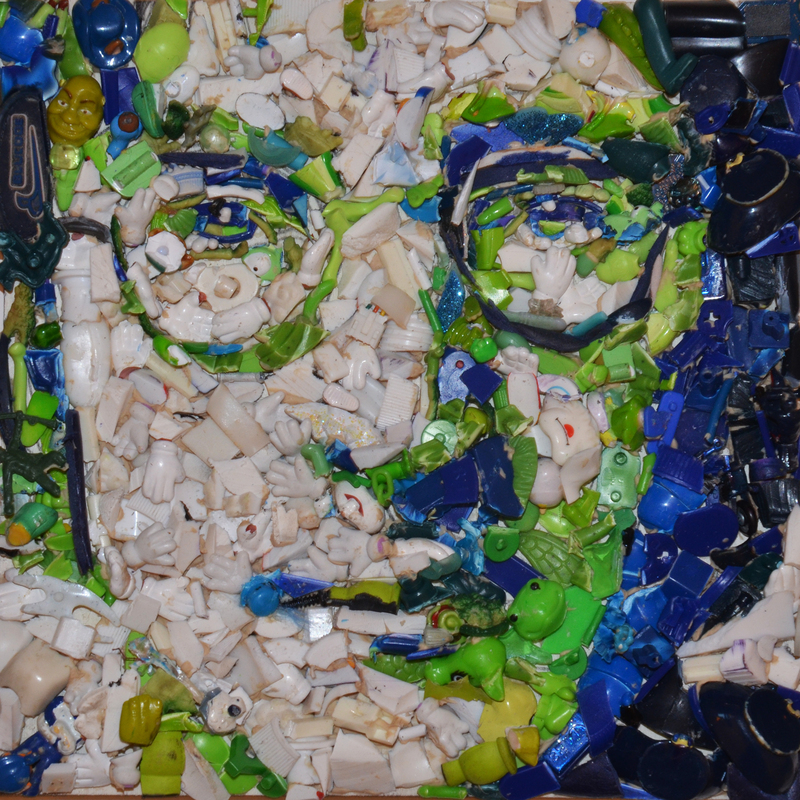 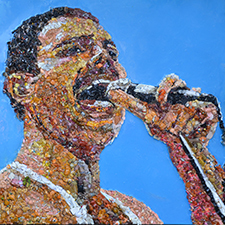 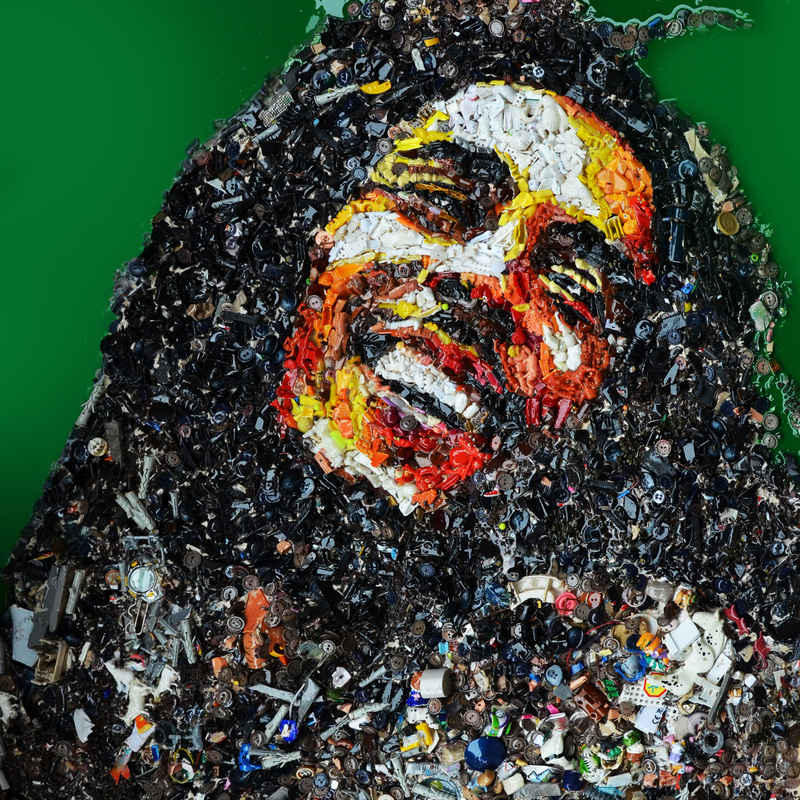 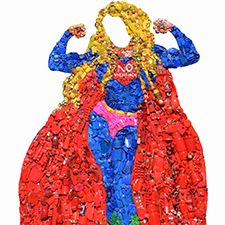 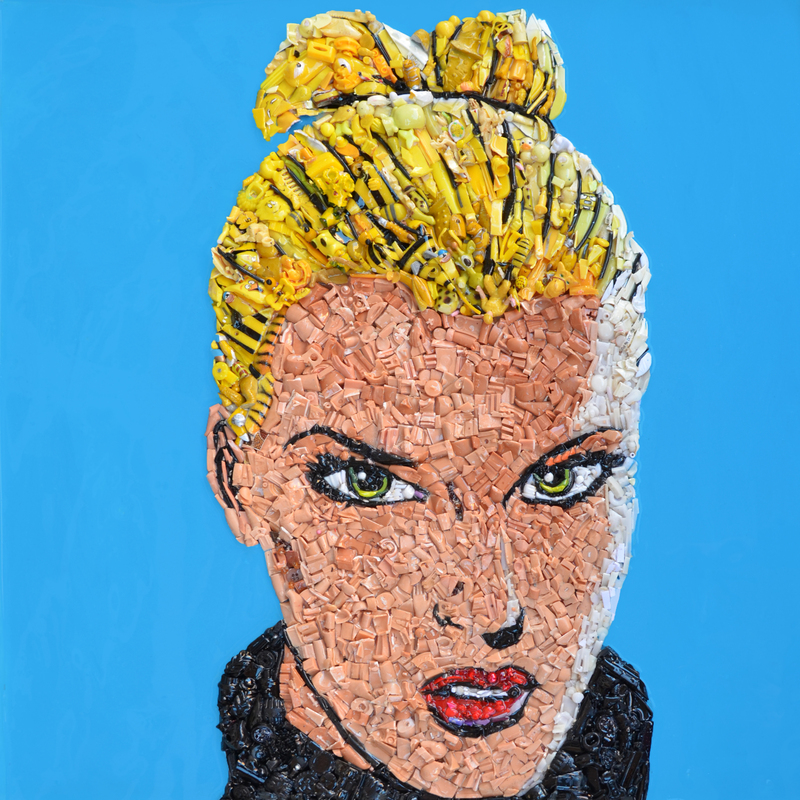 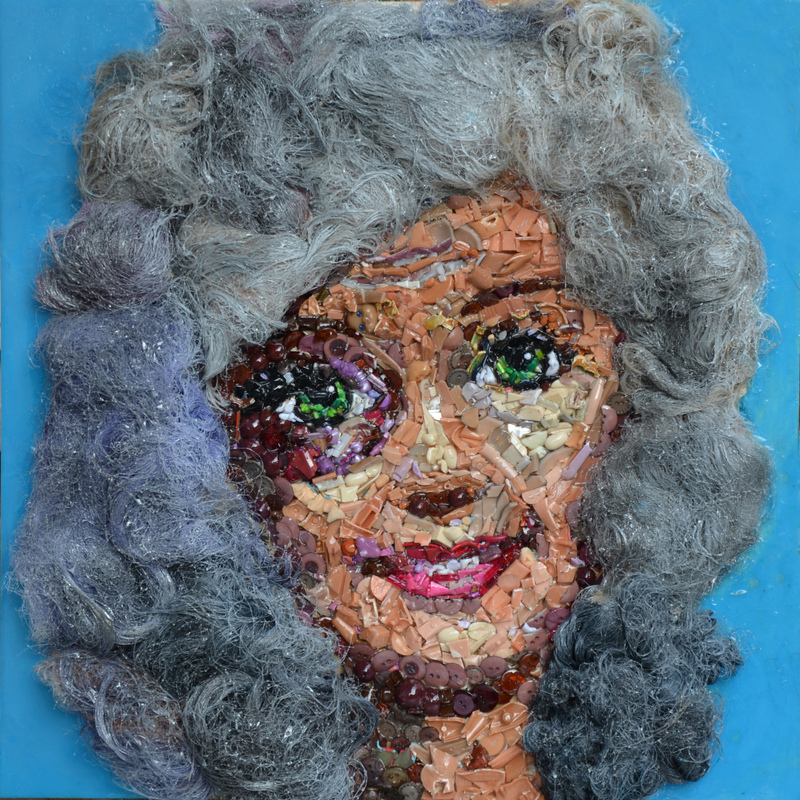 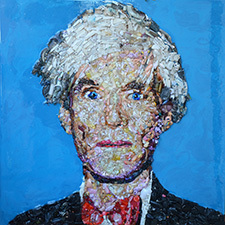 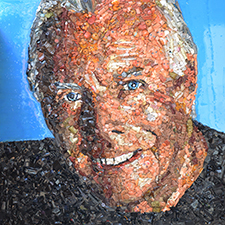 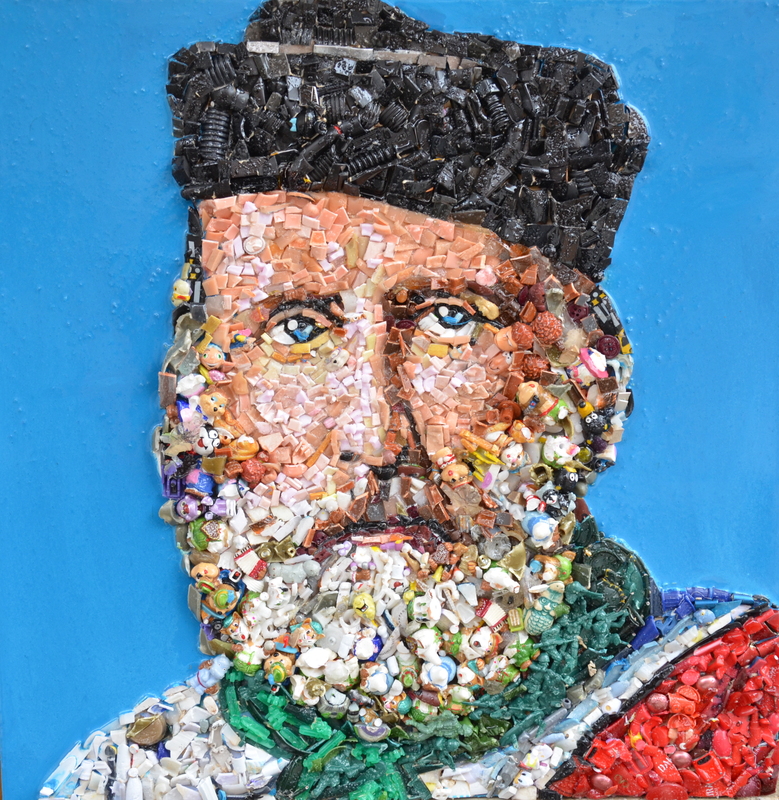 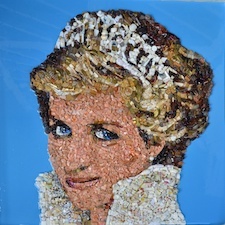 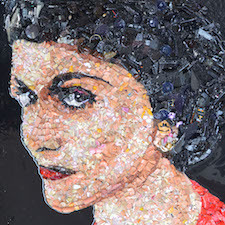 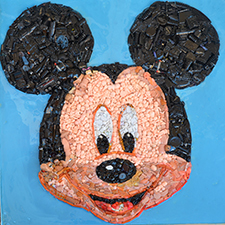 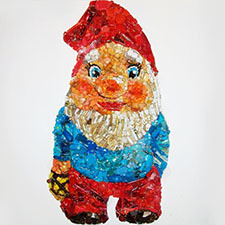 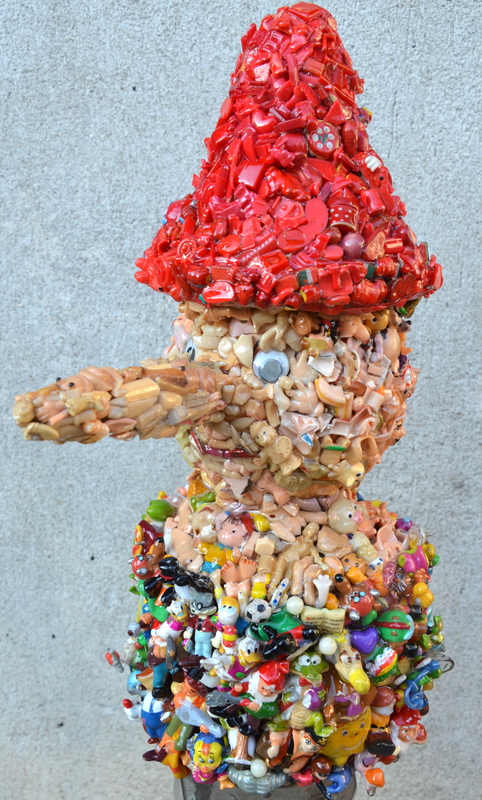 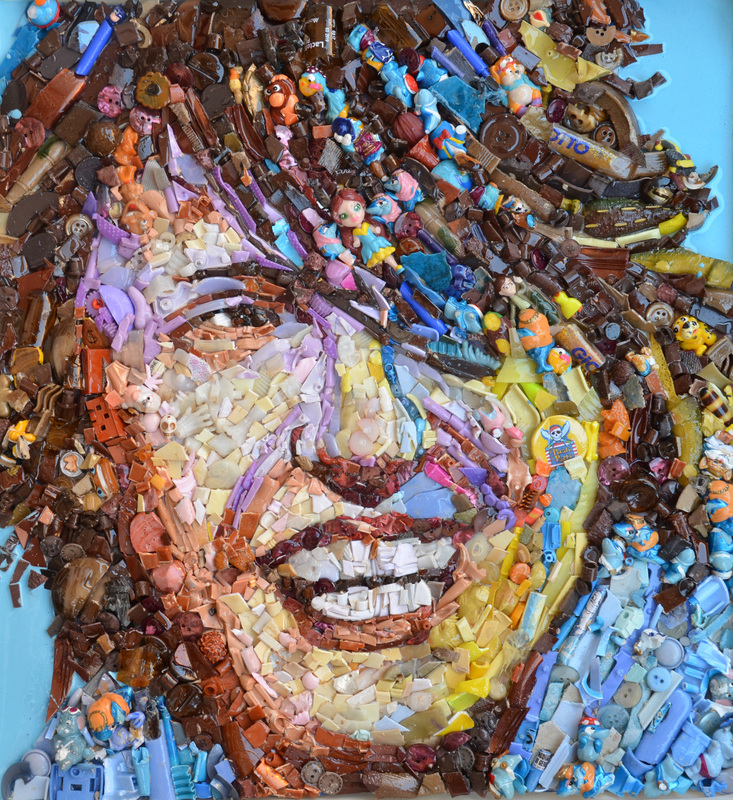 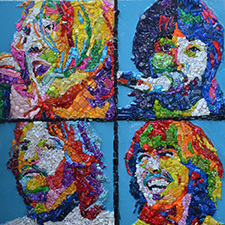 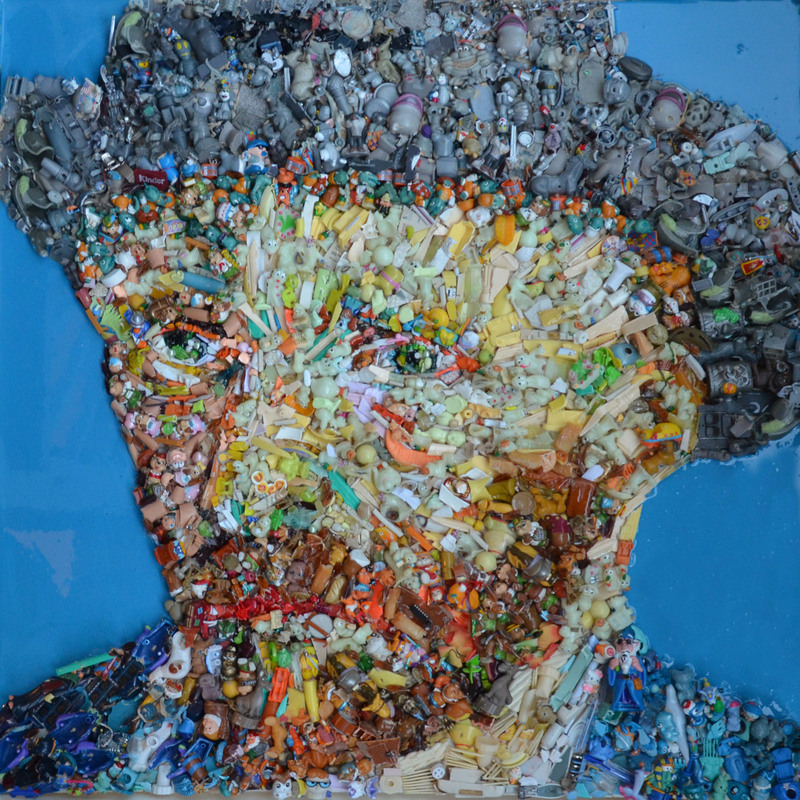 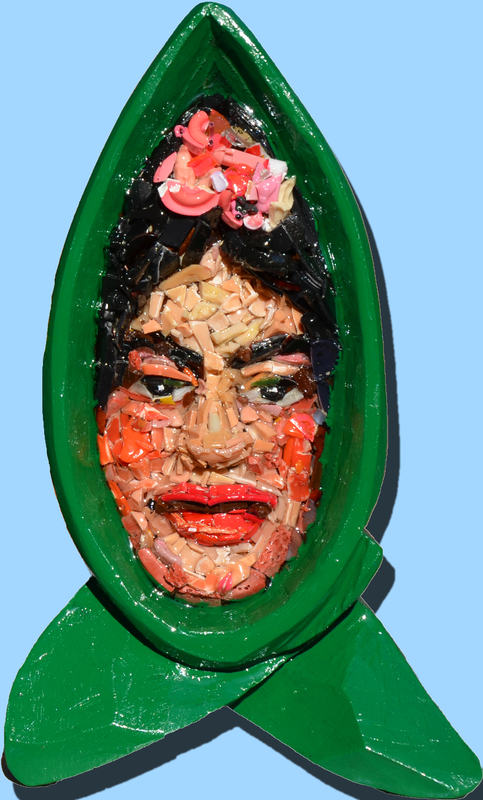 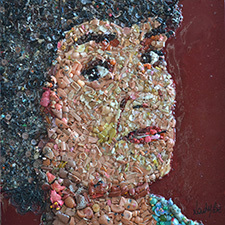 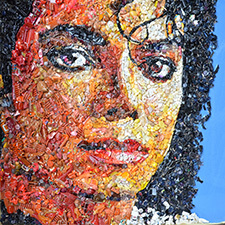 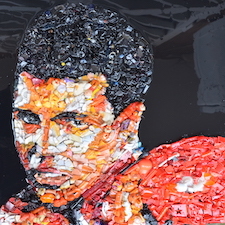 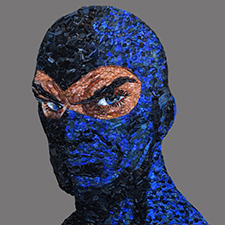 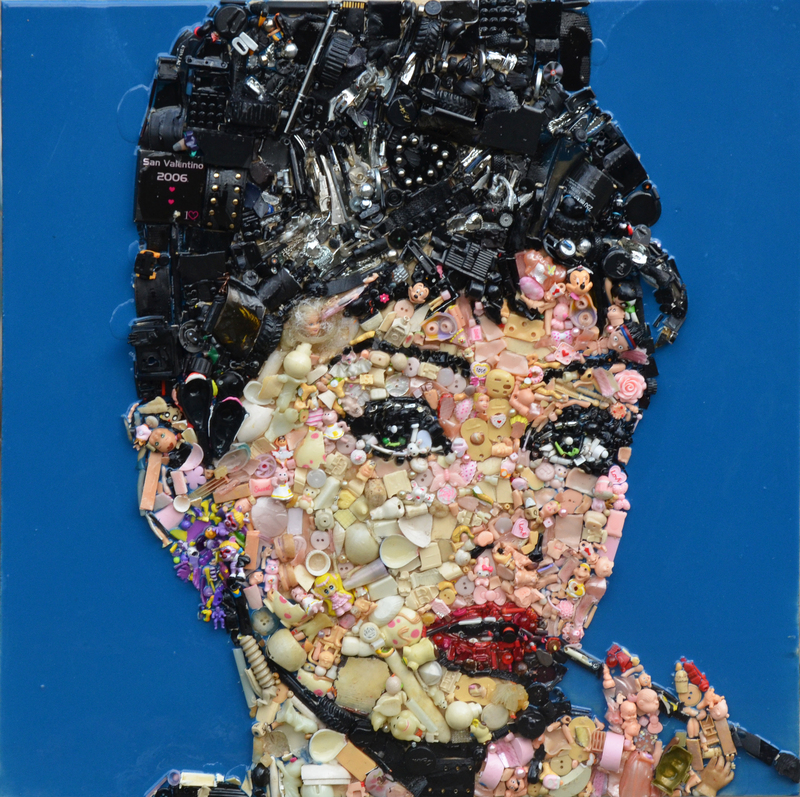 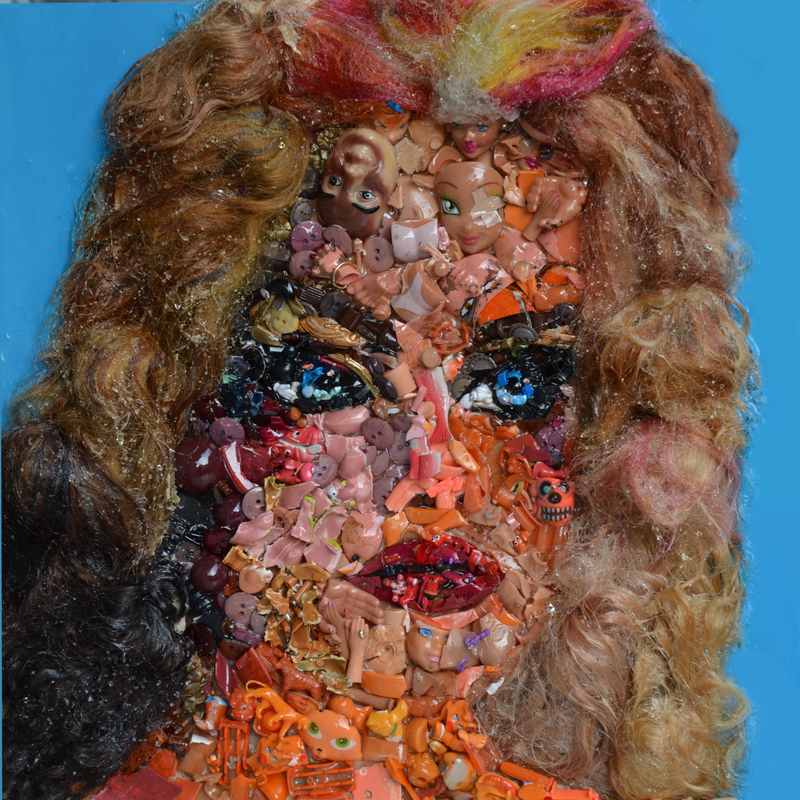 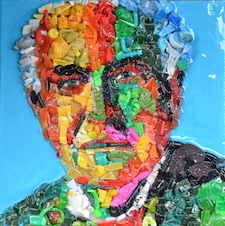 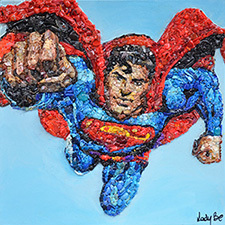 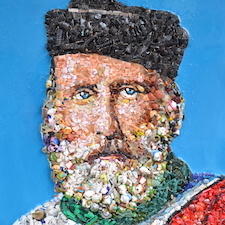 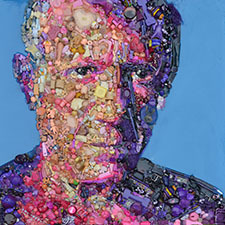 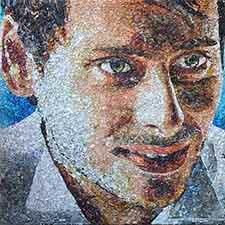 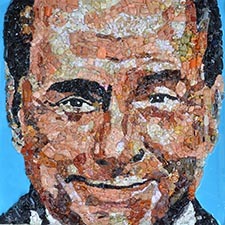 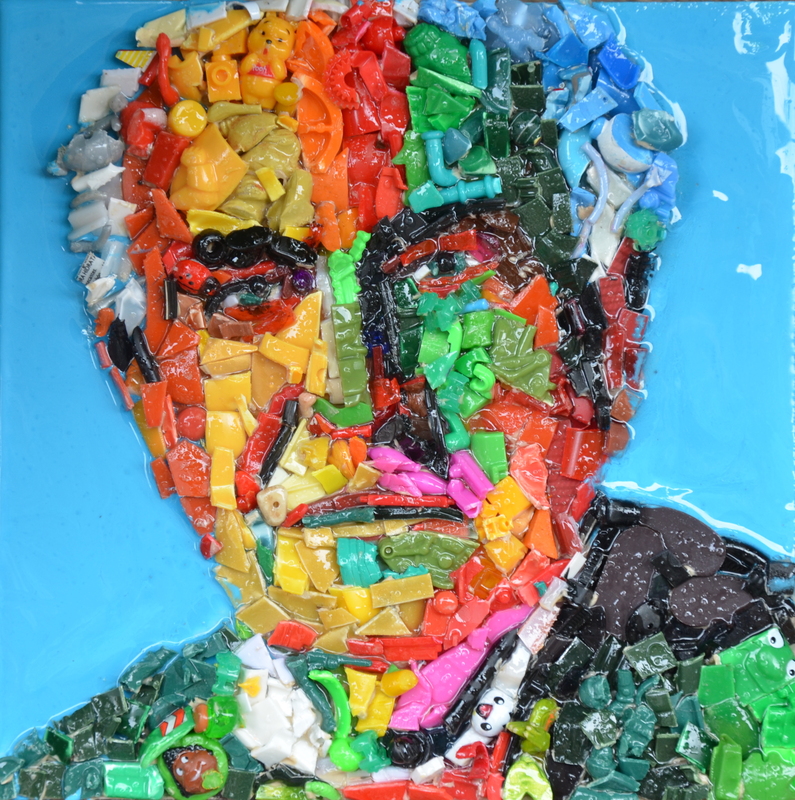 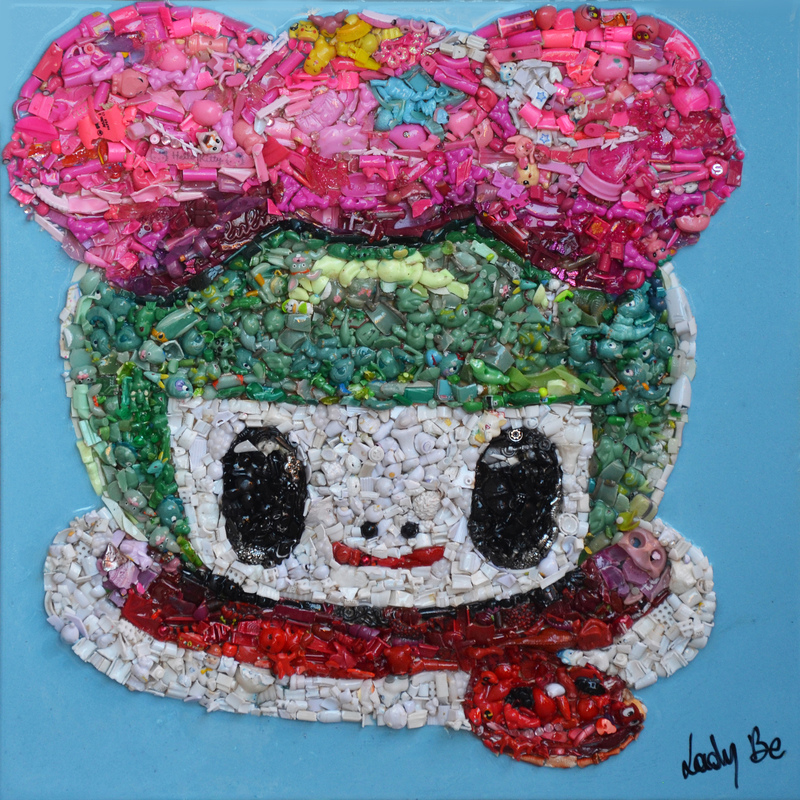 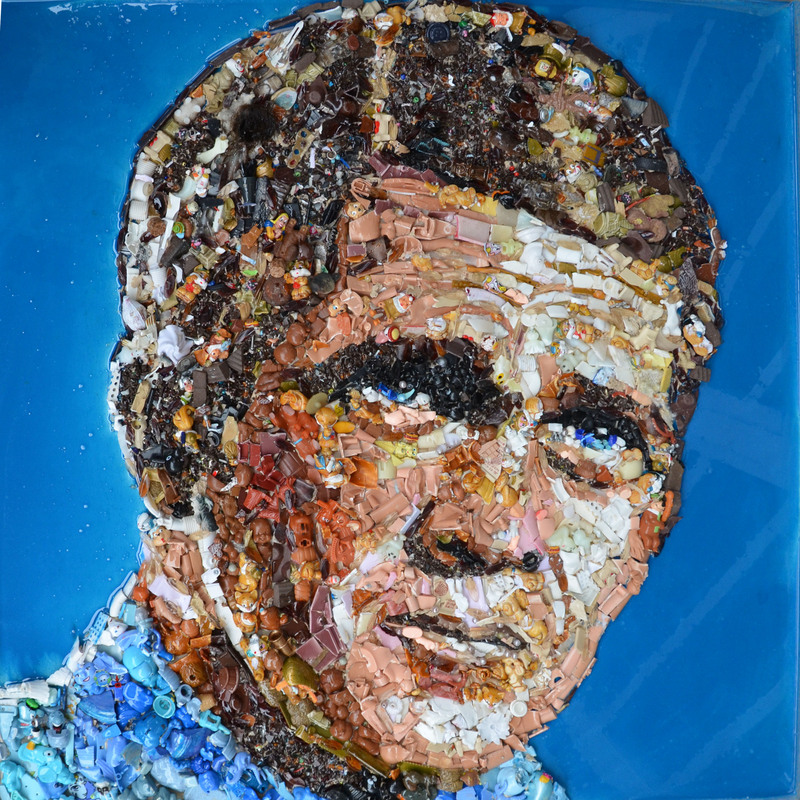 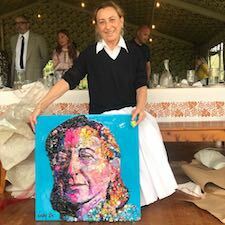 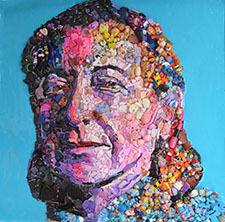 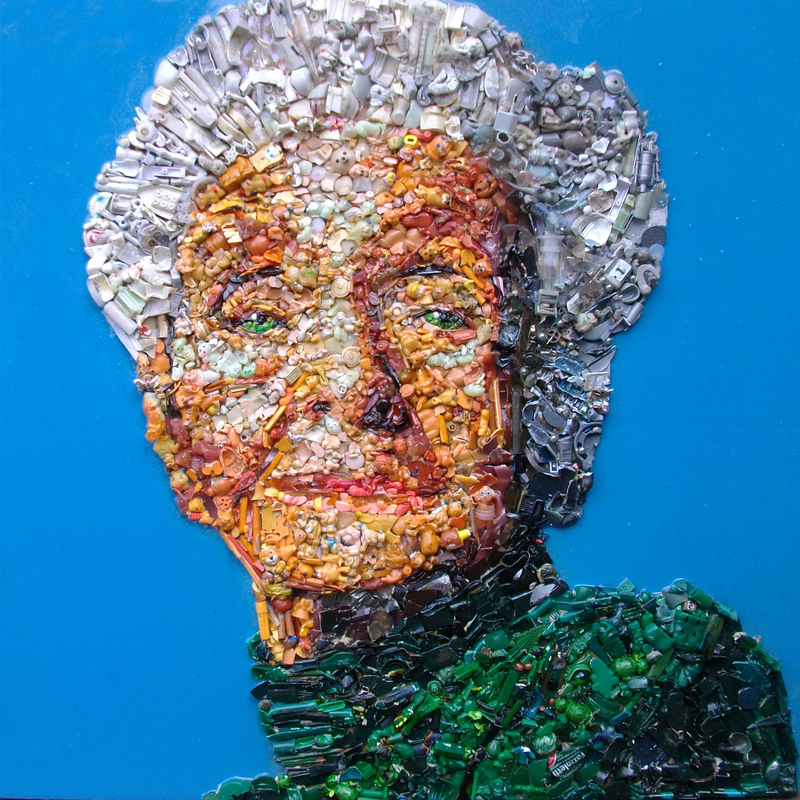 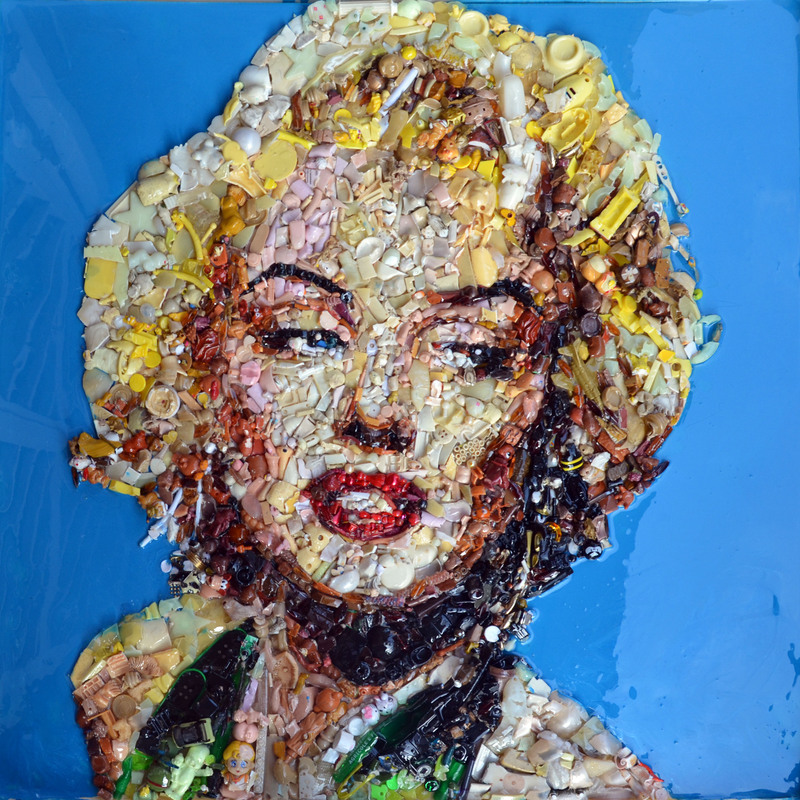 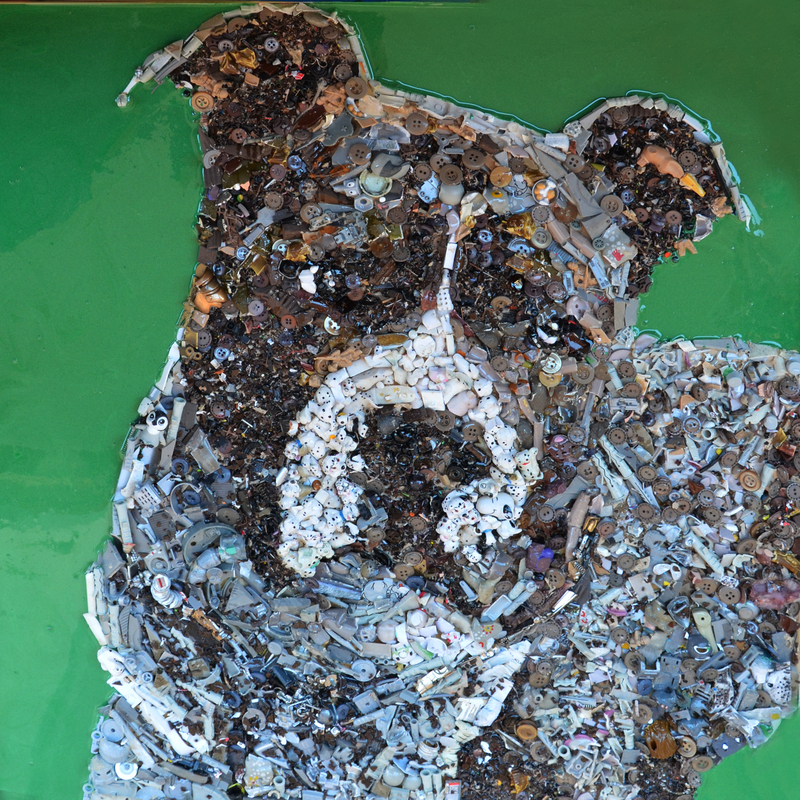 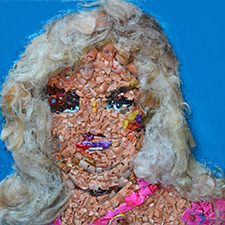 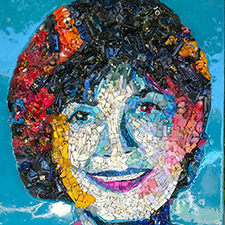 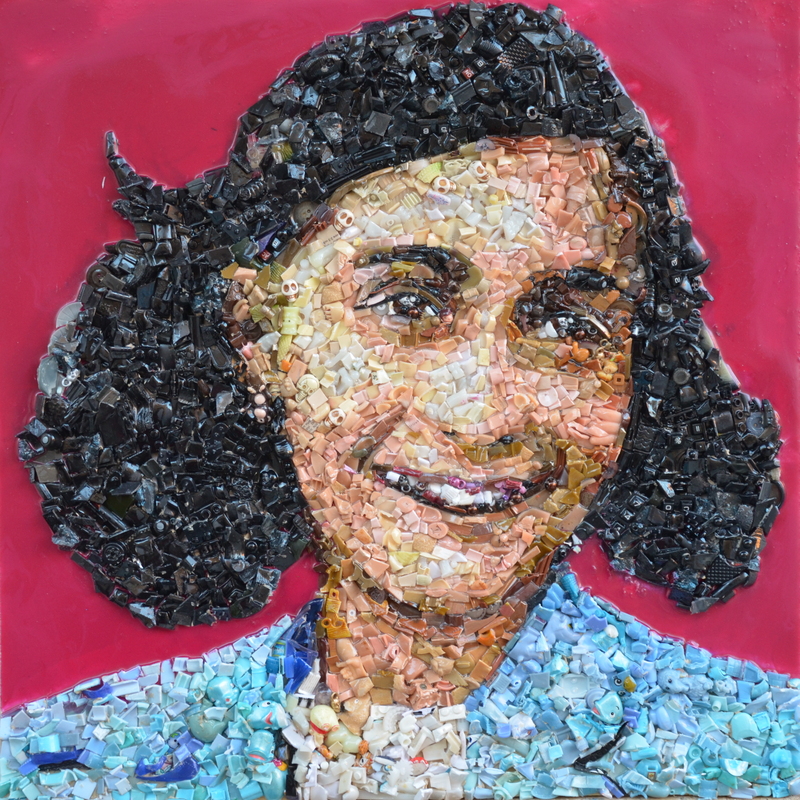 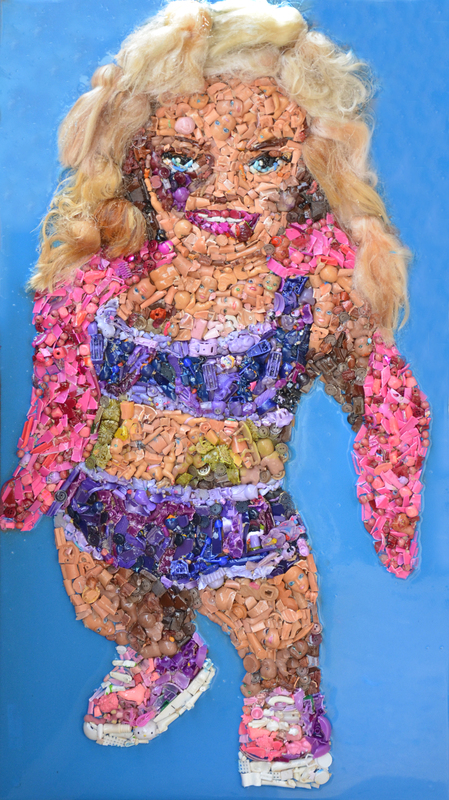 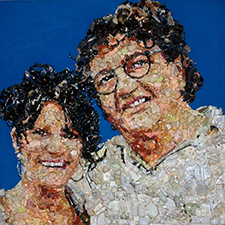 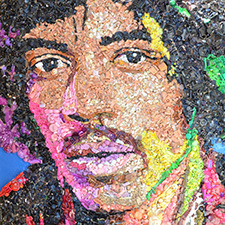 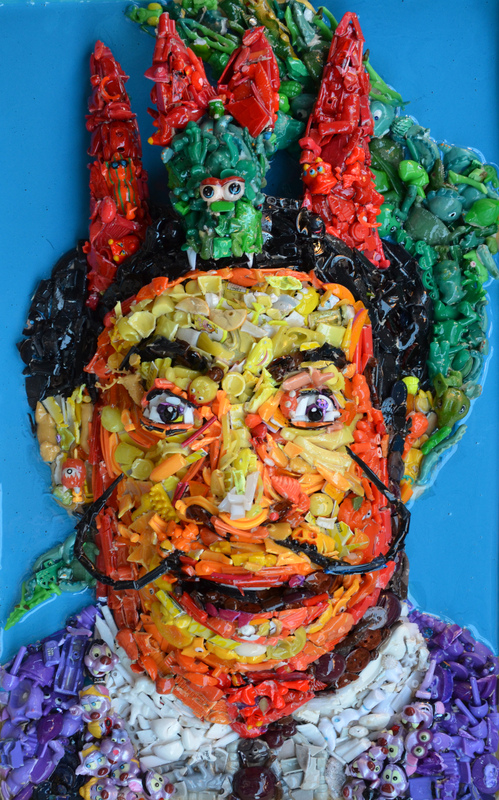 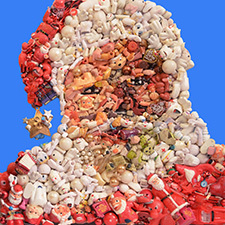 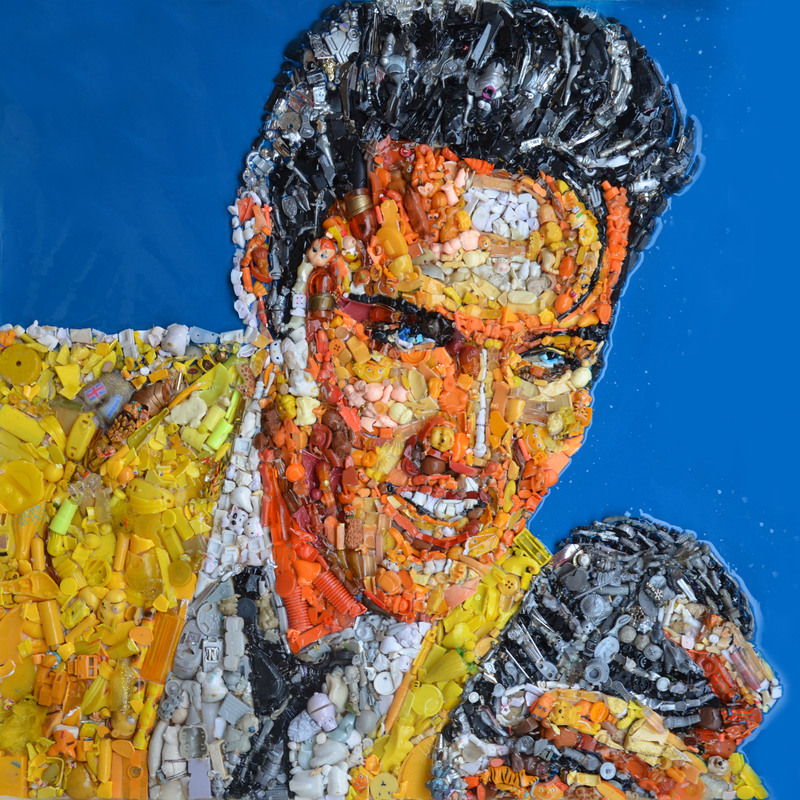 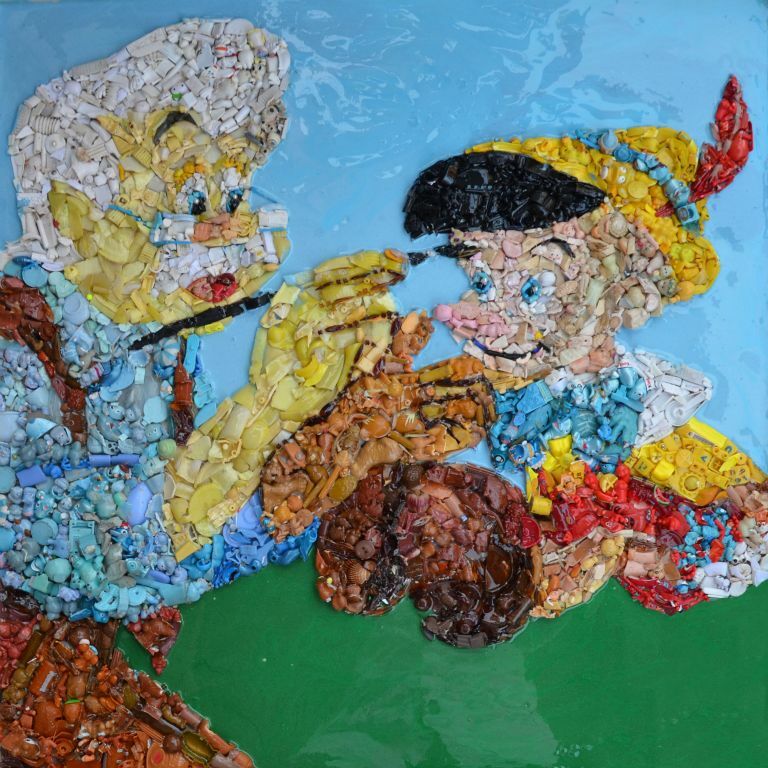 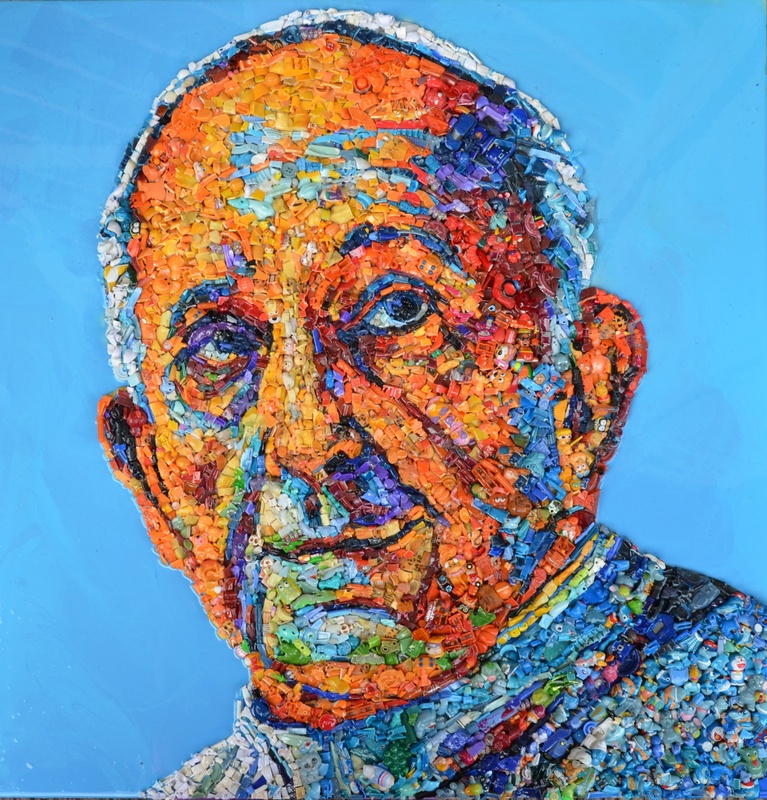 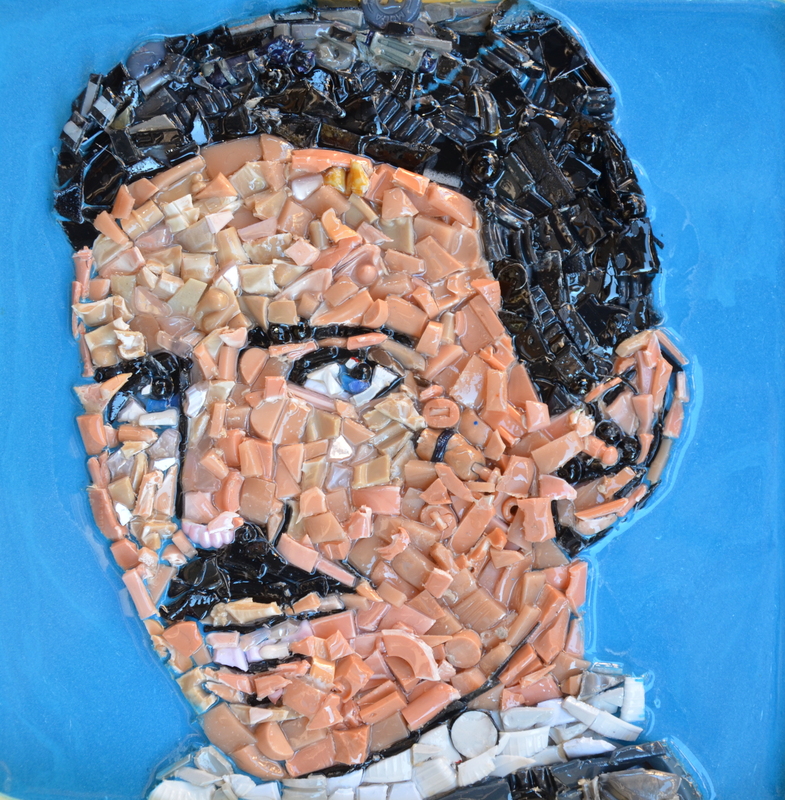 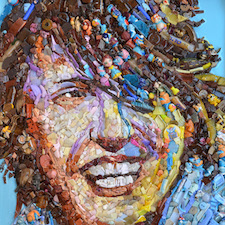 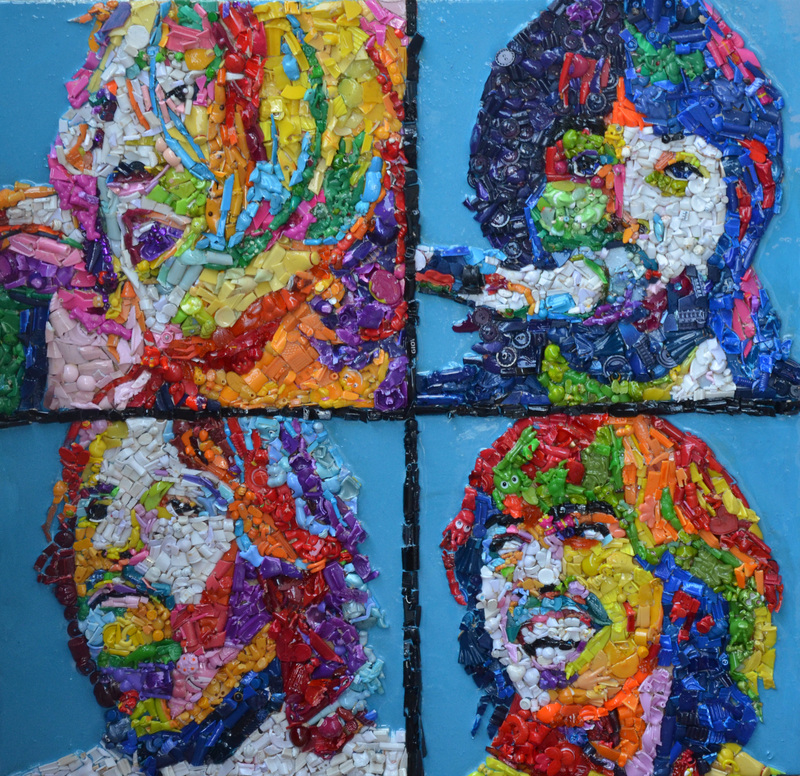 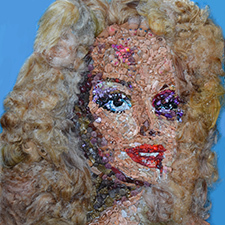 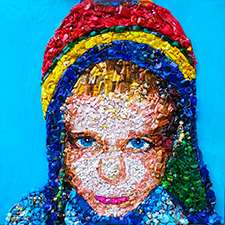 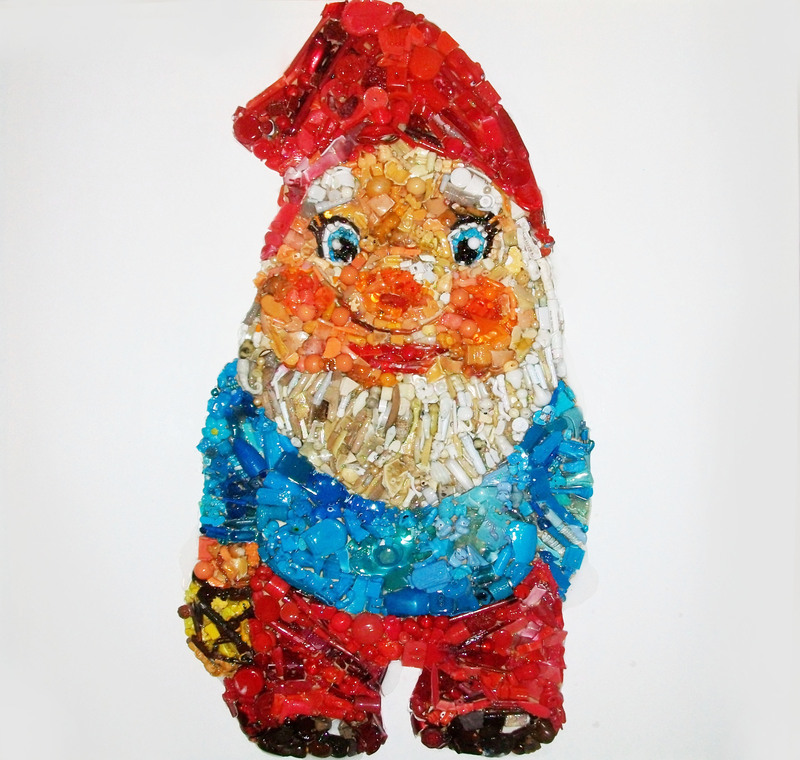 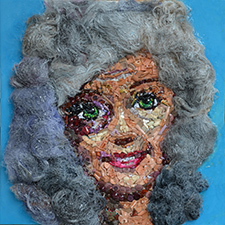 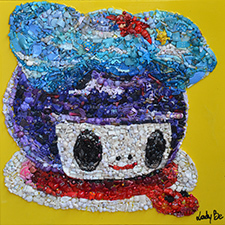 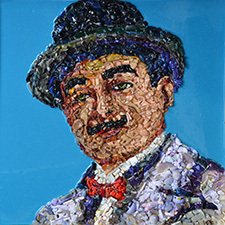 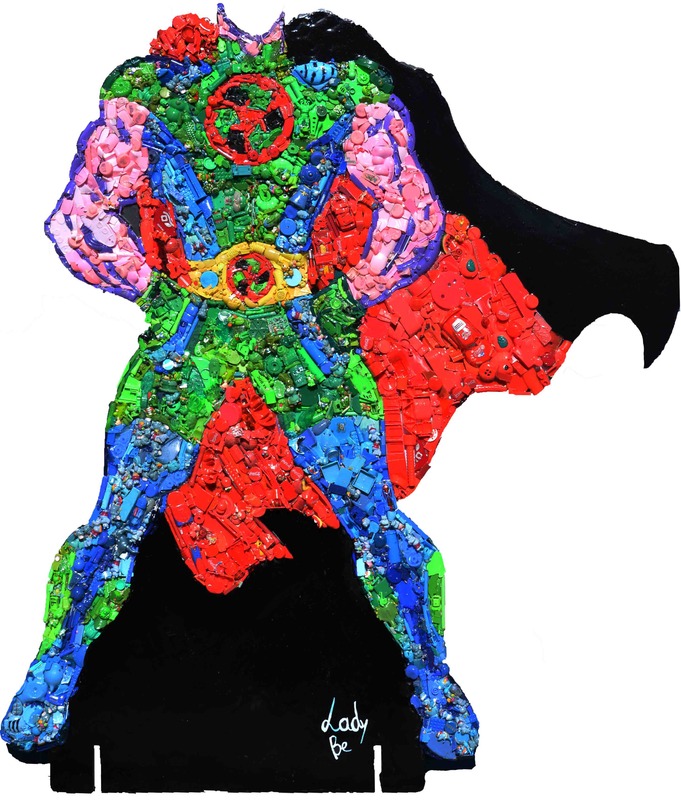 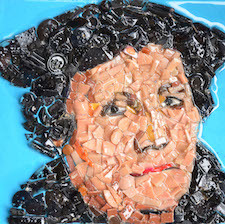 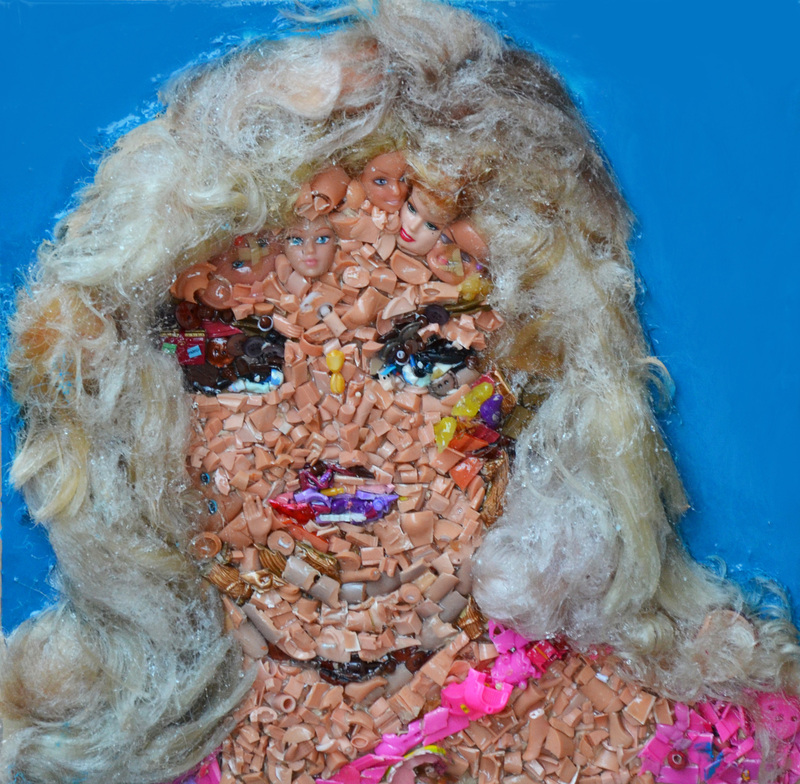 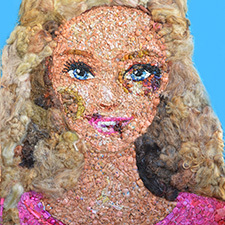 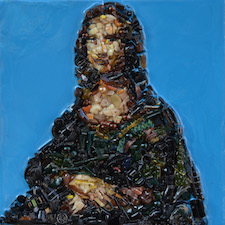 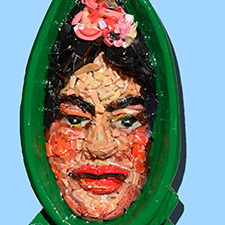 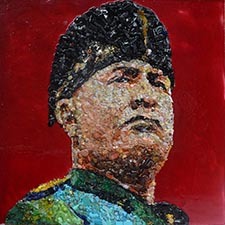 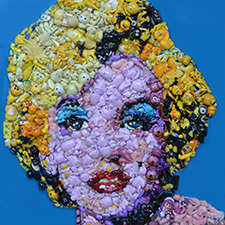 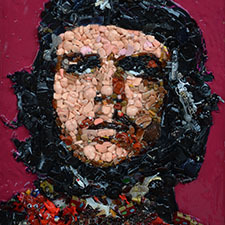 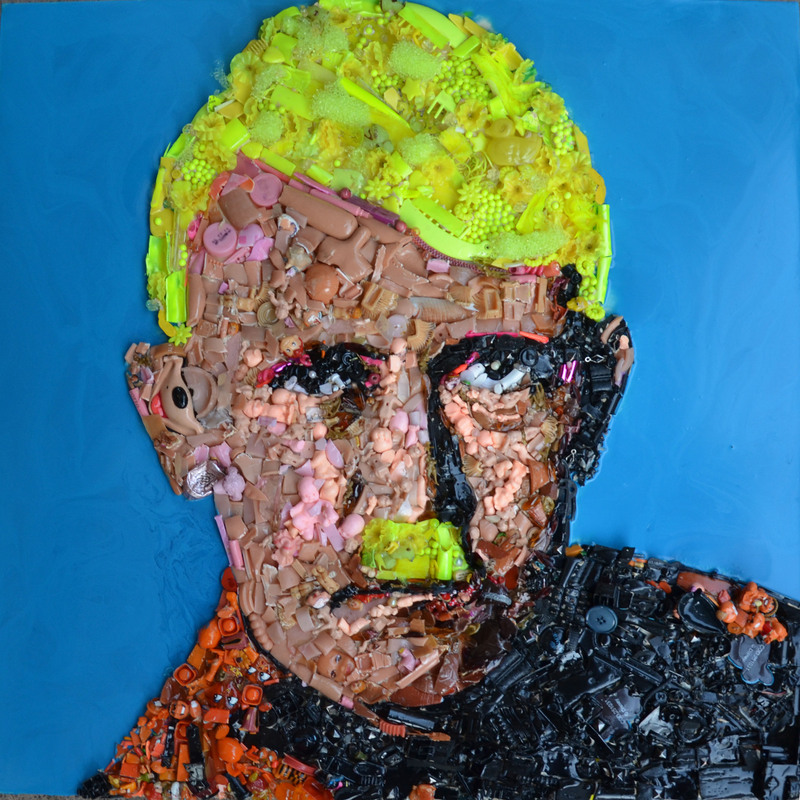 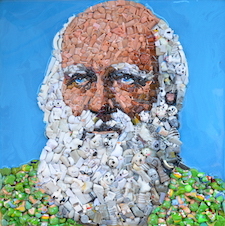 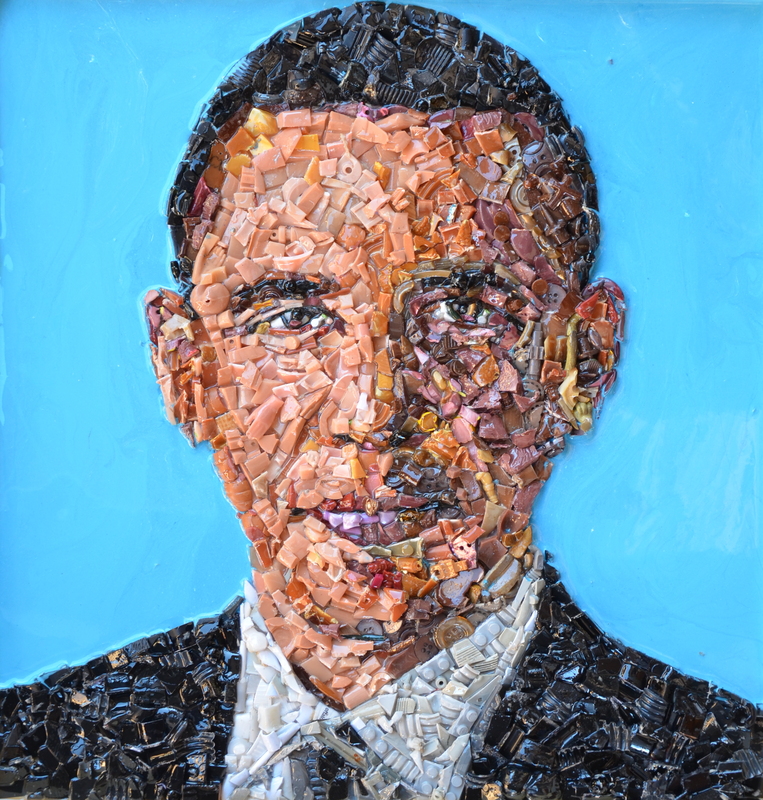 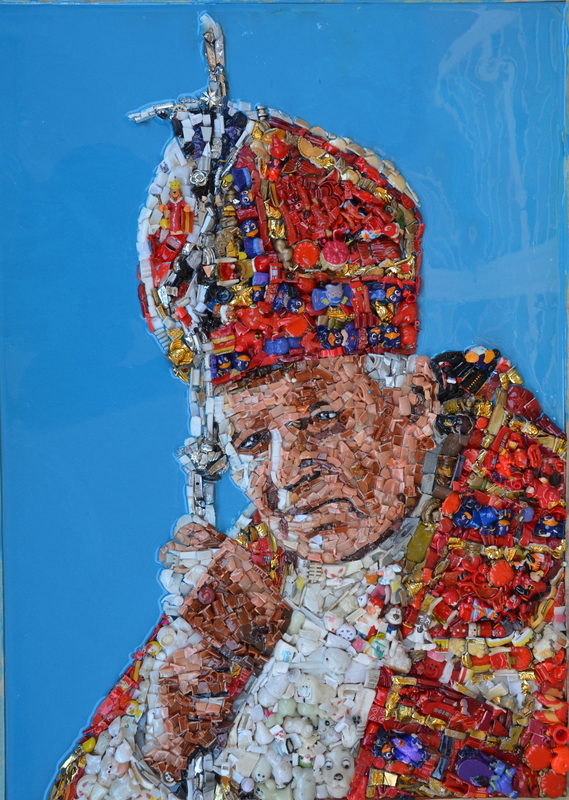 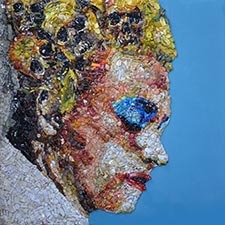 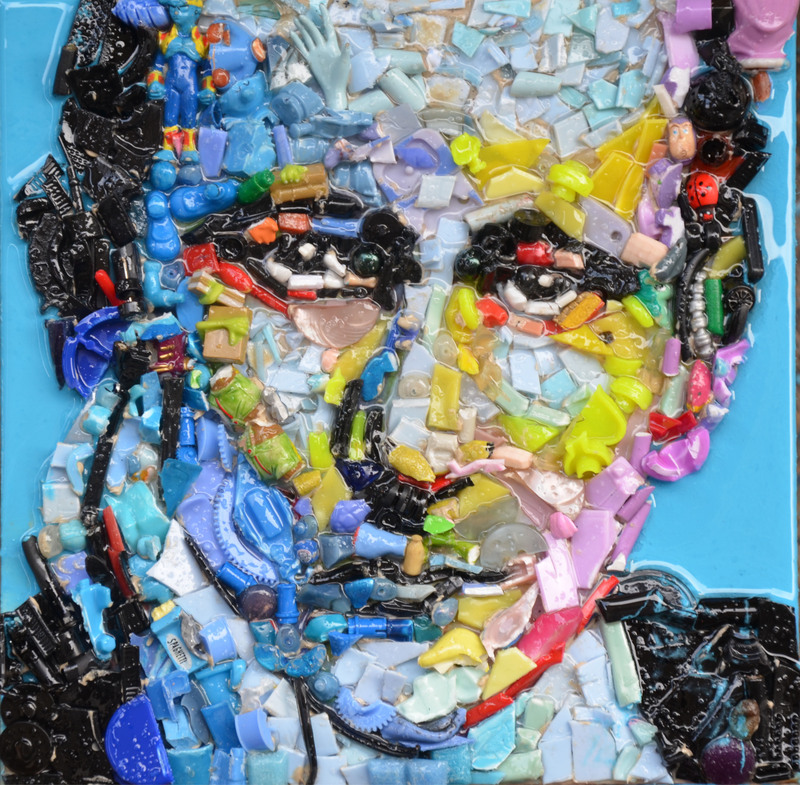 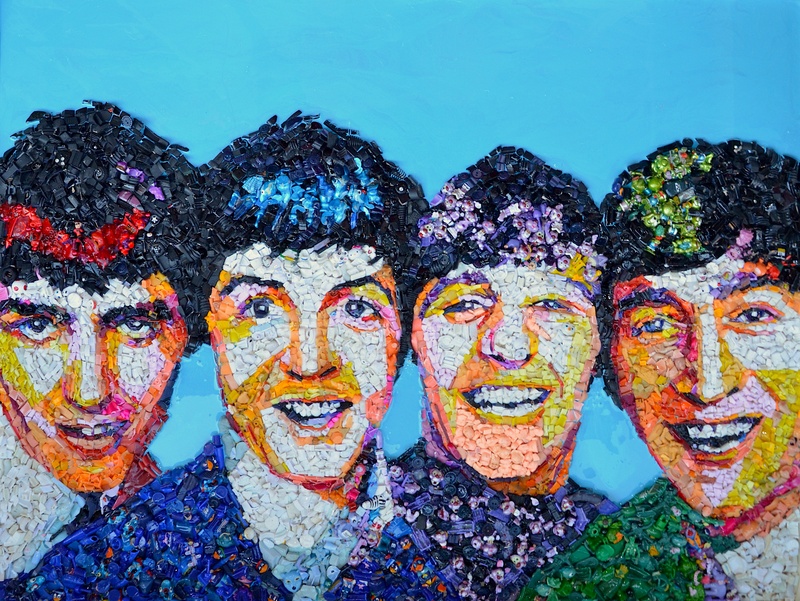 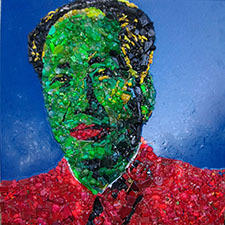 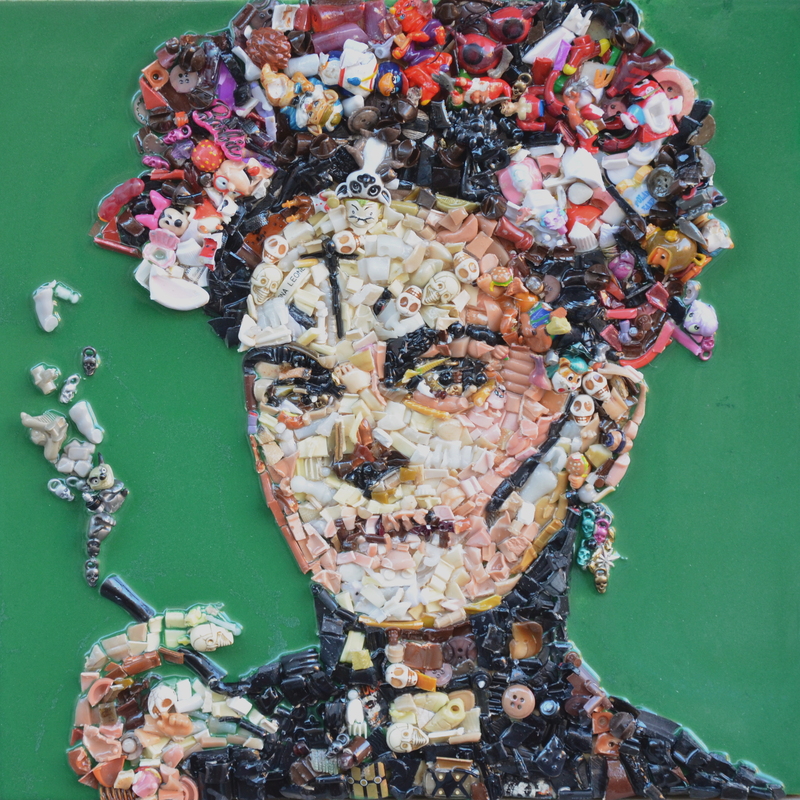 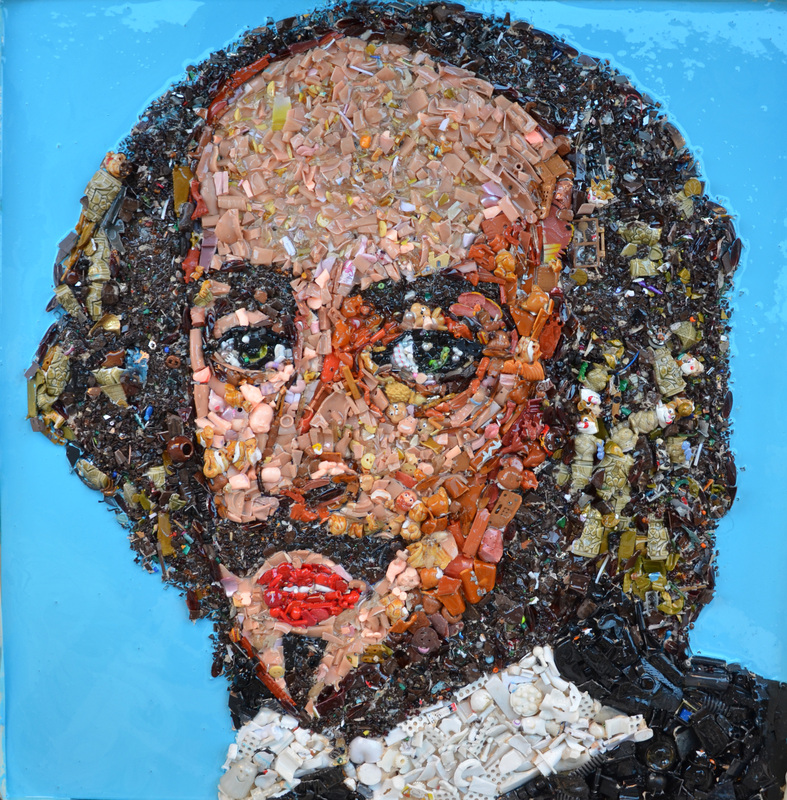 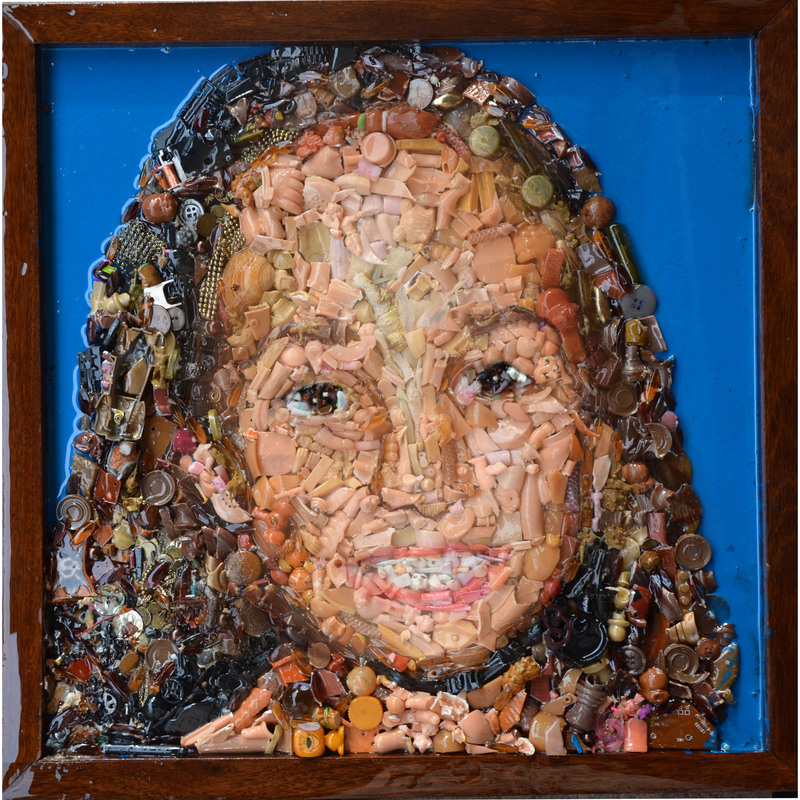 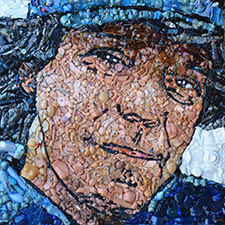 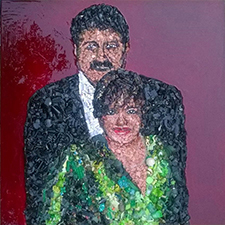 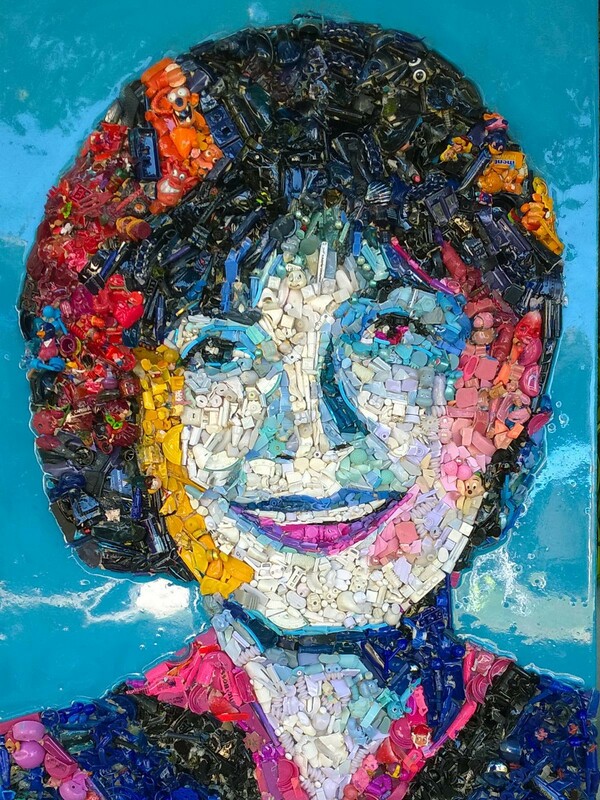 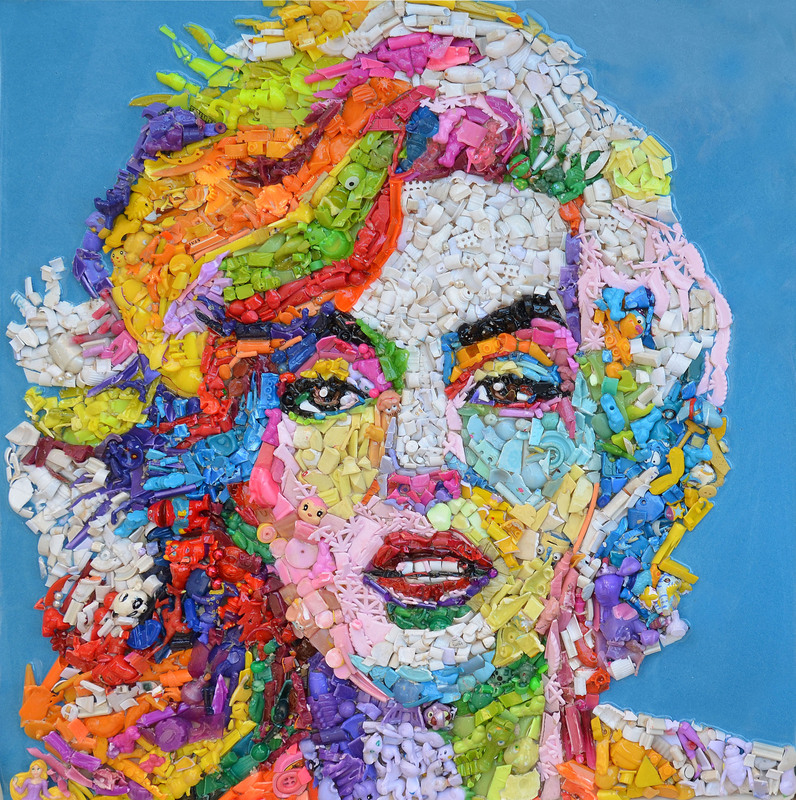 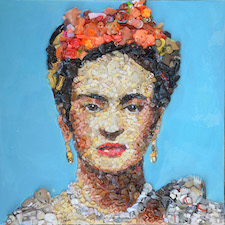 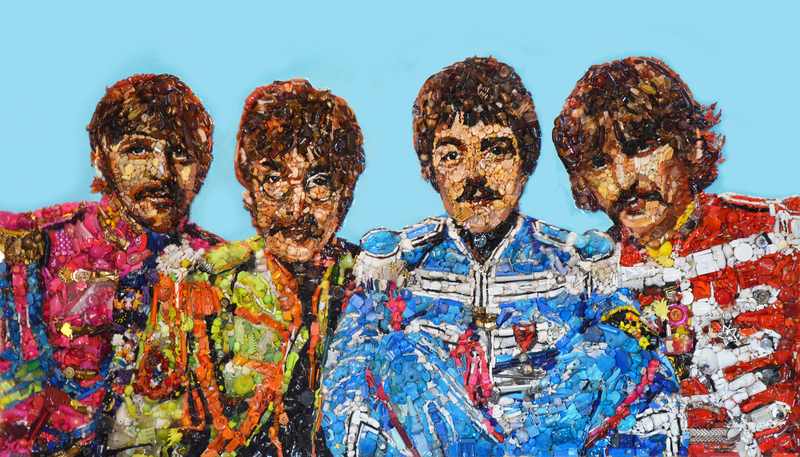 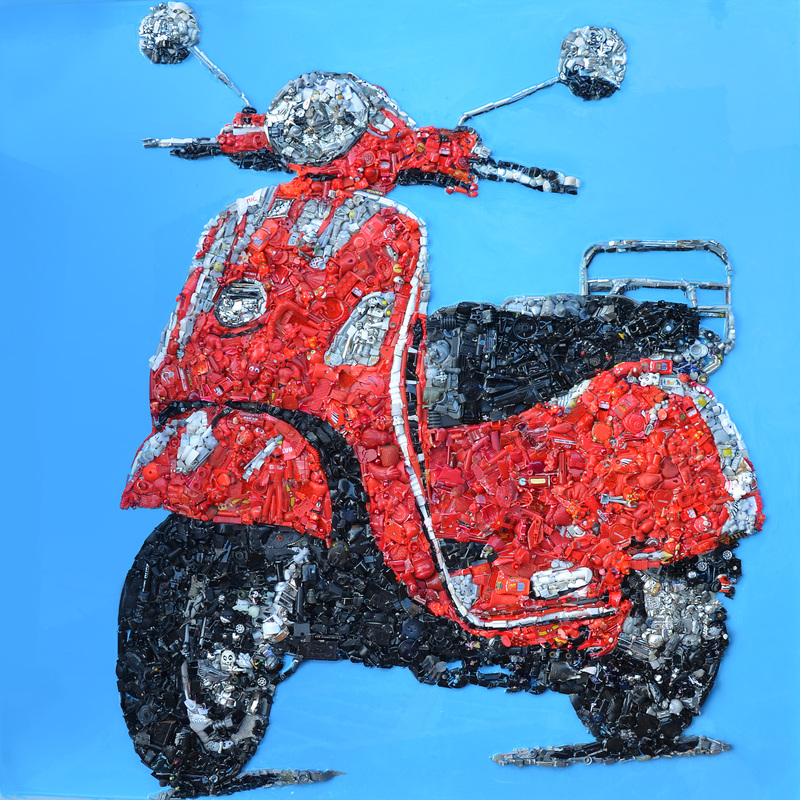 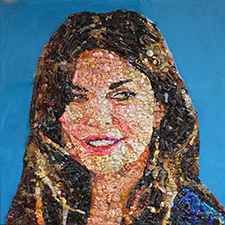 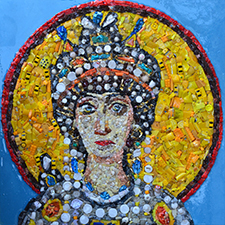 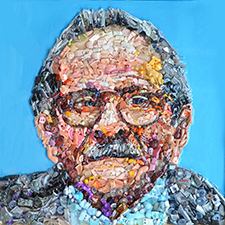 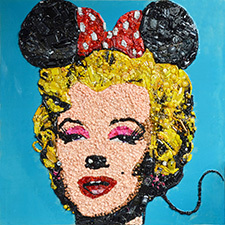 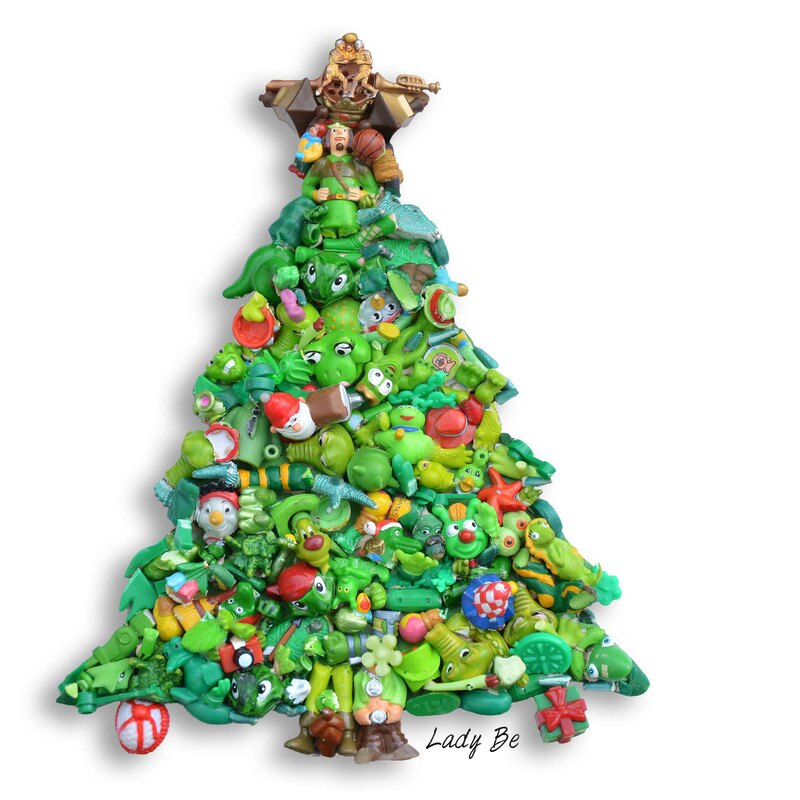 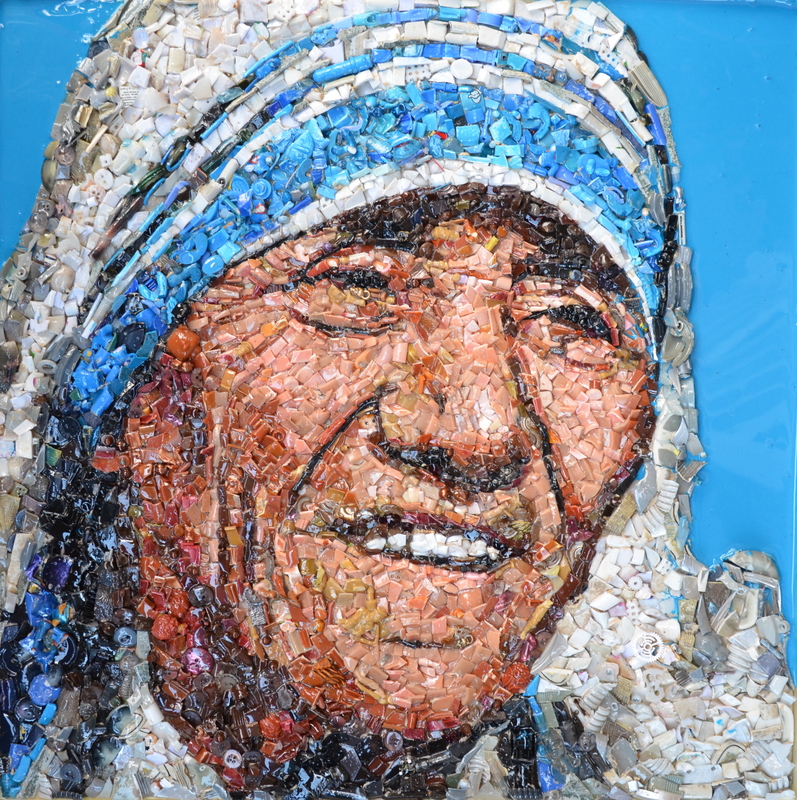 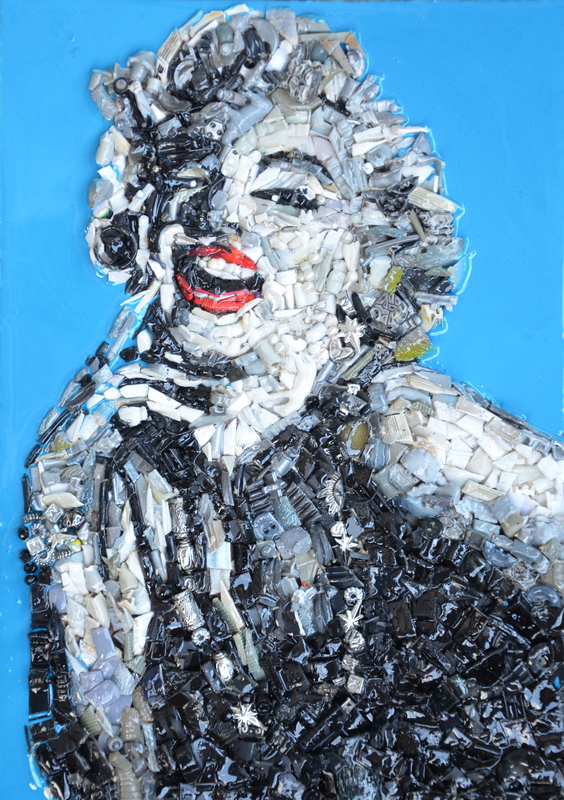 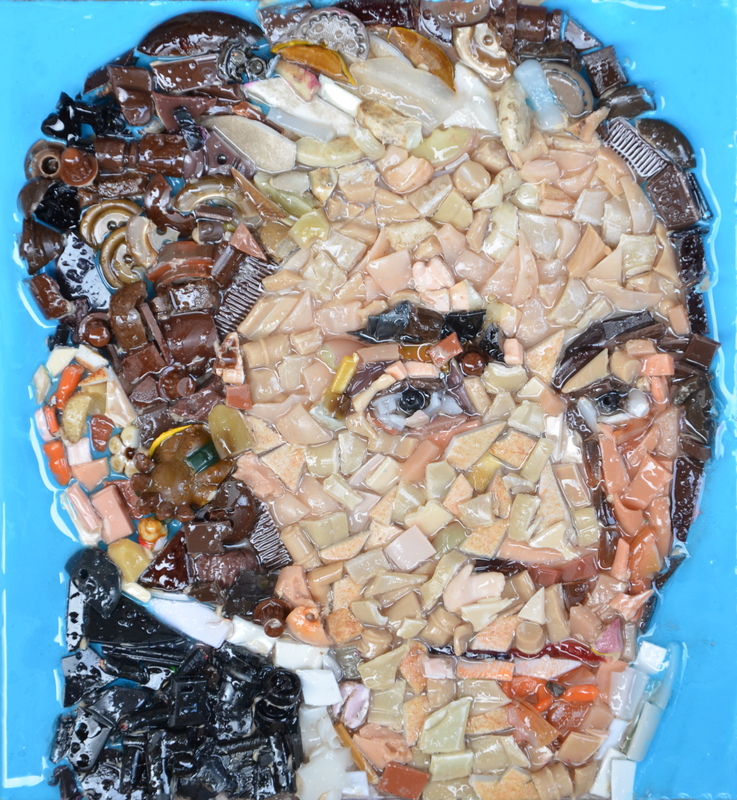 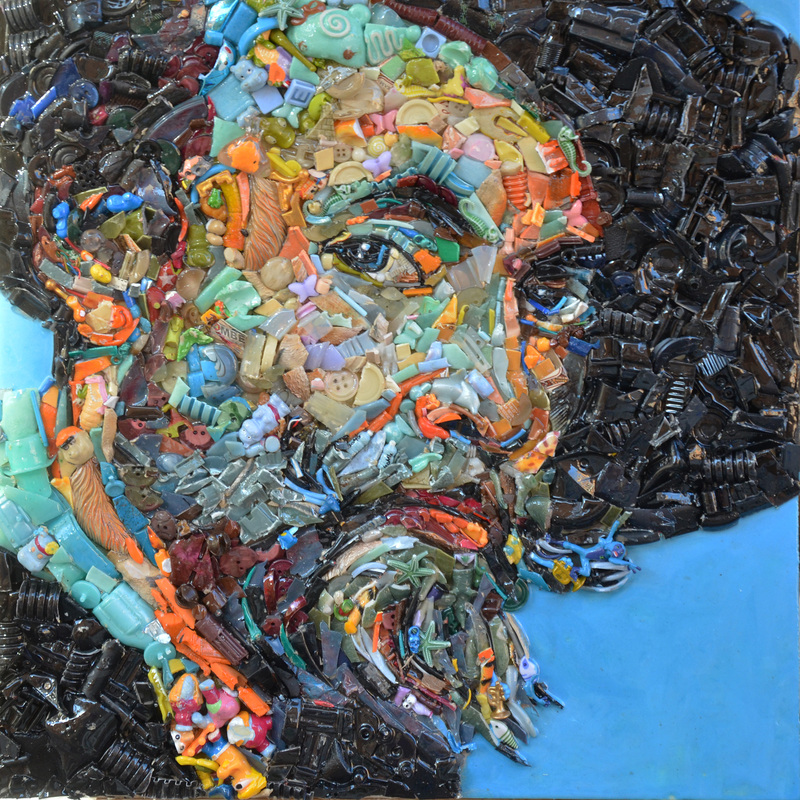 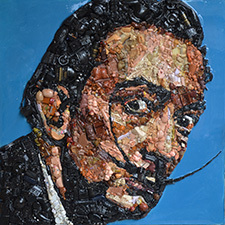 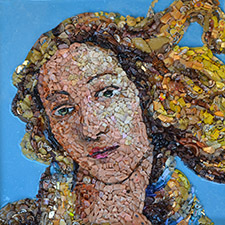 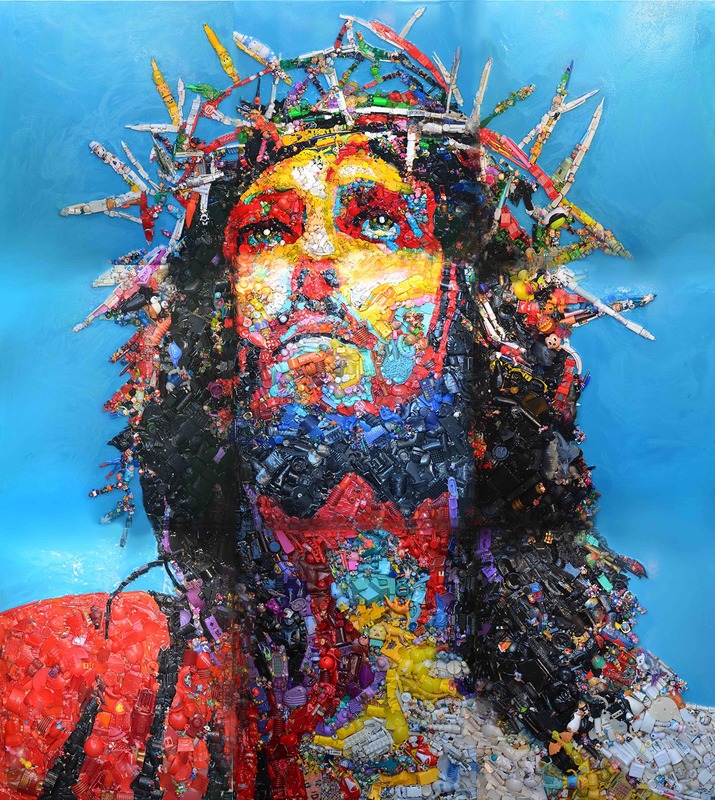 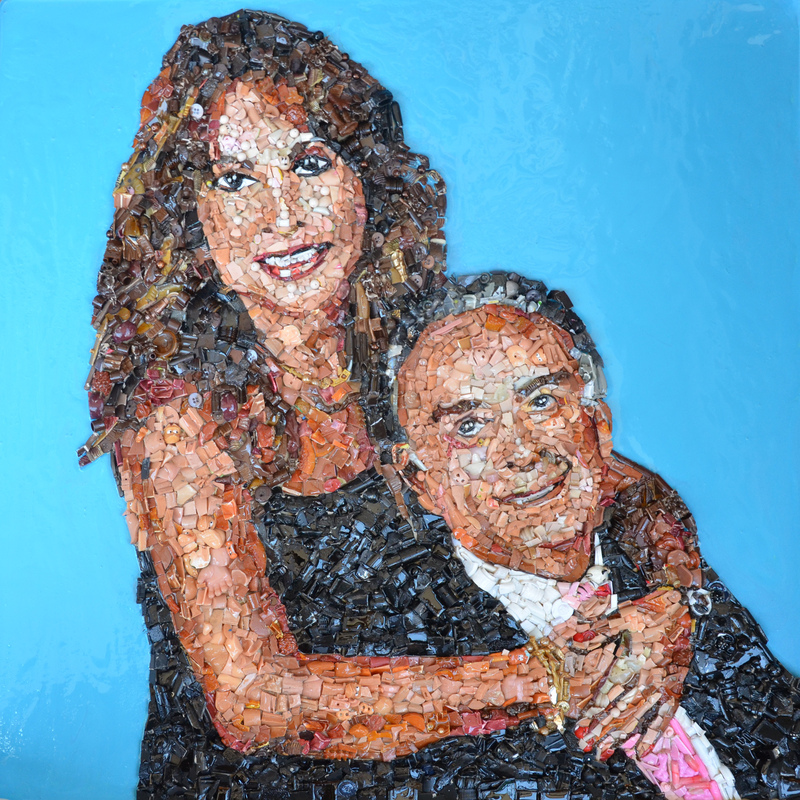 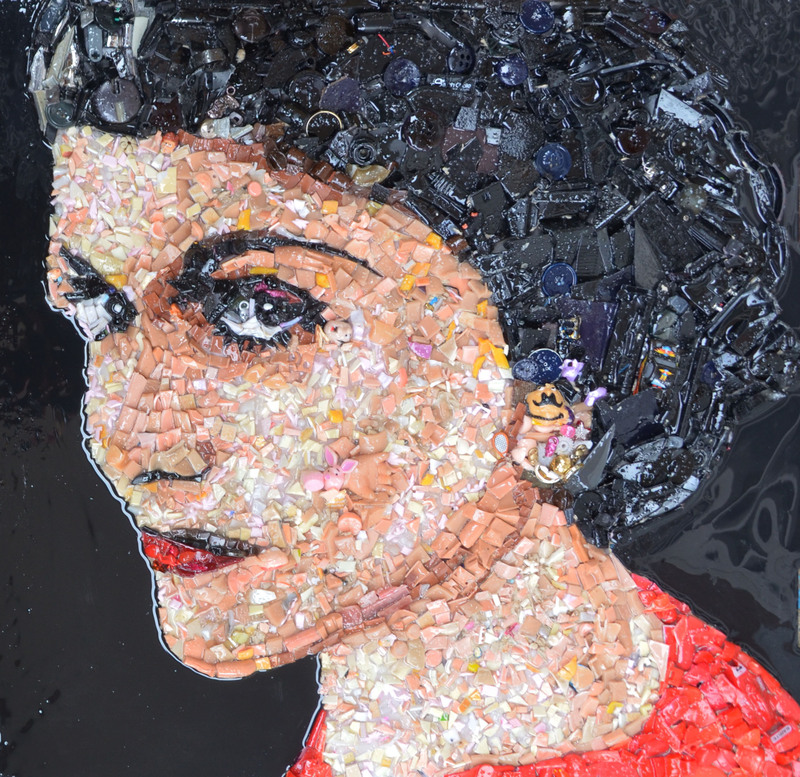 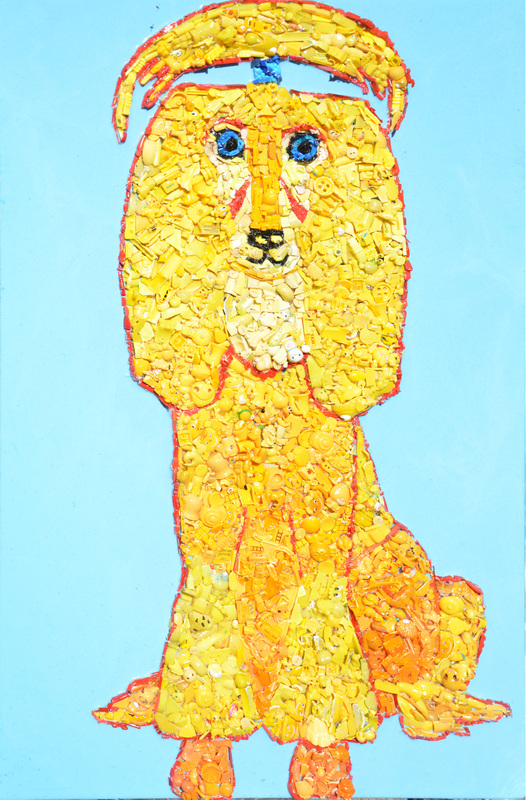 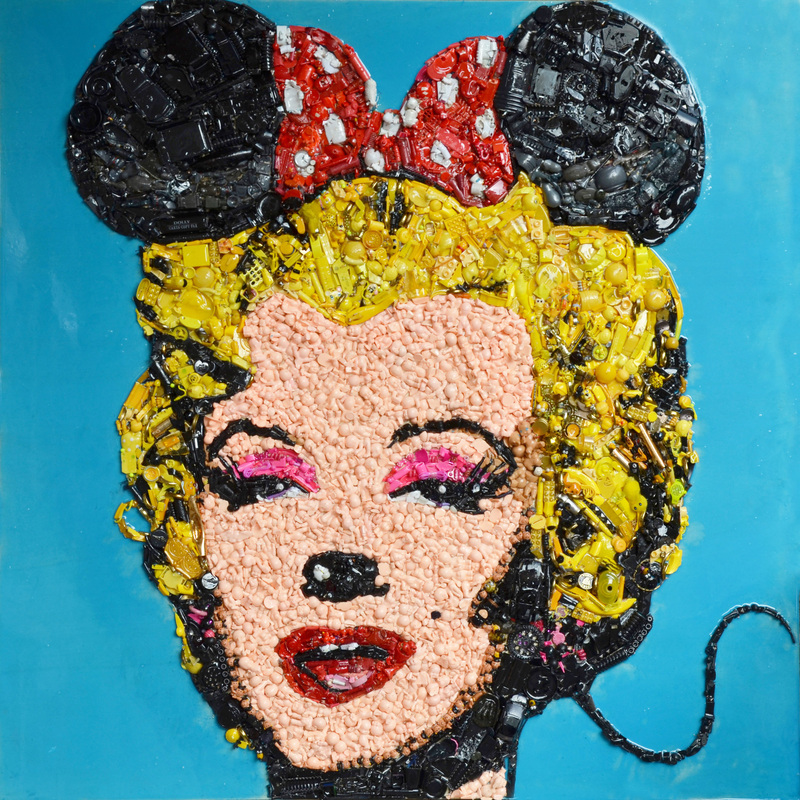 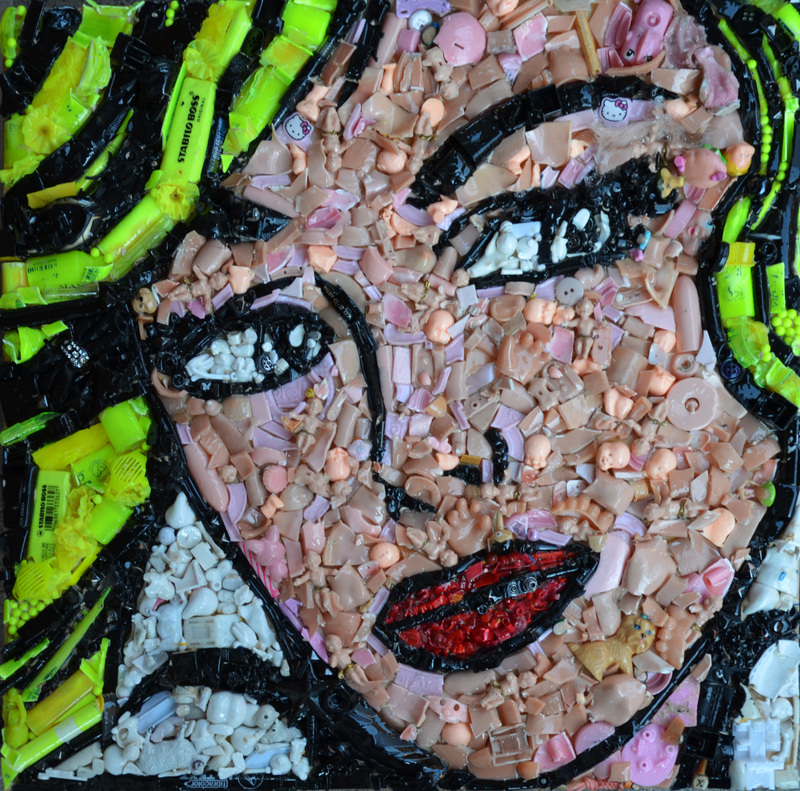 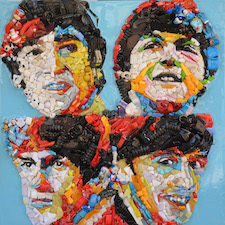 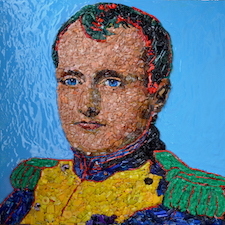 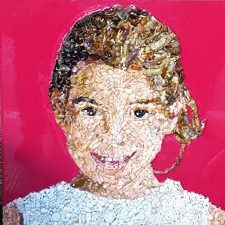 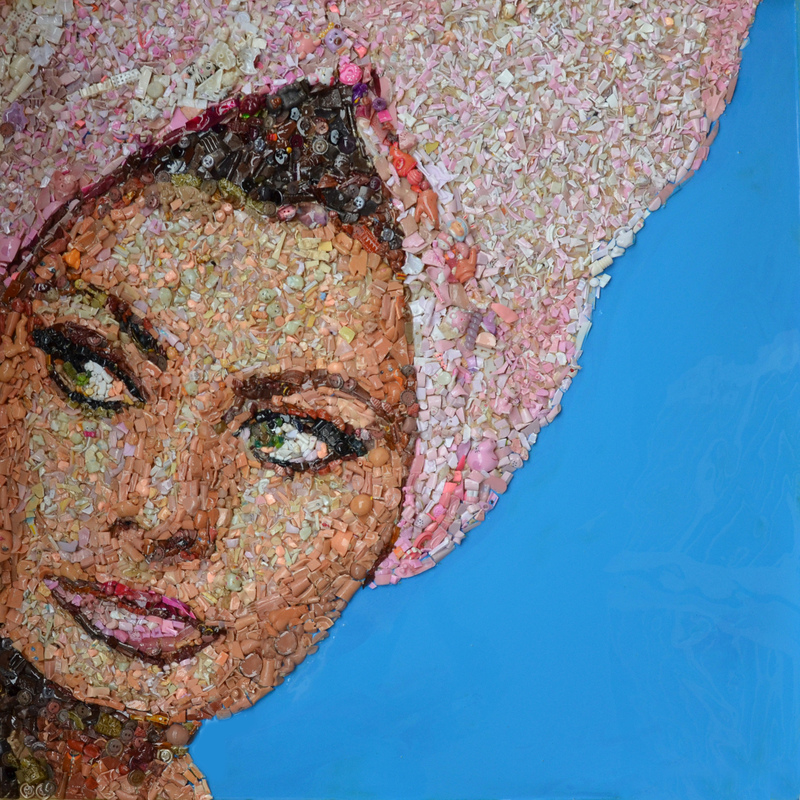 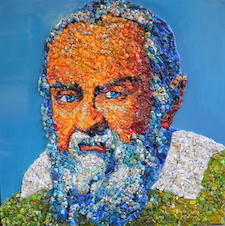 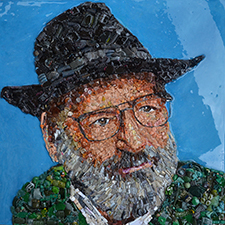 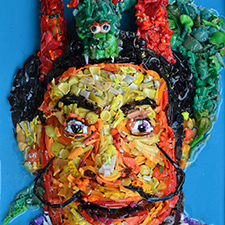 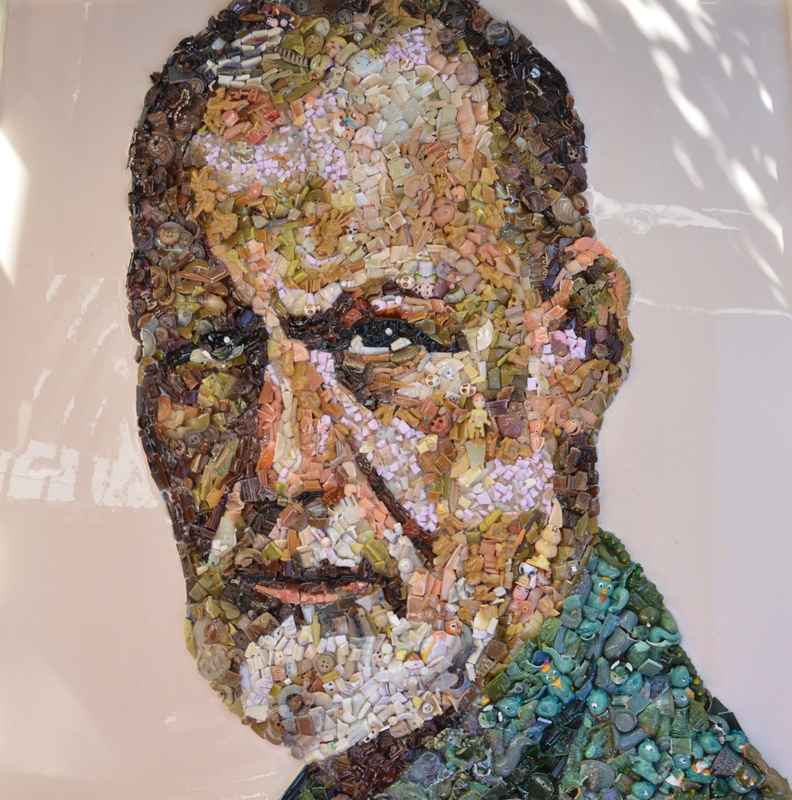 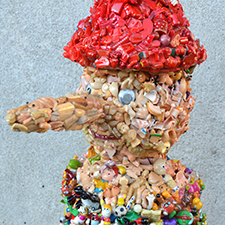 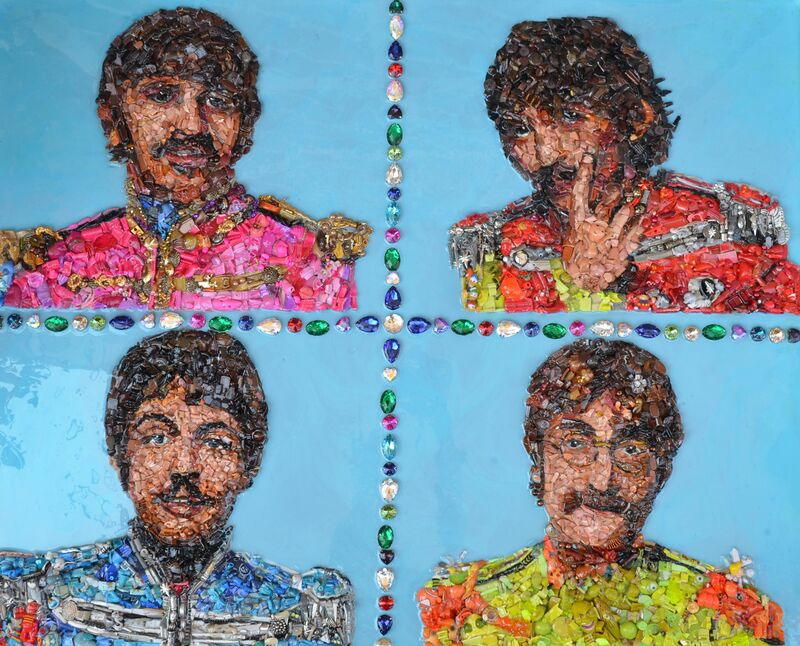 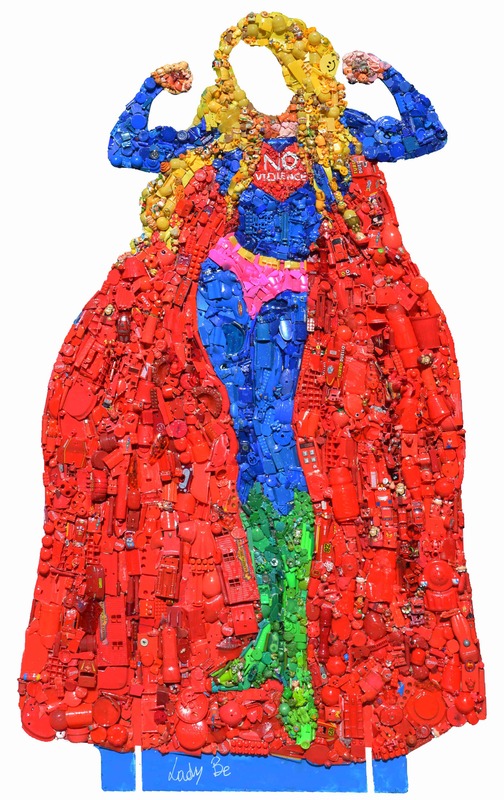 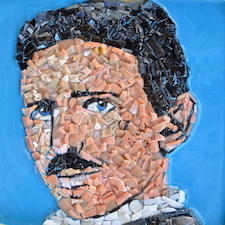 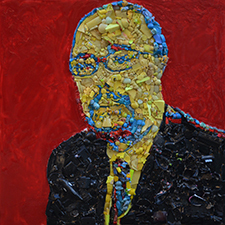 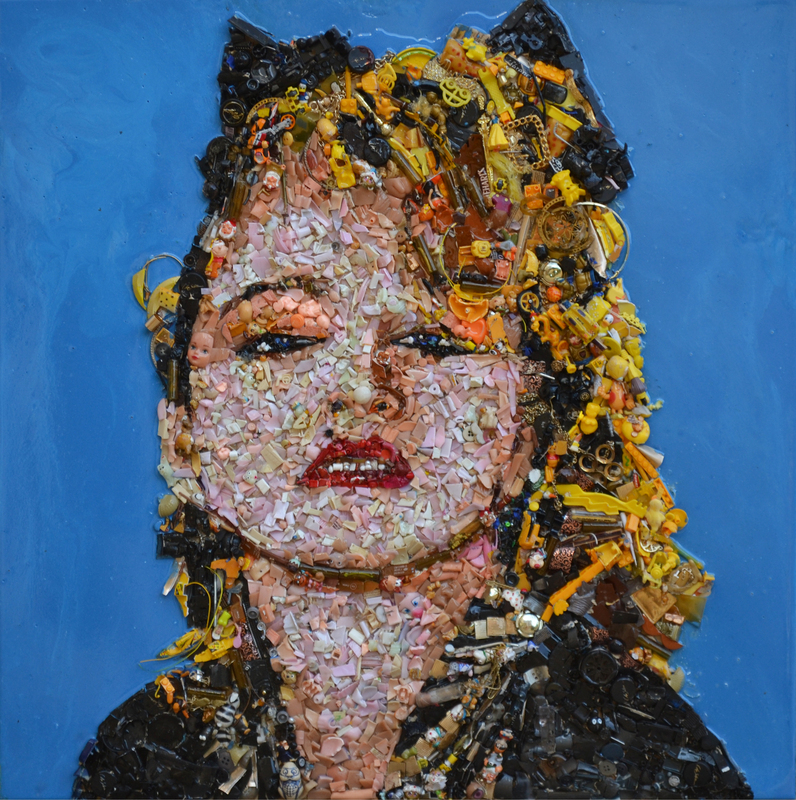 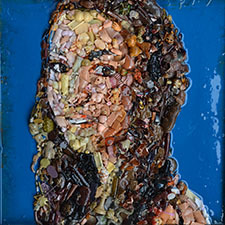 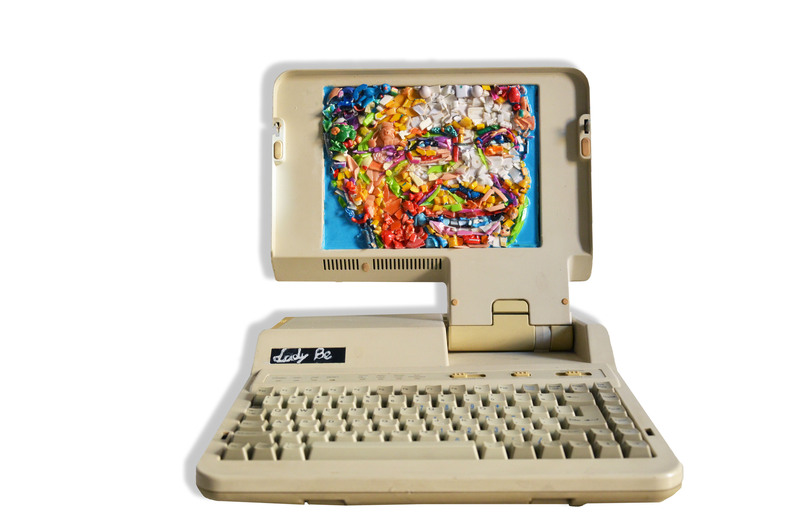 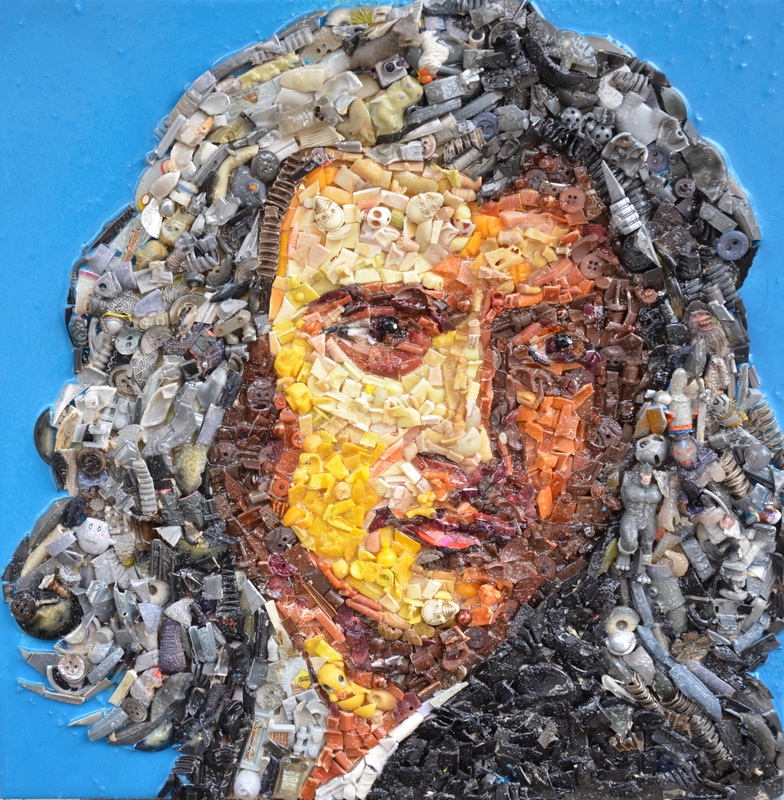 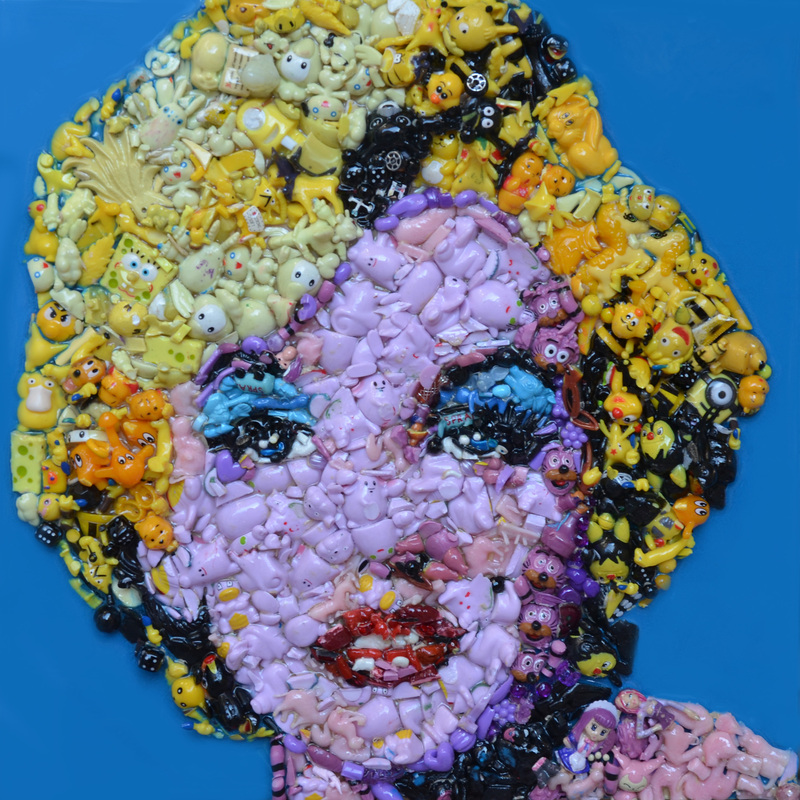 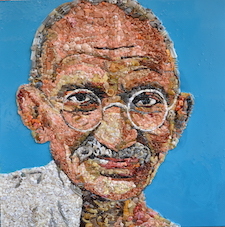 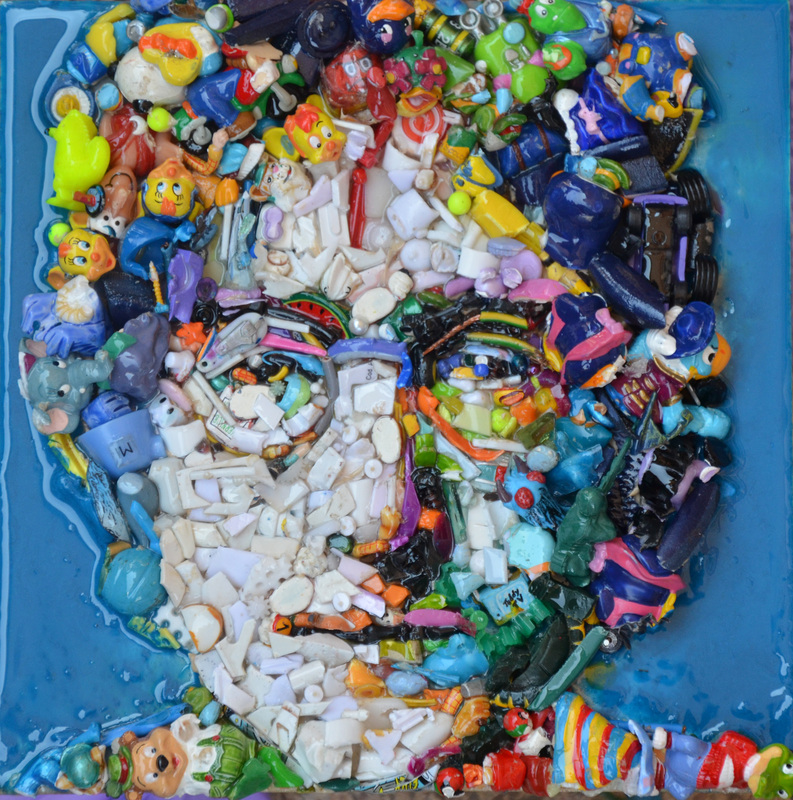 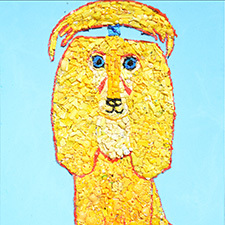 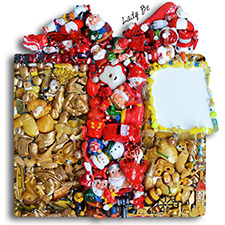 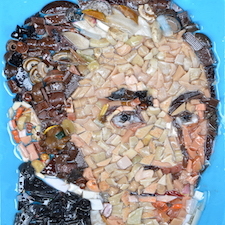 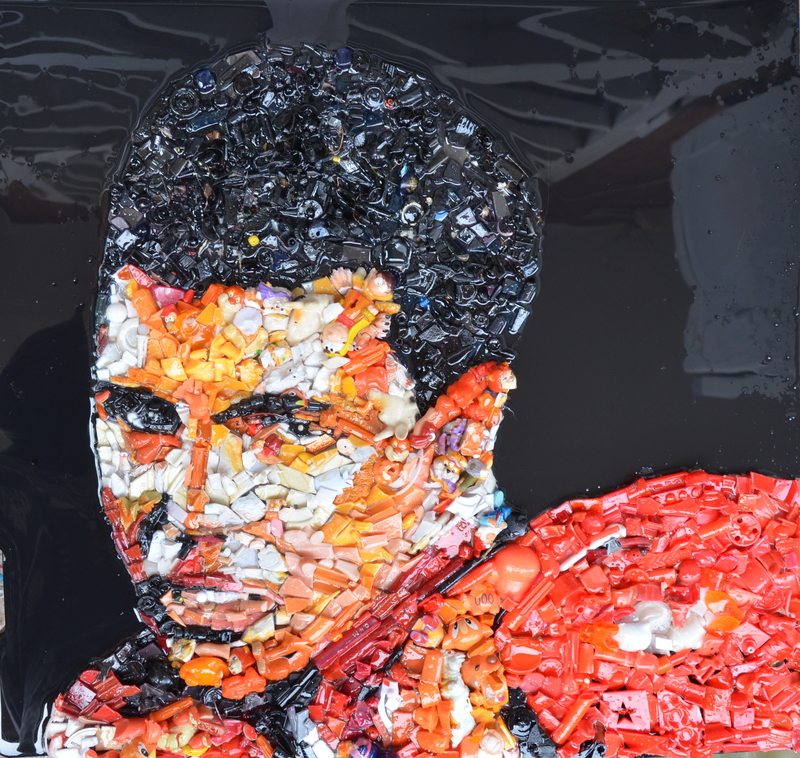 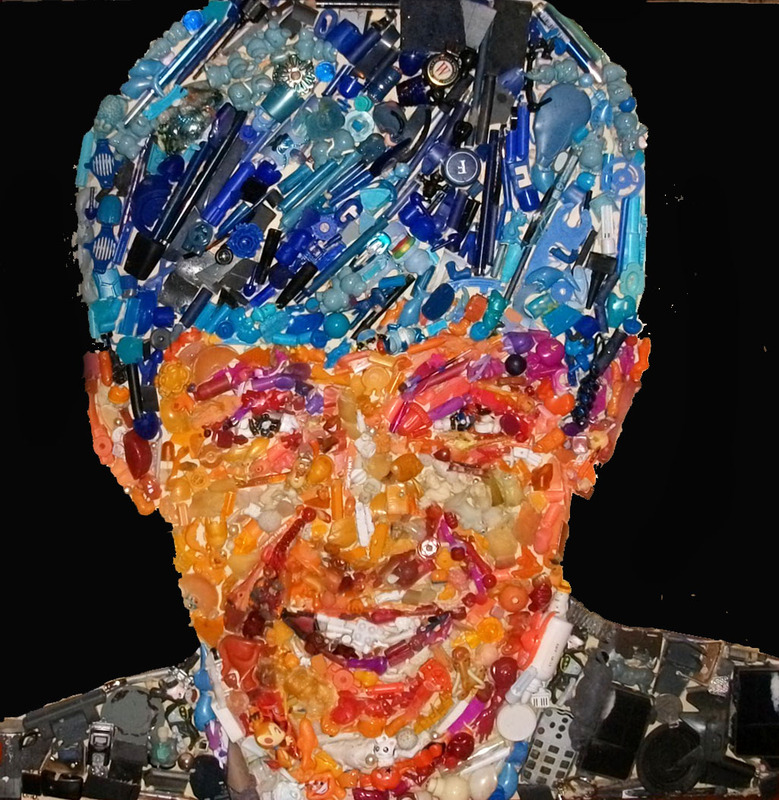 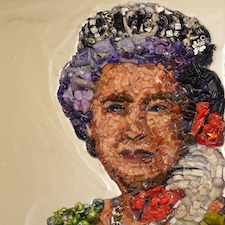 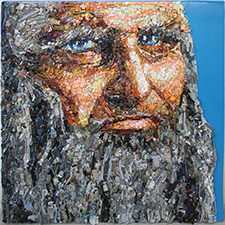 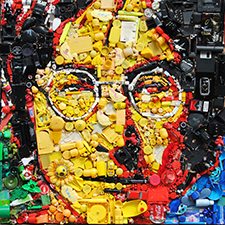 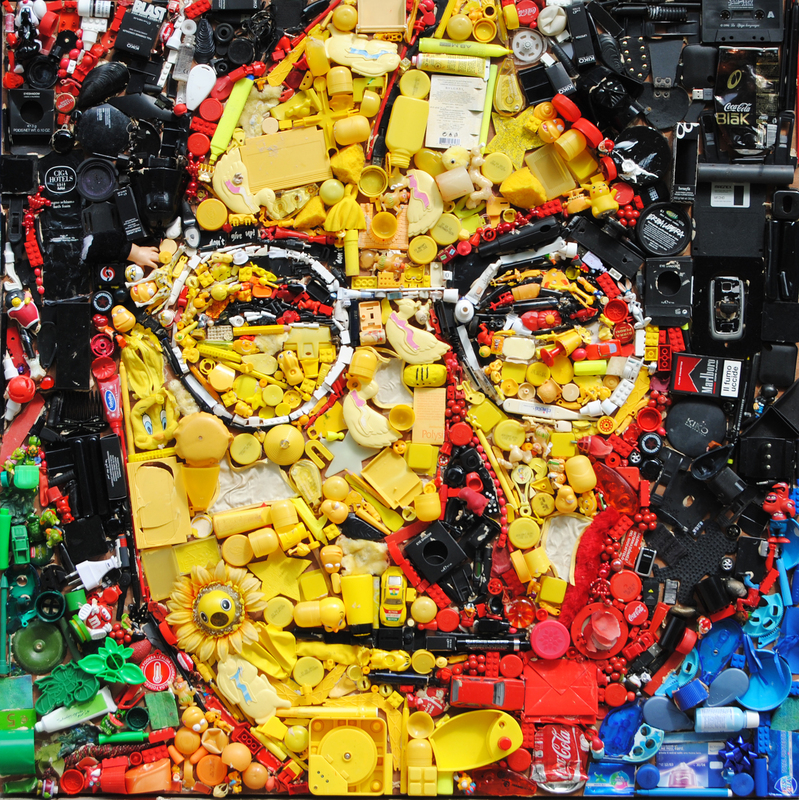 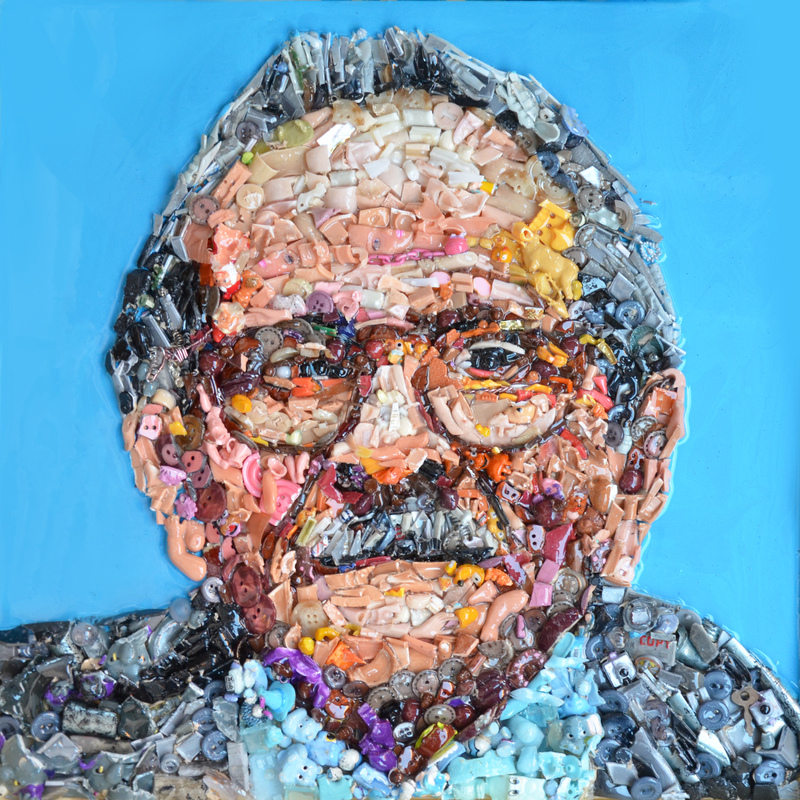 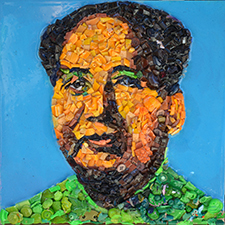 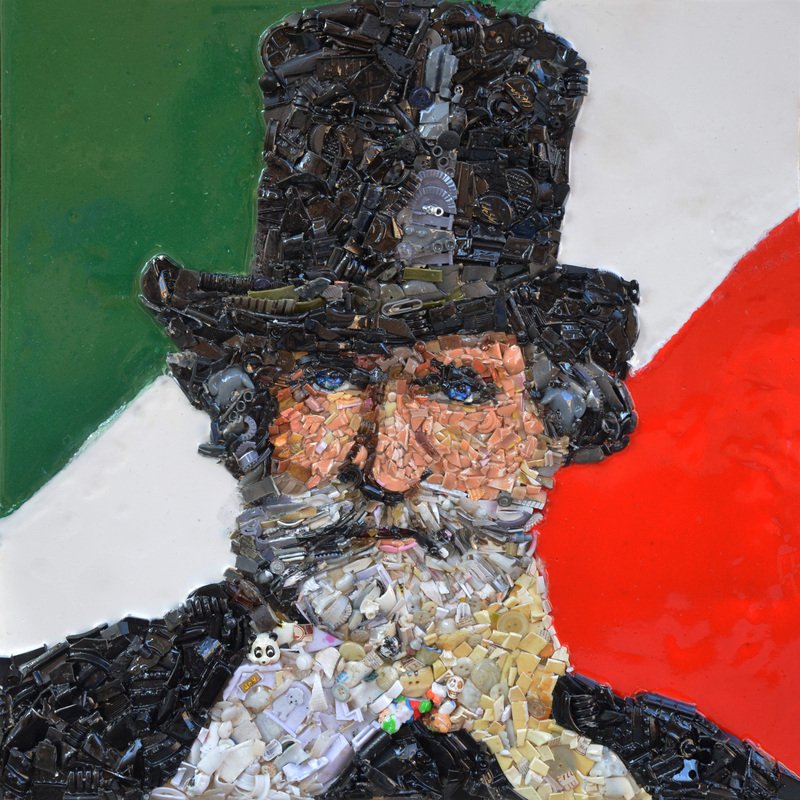 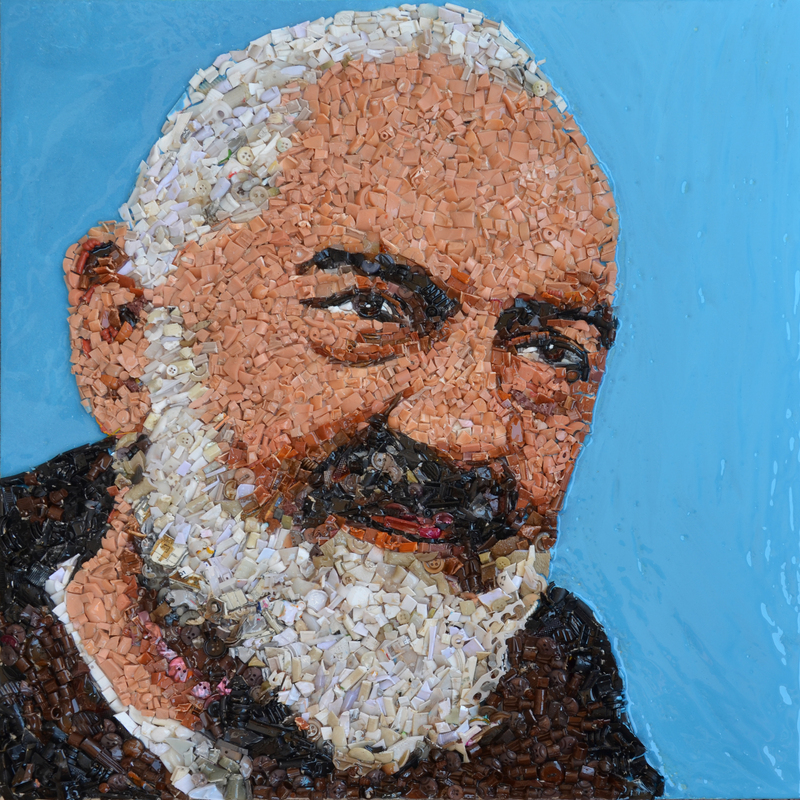 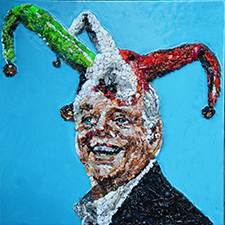 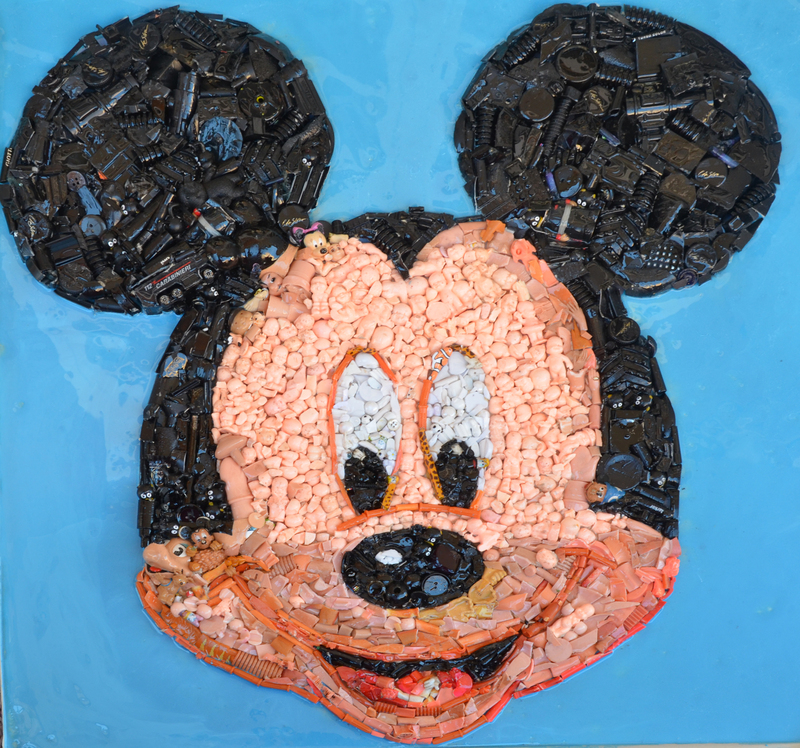 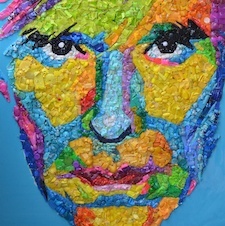 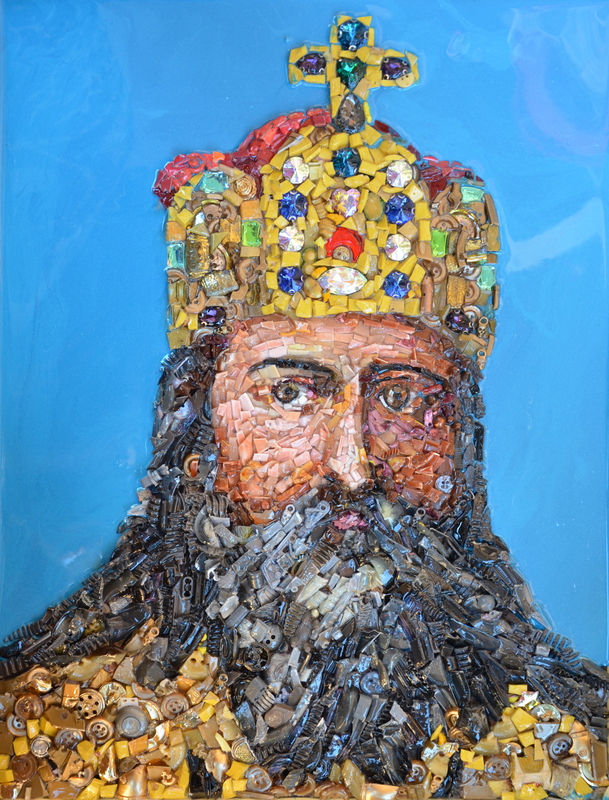 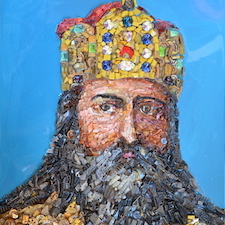 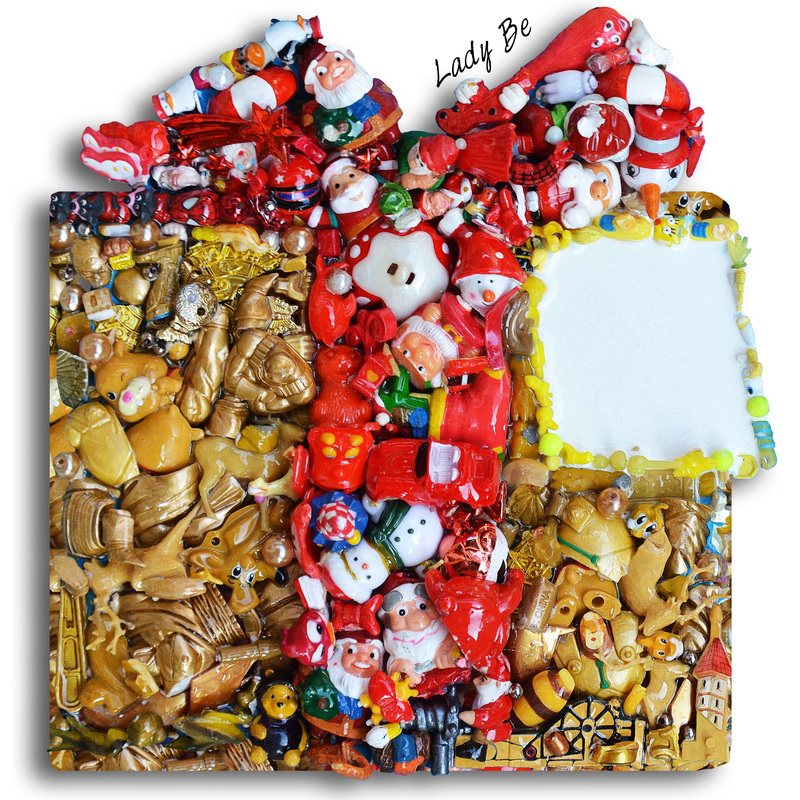 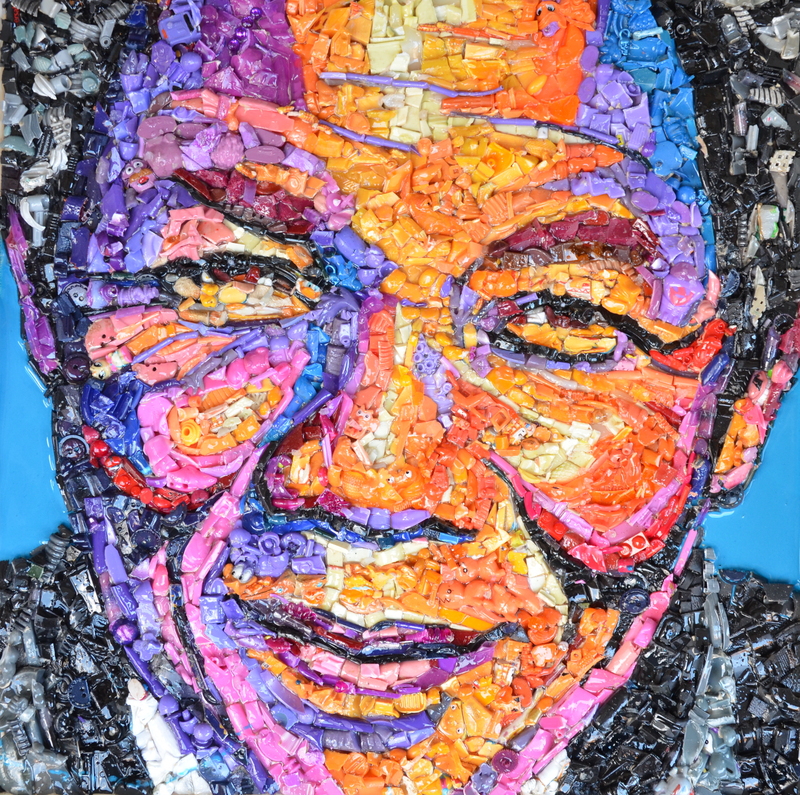 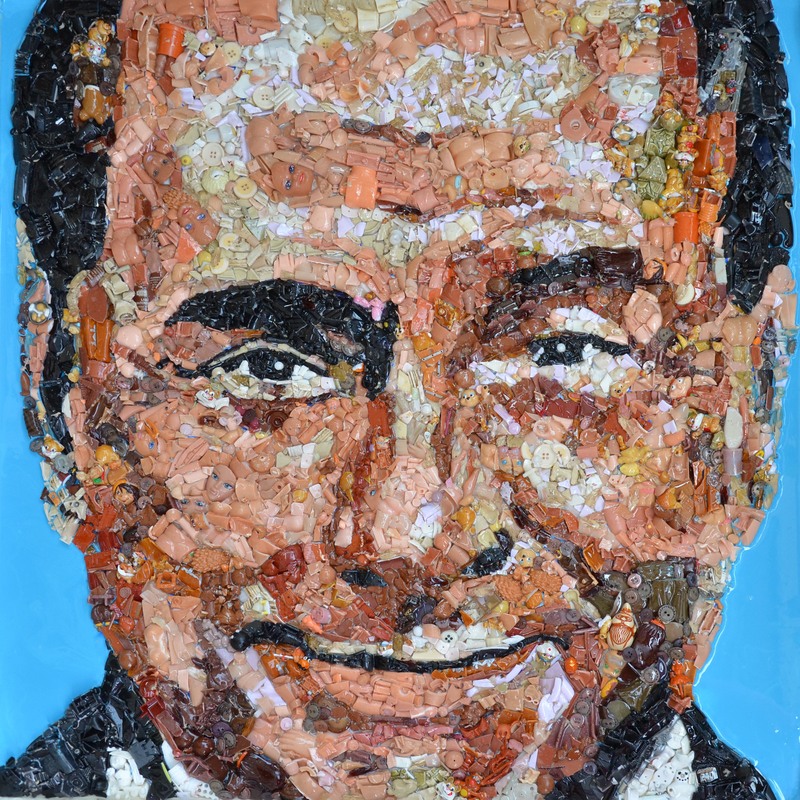 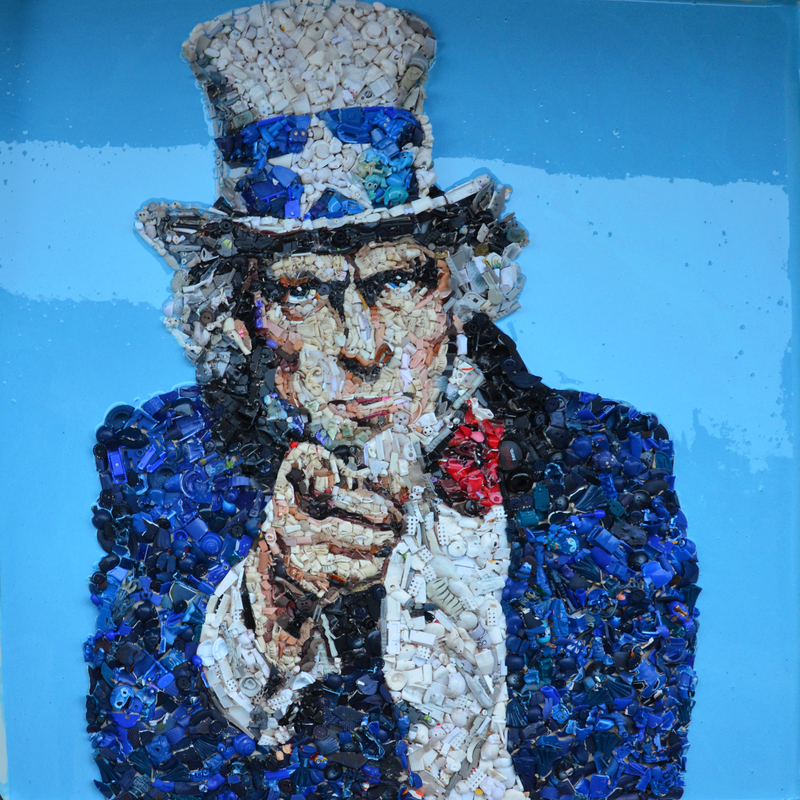 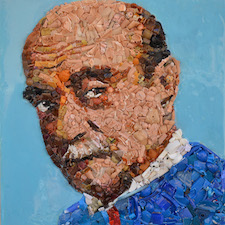 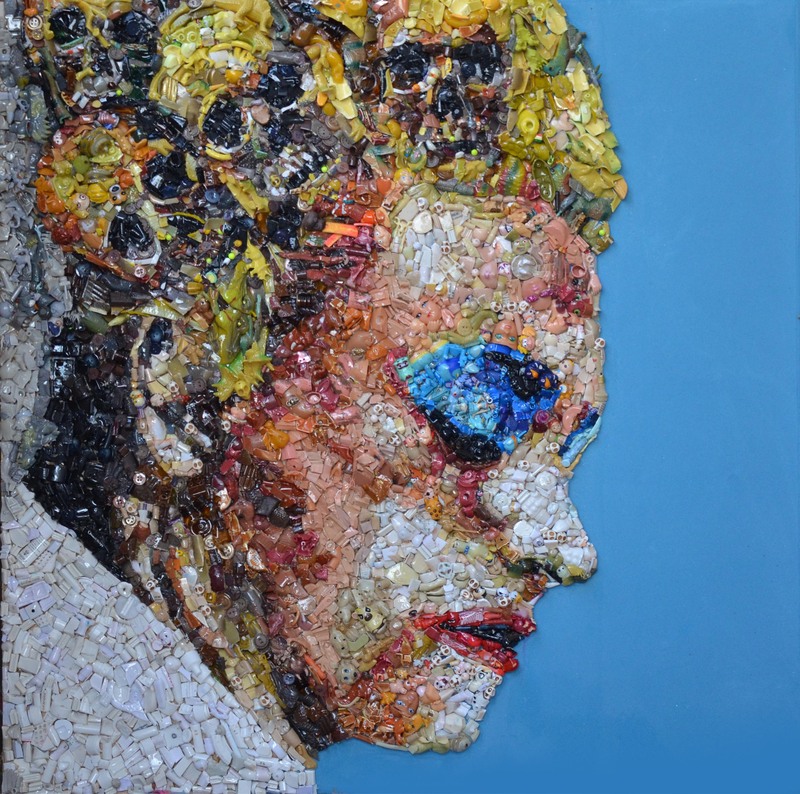 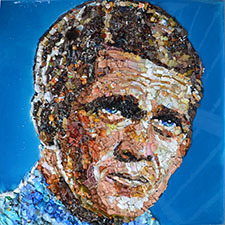 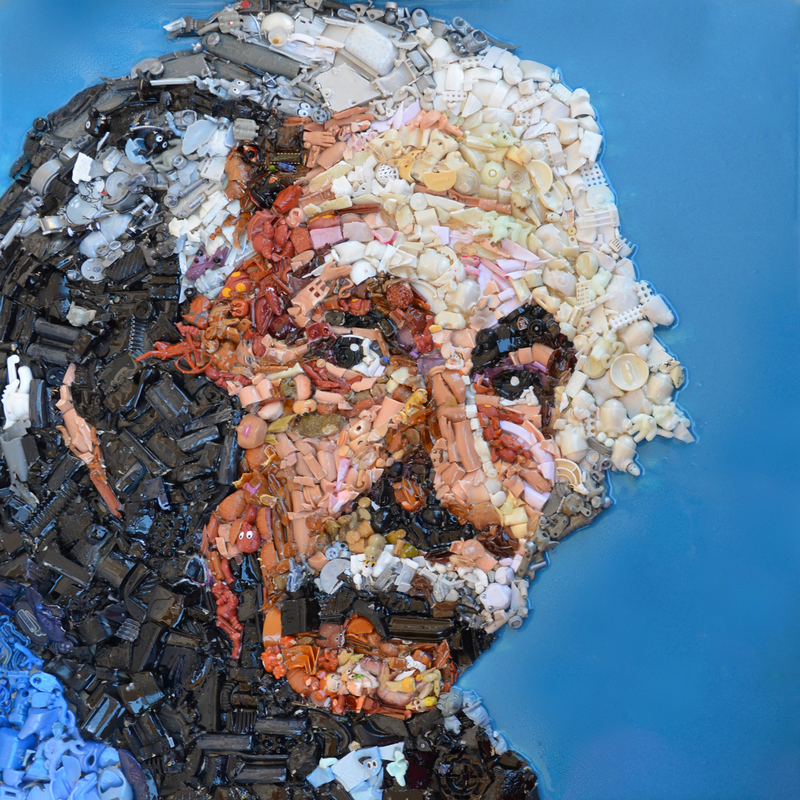 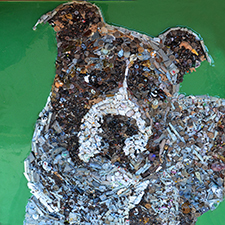 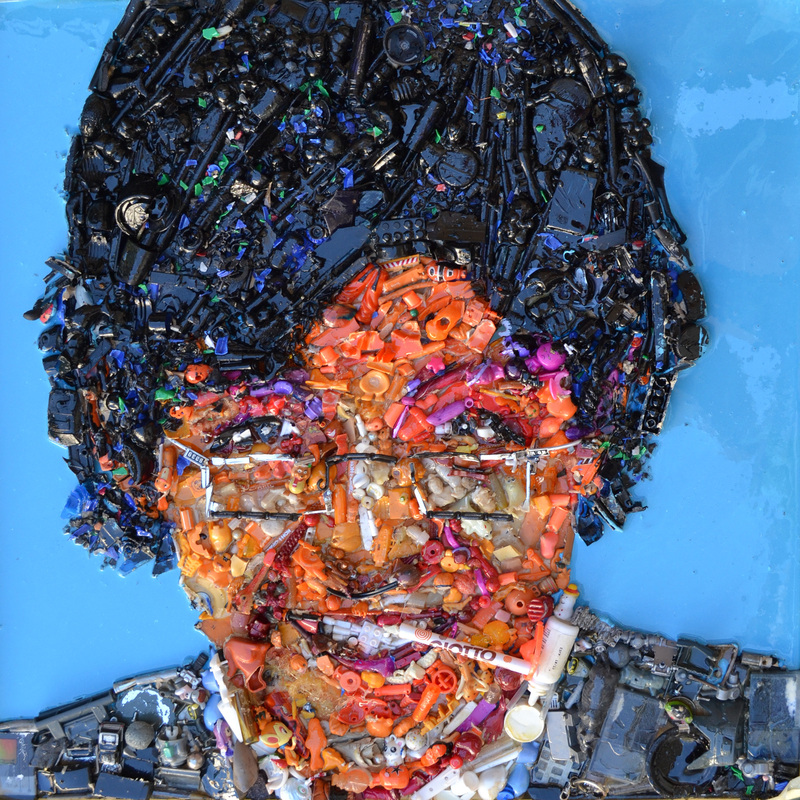 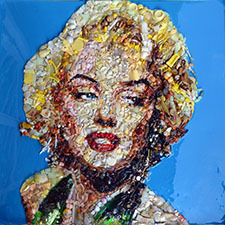 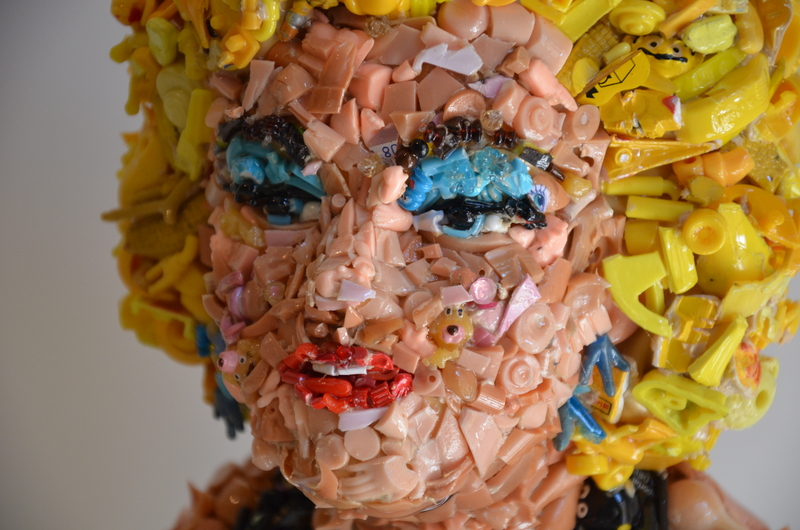 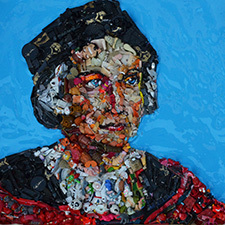 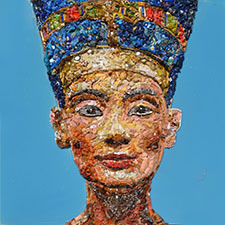 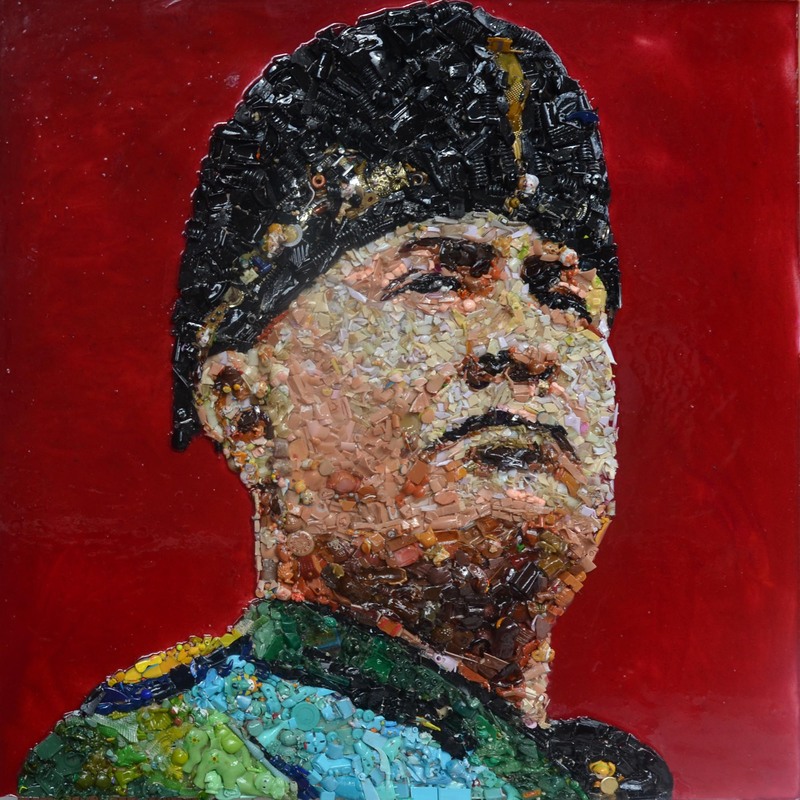 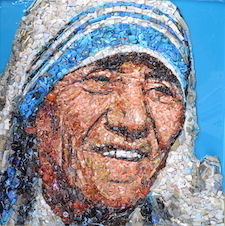 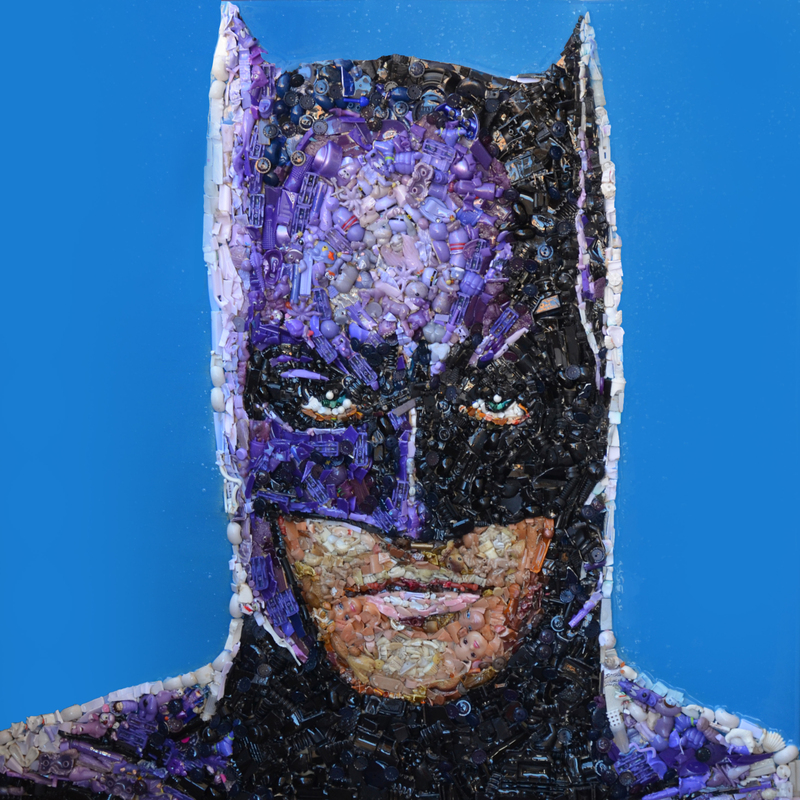 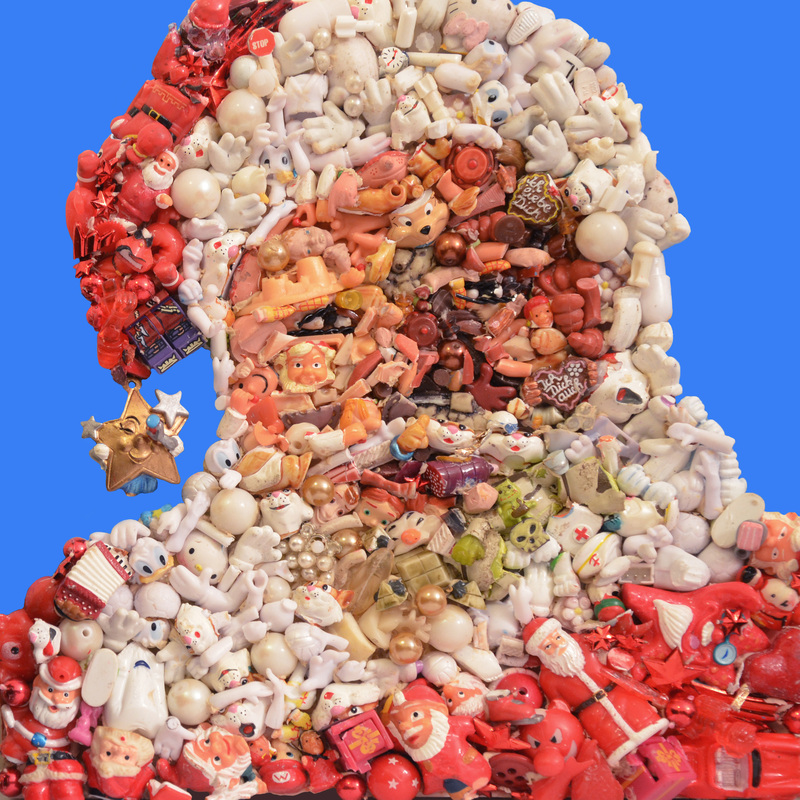 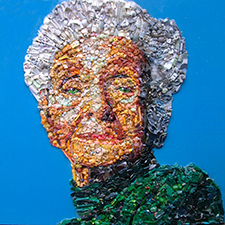 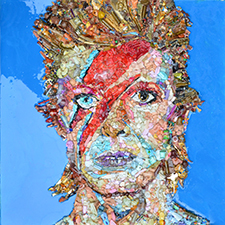 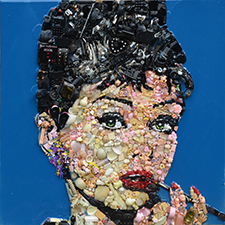 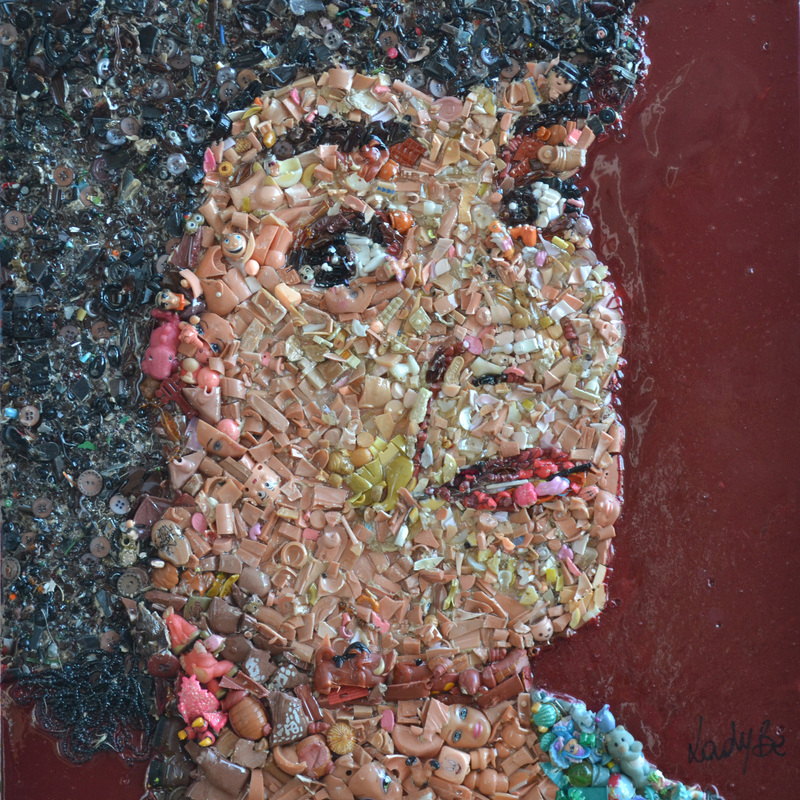 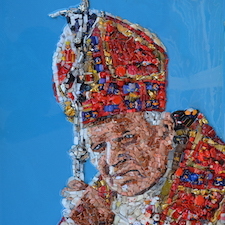 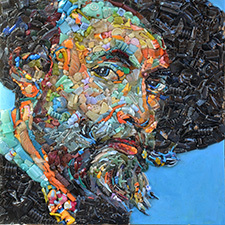 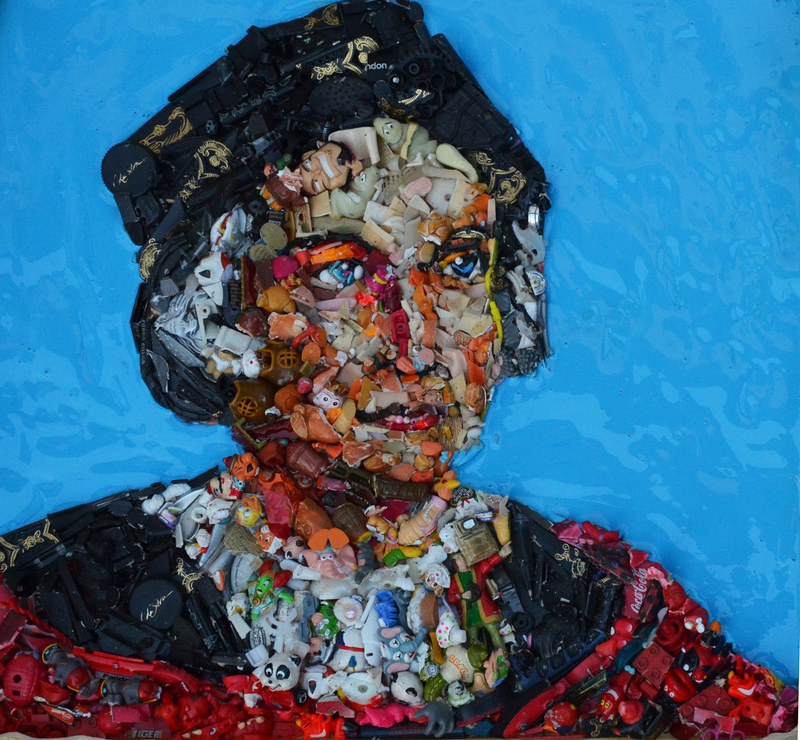 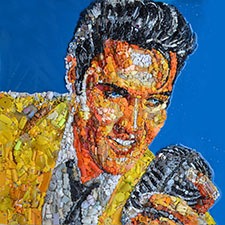 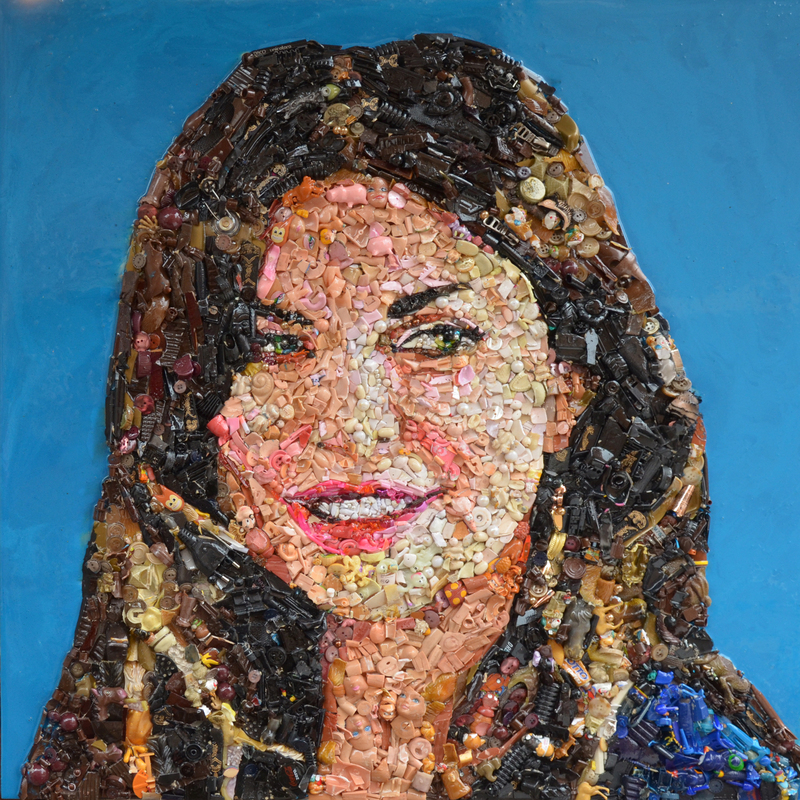 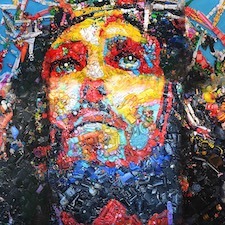 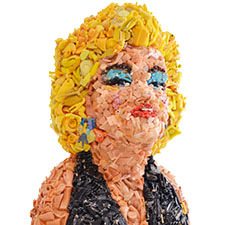 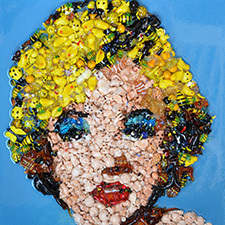 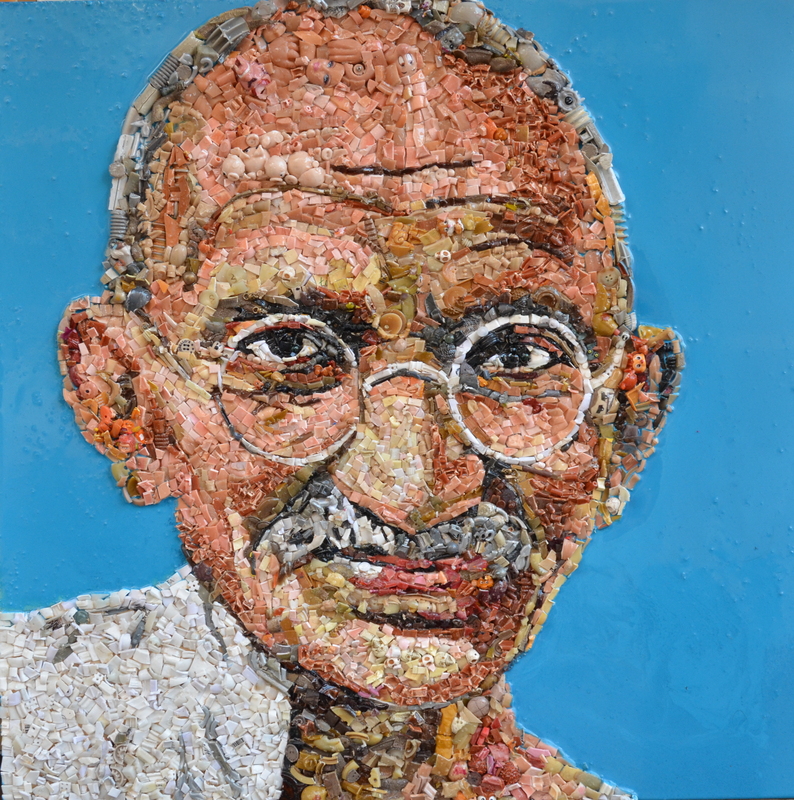 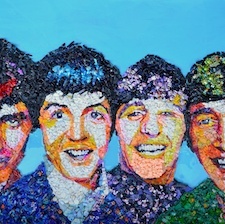 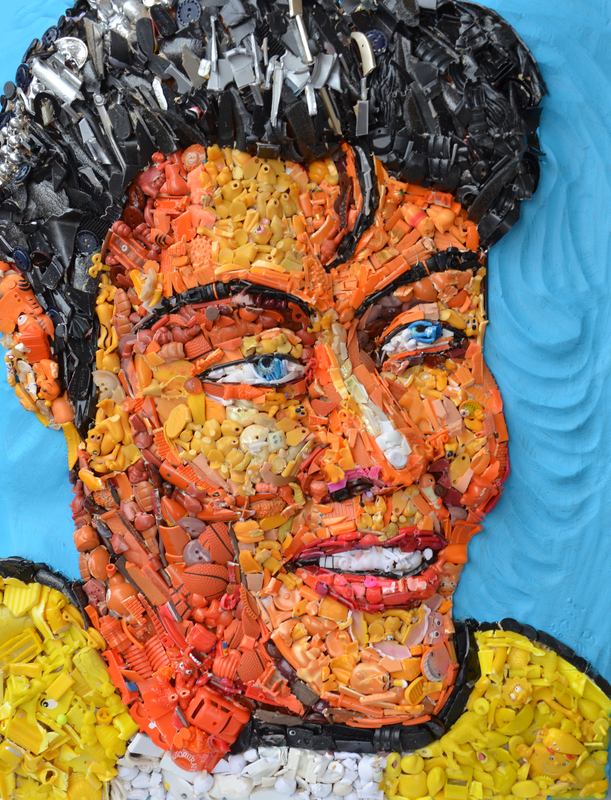 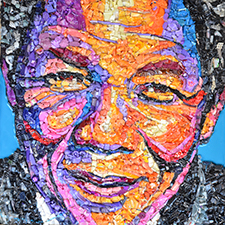 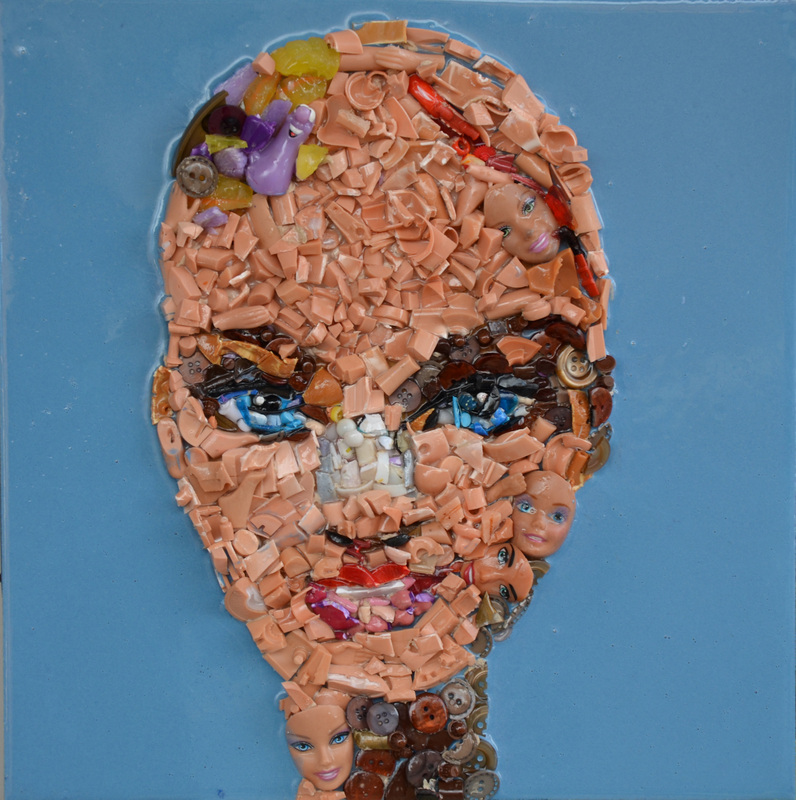 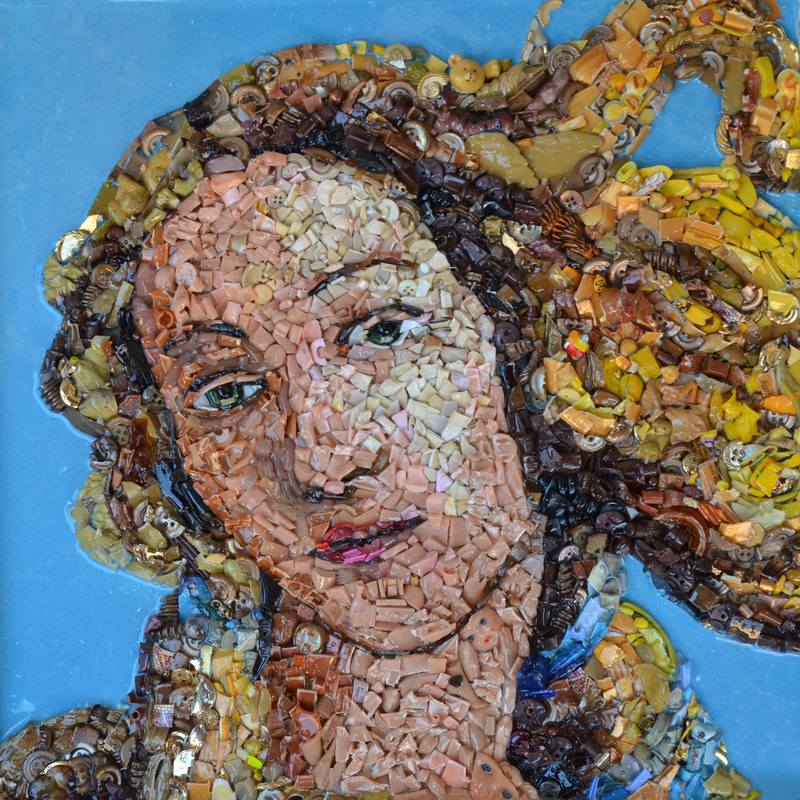 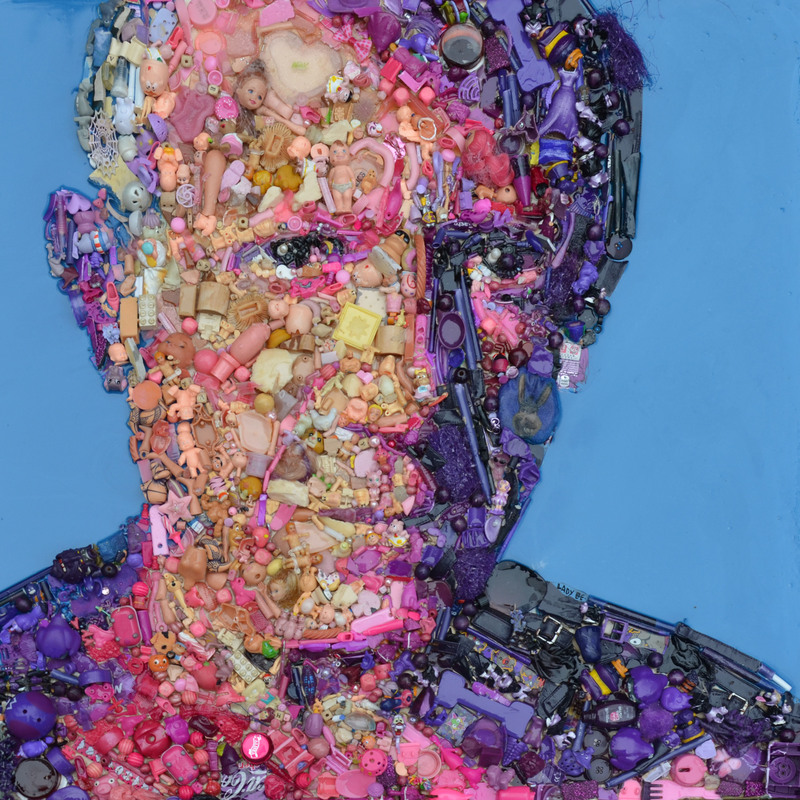 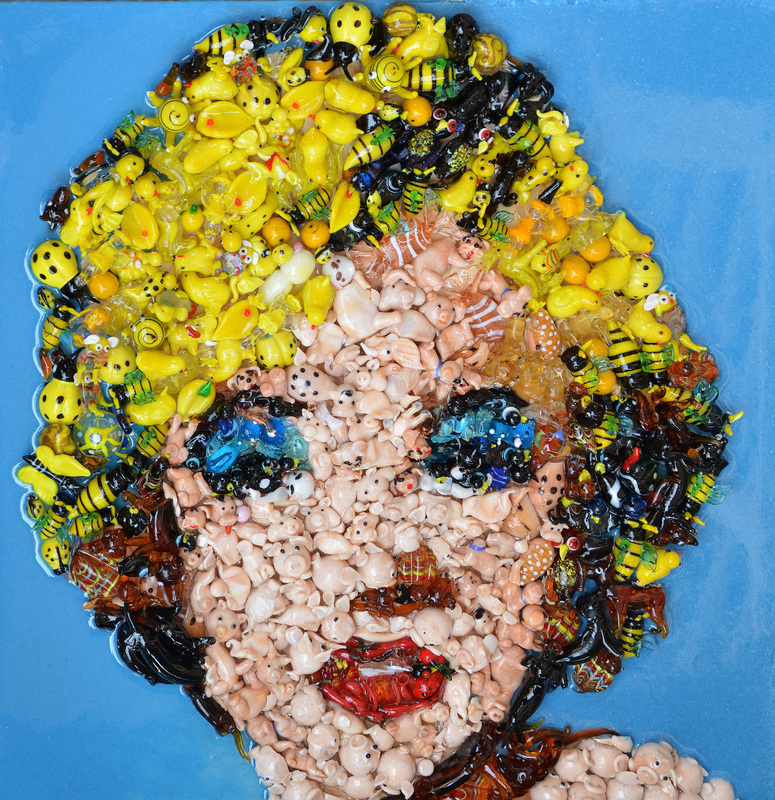 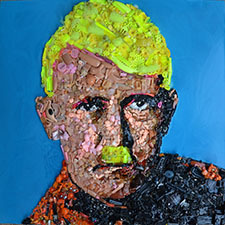 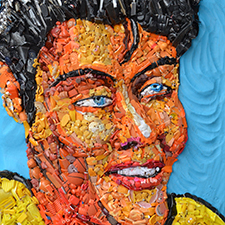 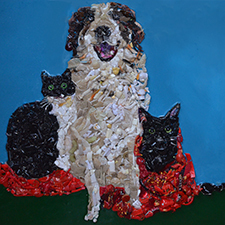 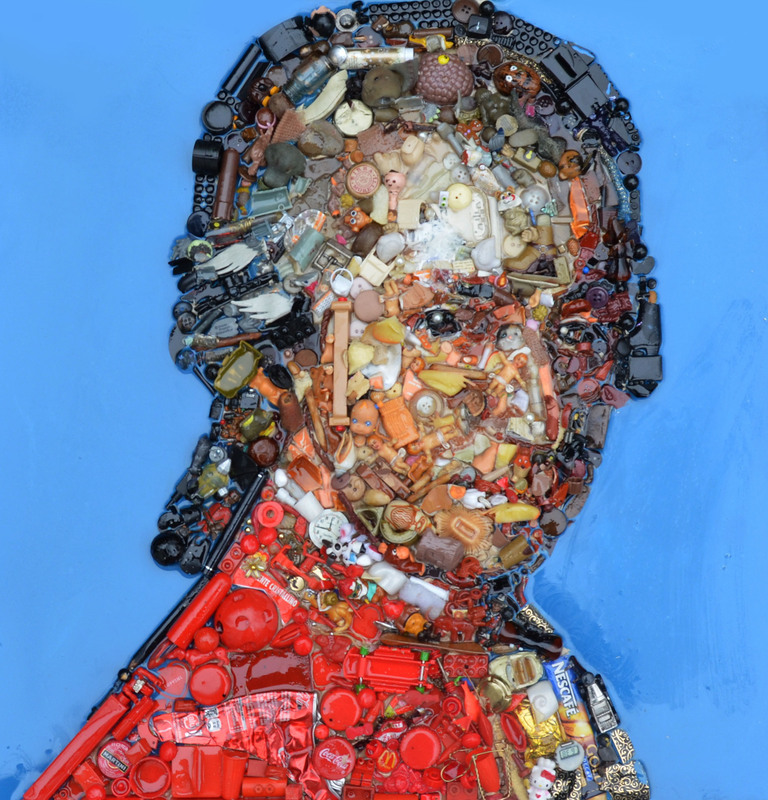 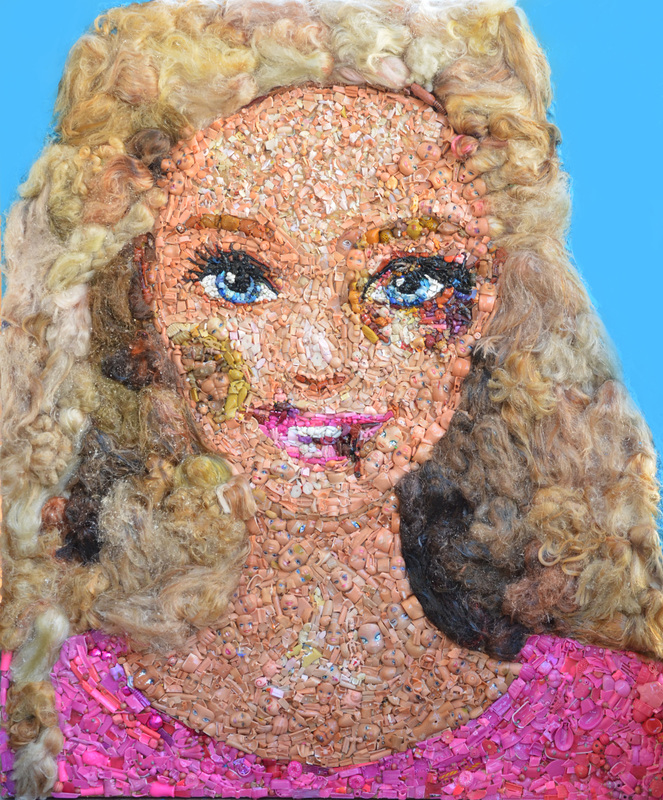 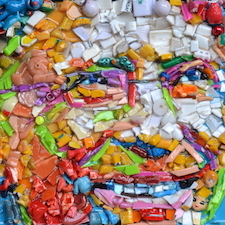 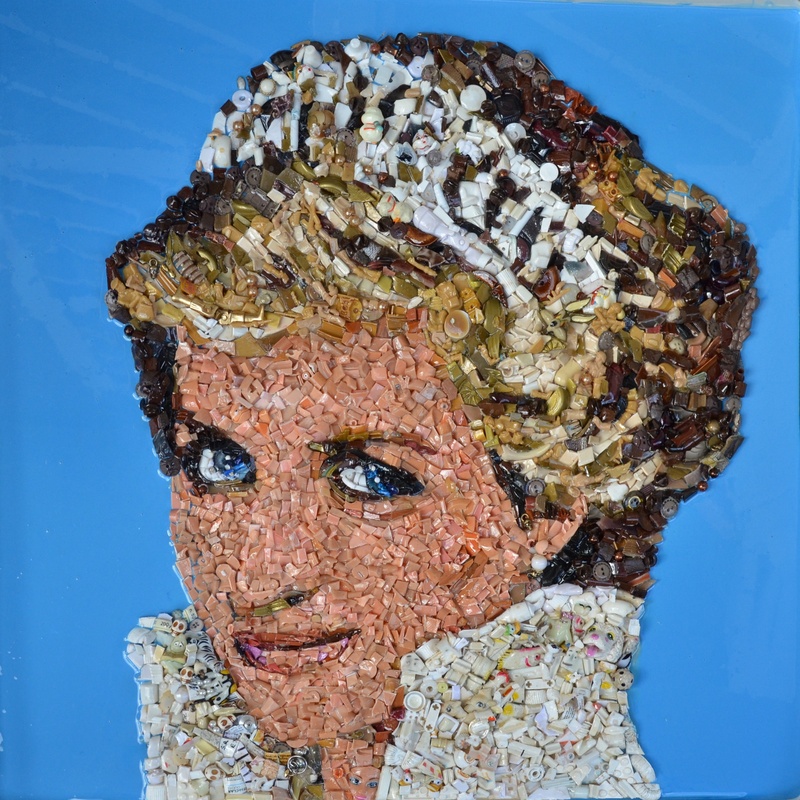 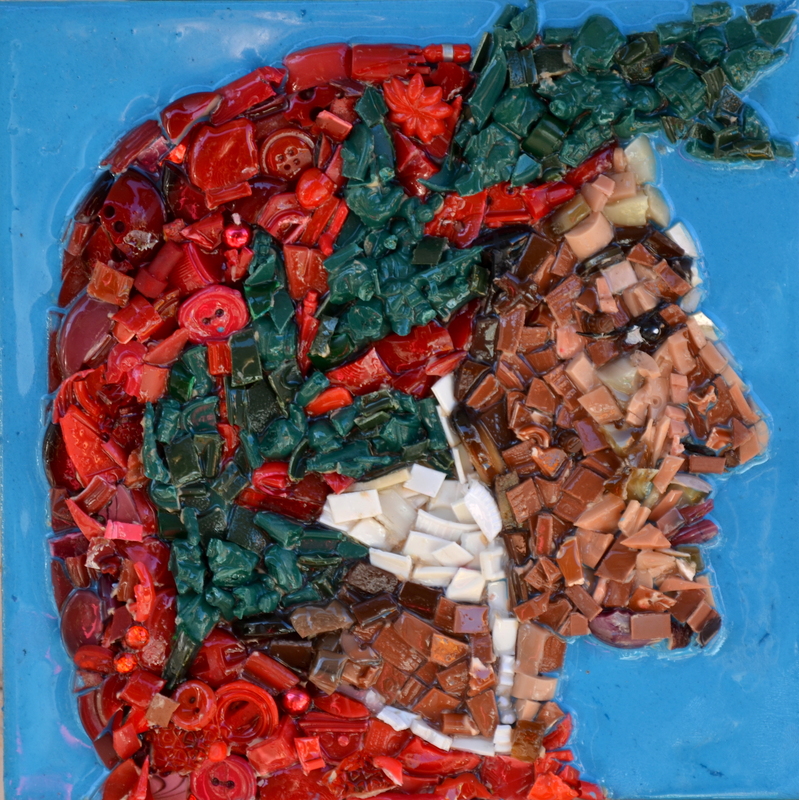 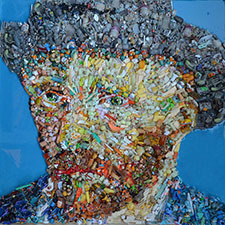 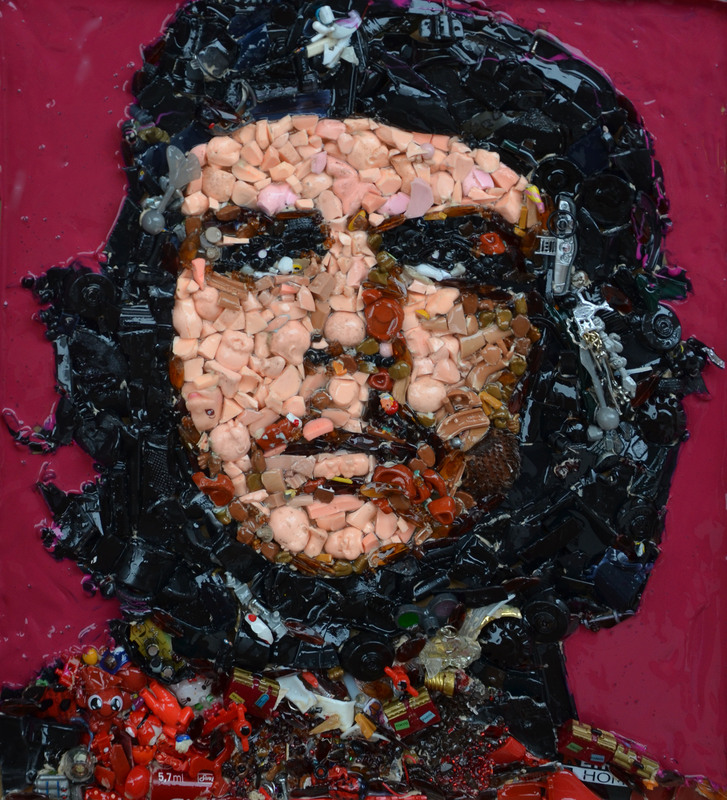 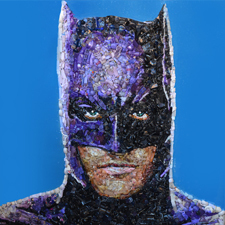 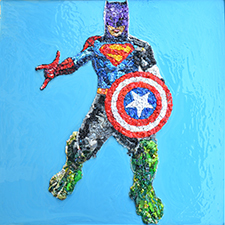 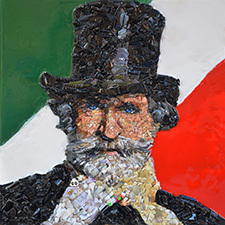 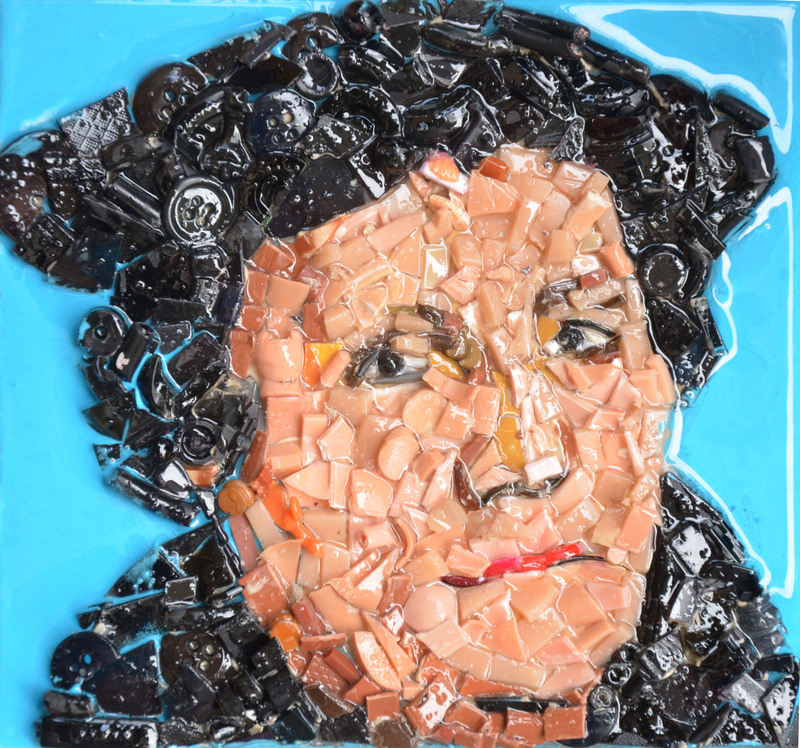 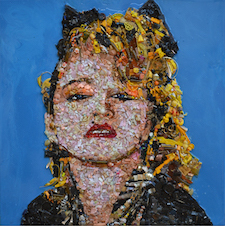 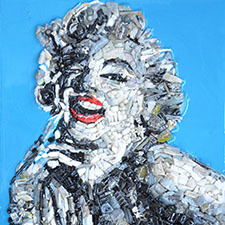 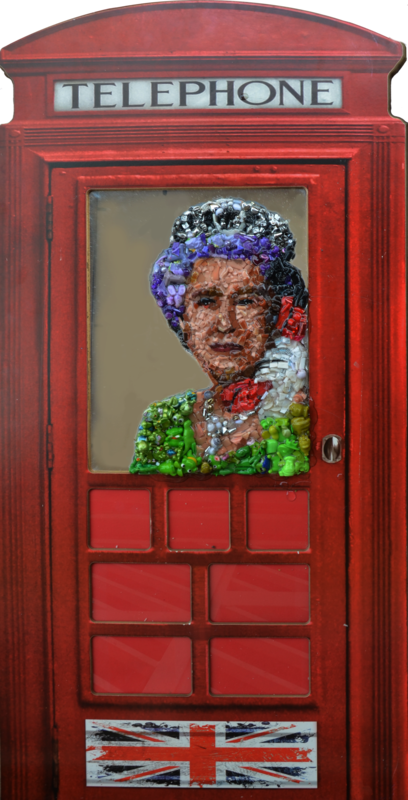 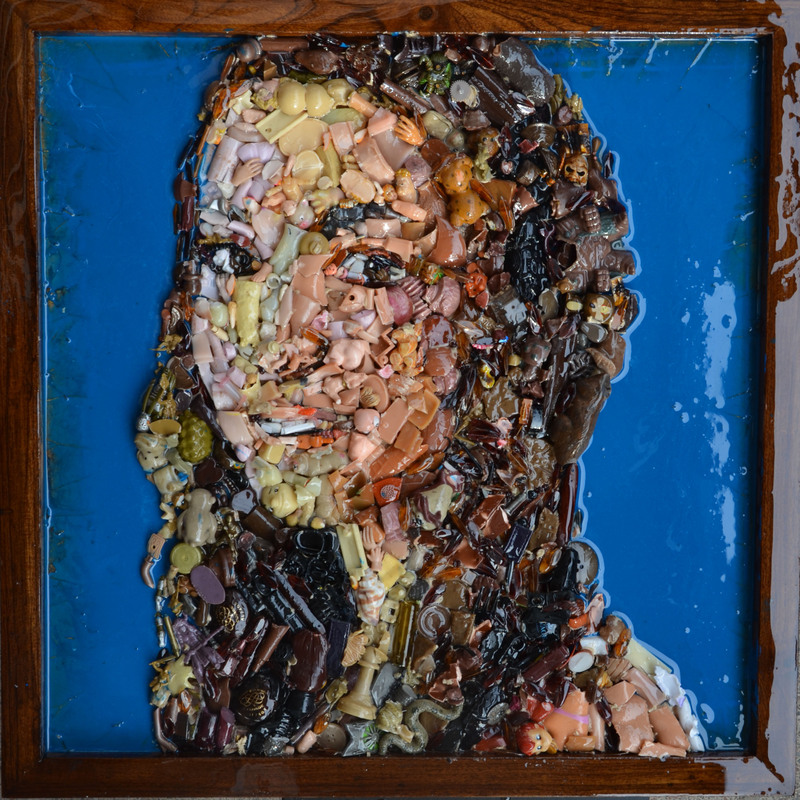 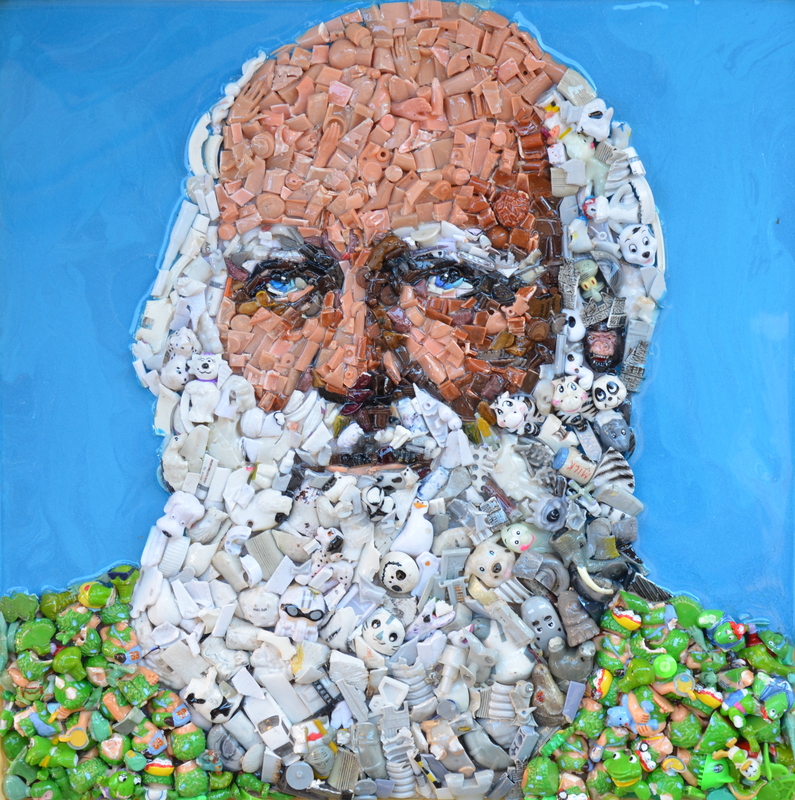 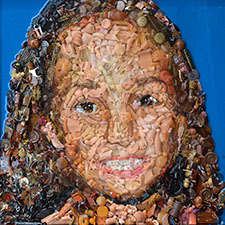 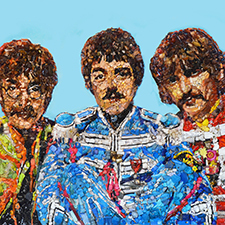 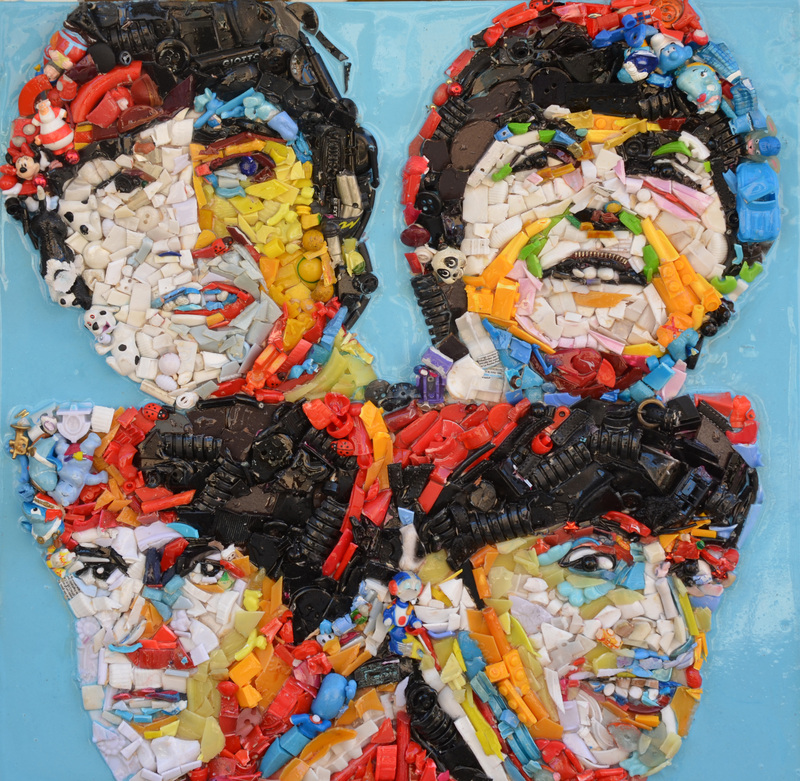 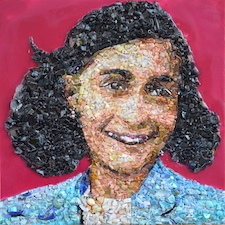 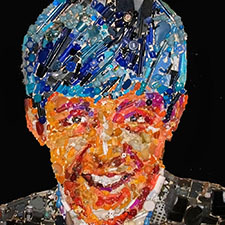 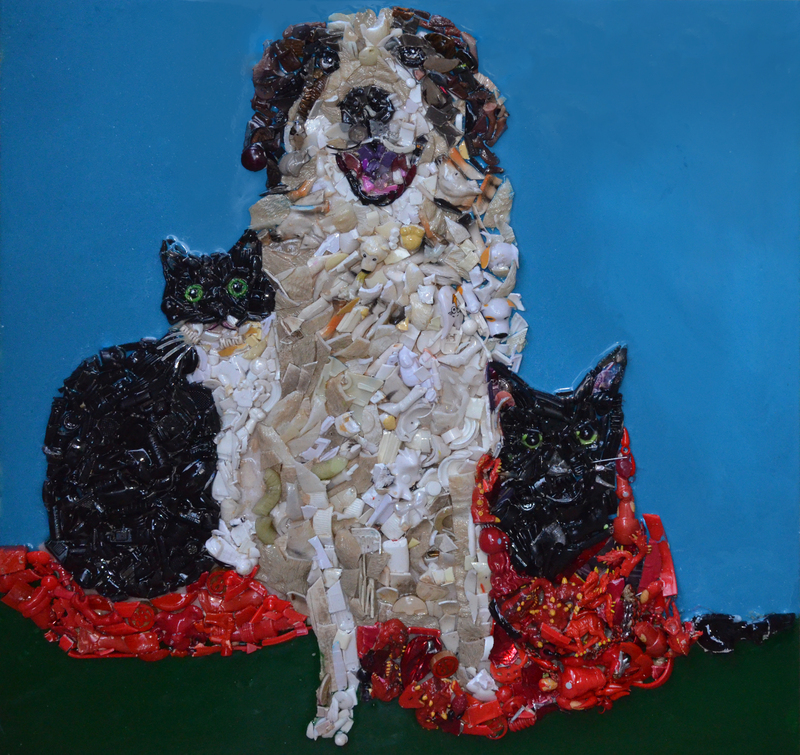 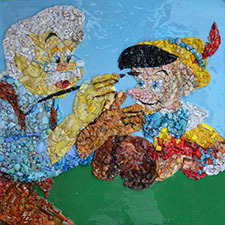 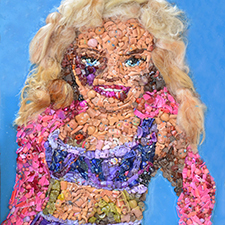 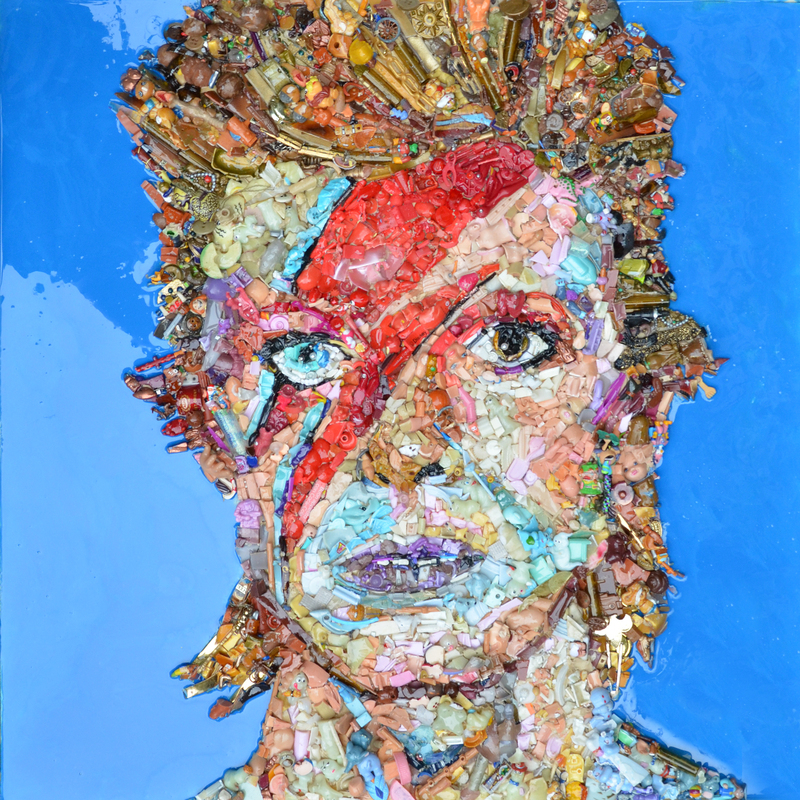 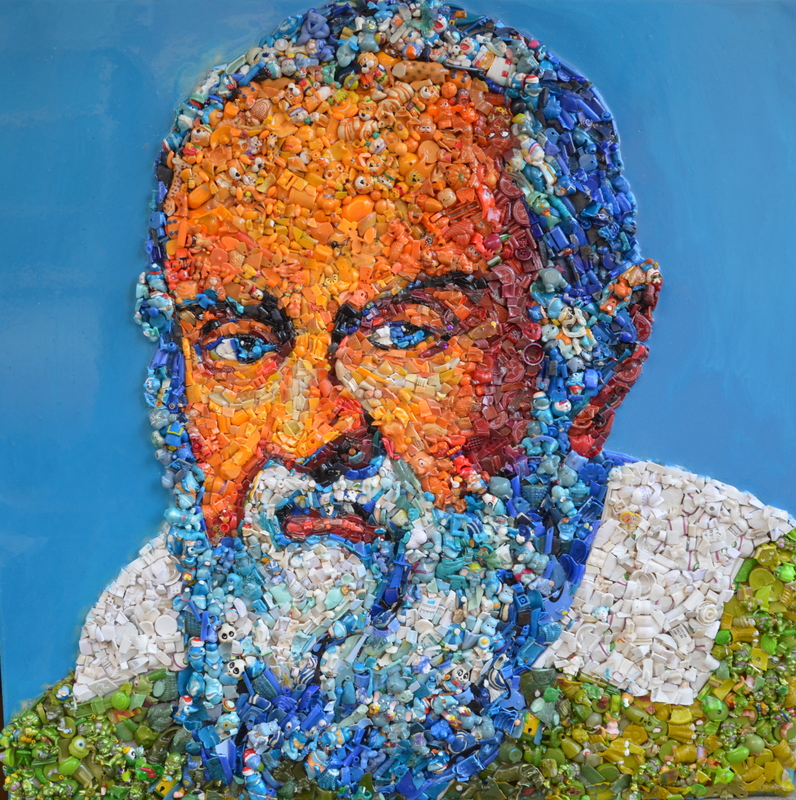 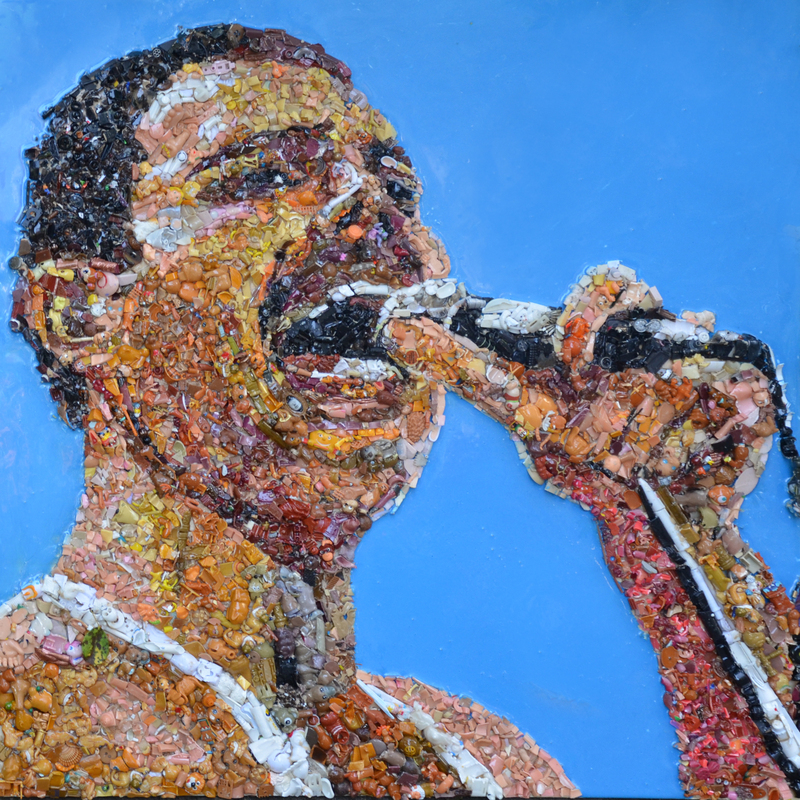 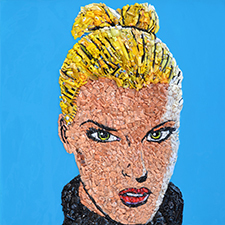 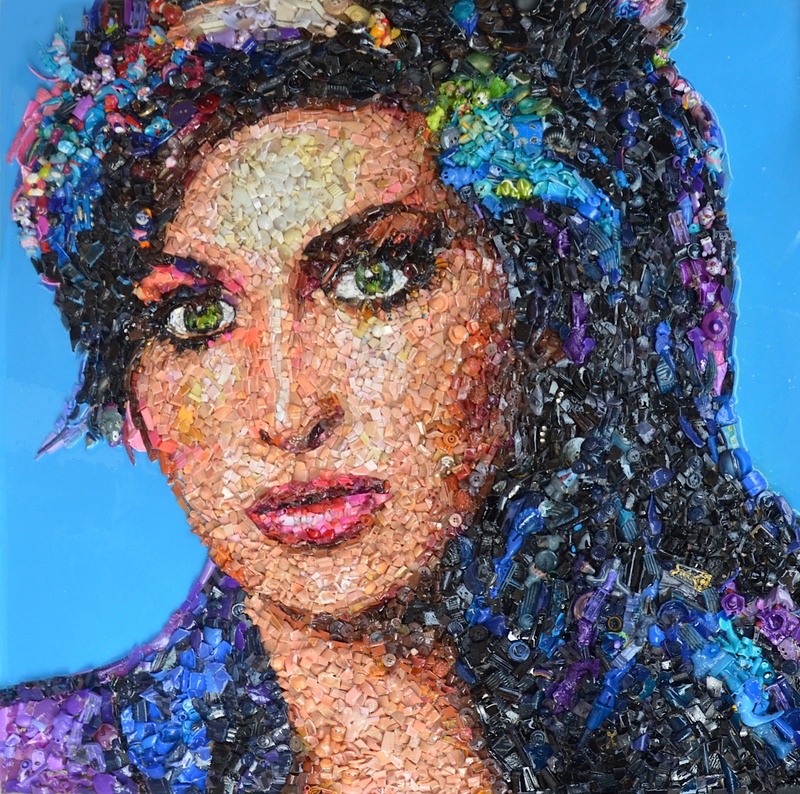 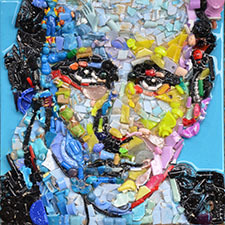 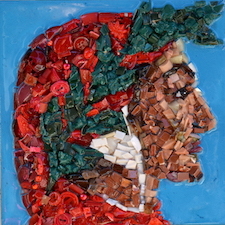 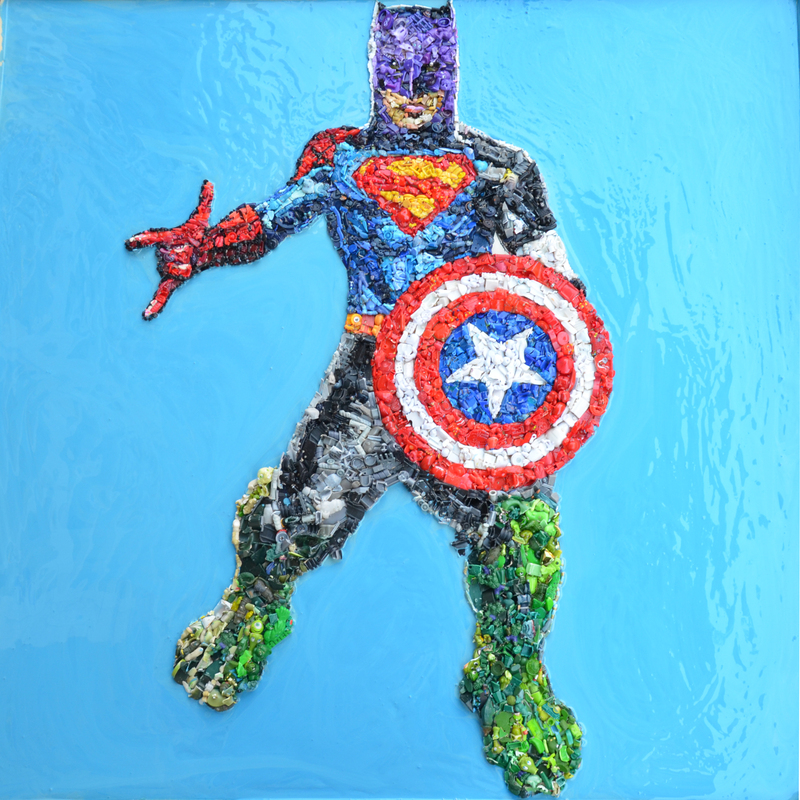 Lady Be creates Portraits that are Contemporary Mosaics made of little plastic pieces, toys, recycled material, buttons etc..
She exhibits all over the world in art fairs, museums and galleries. 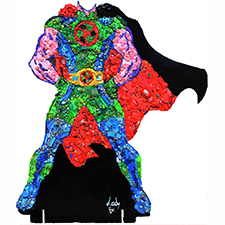 November 3th 2018, TURIN "Little Nemo Gallery" - Exhibition "Fumetto e arte Pop" (Comics and Pop Art). 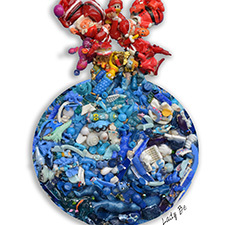 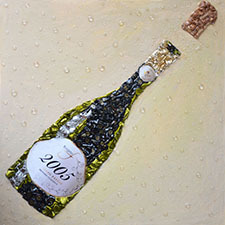 November 29th - December 8th 2018, BRUGES - BELGIUM -The Belfry - Exhibition "New Visions of Art". 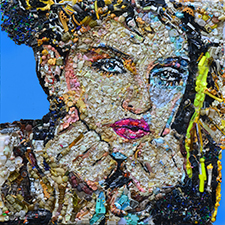 April 5th - 7th 2018, BARCELONA III Bienal de Arte Barcelona, at MEAM, European Museum of Modern Art.